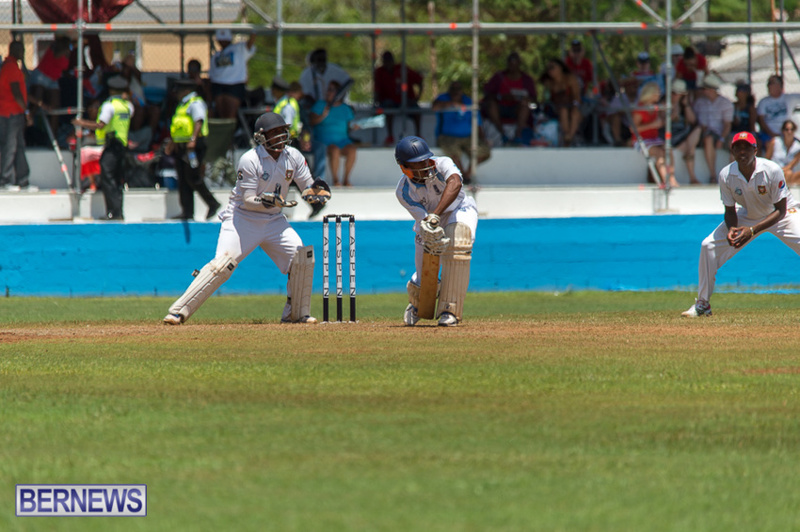 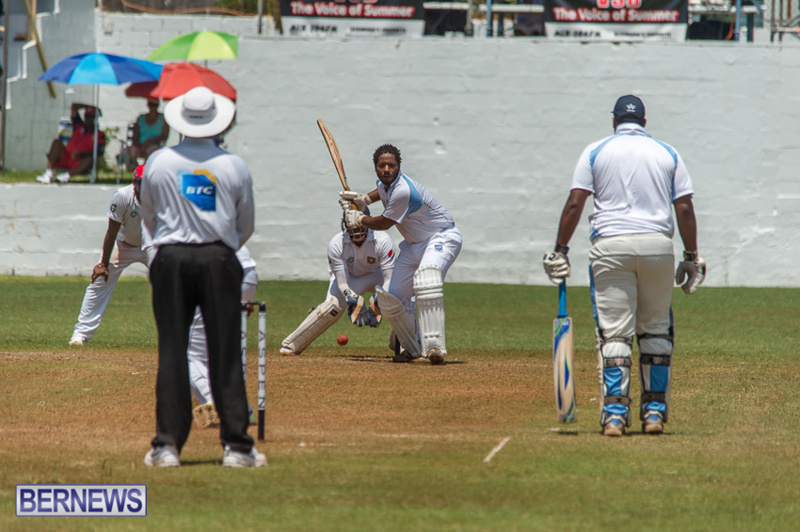 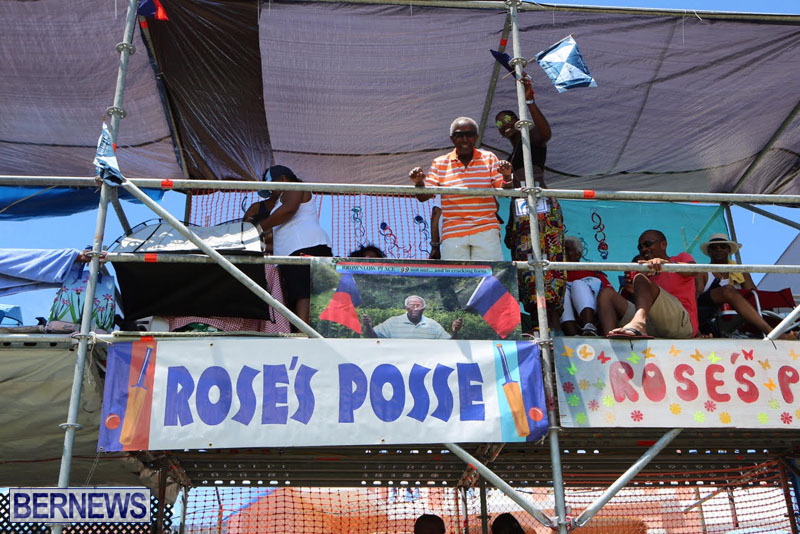 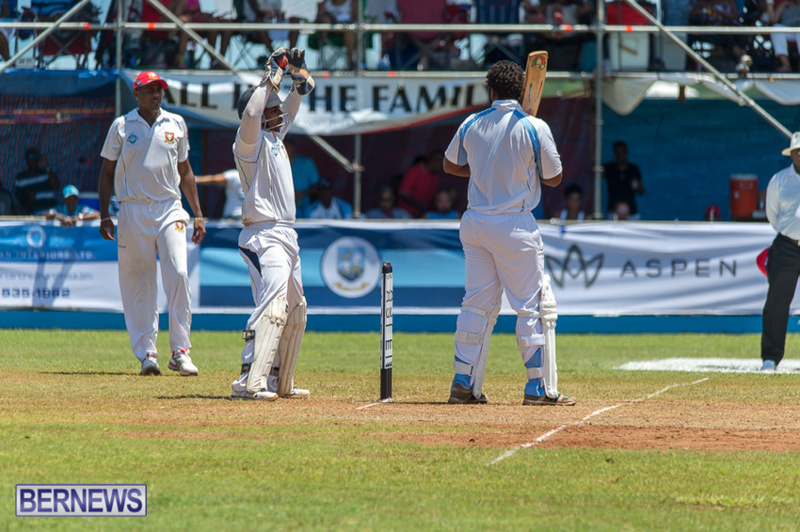 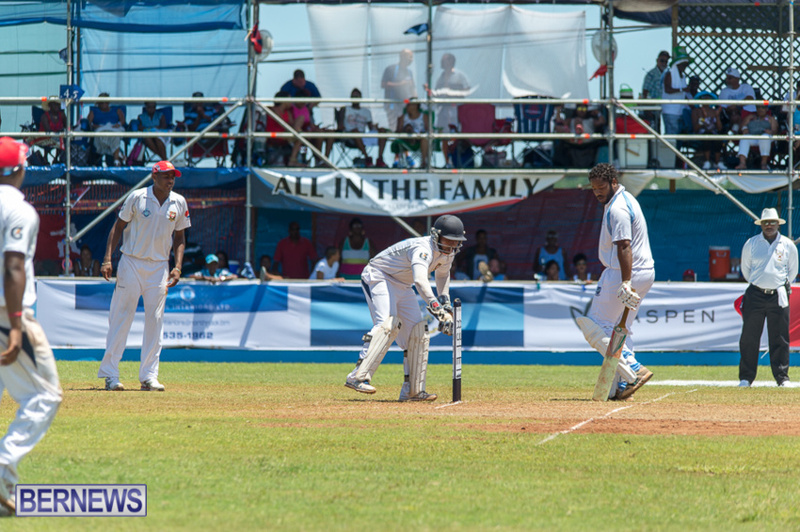 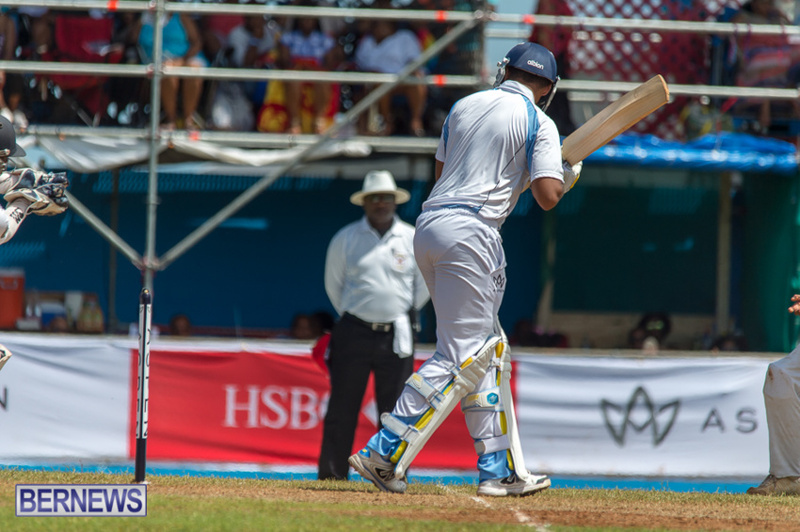 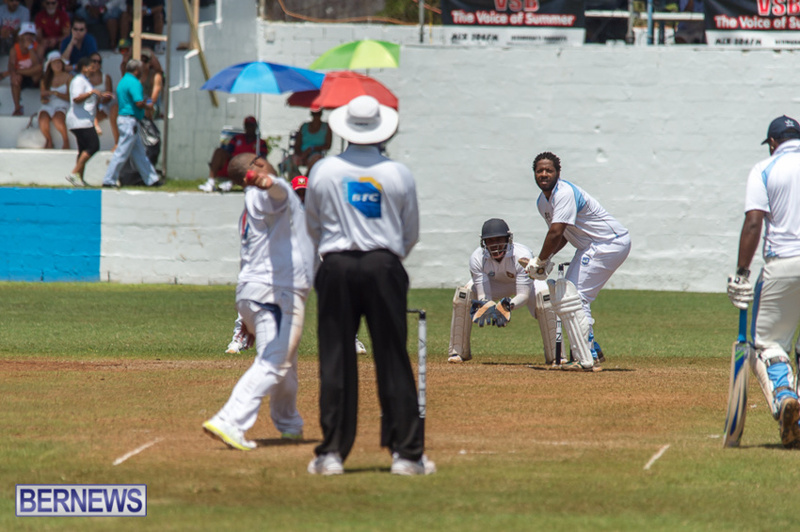 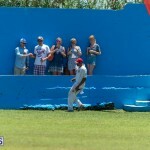 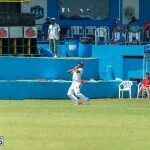 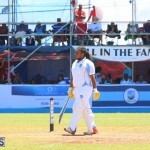 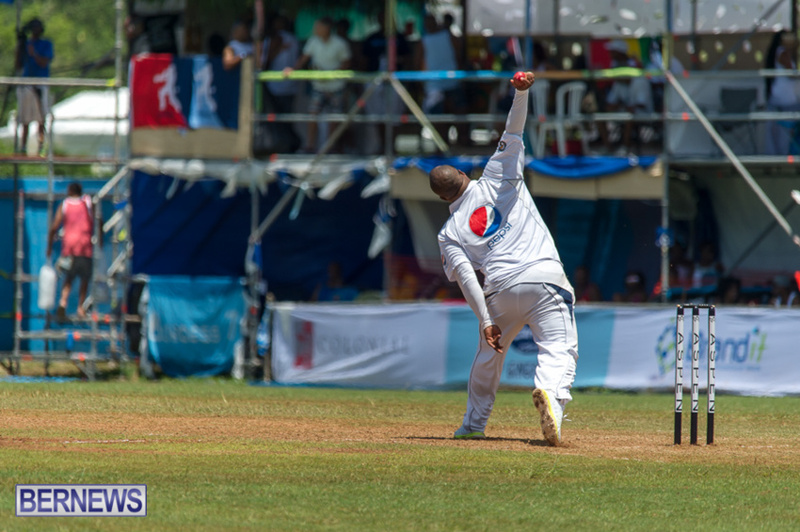 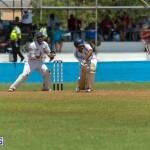 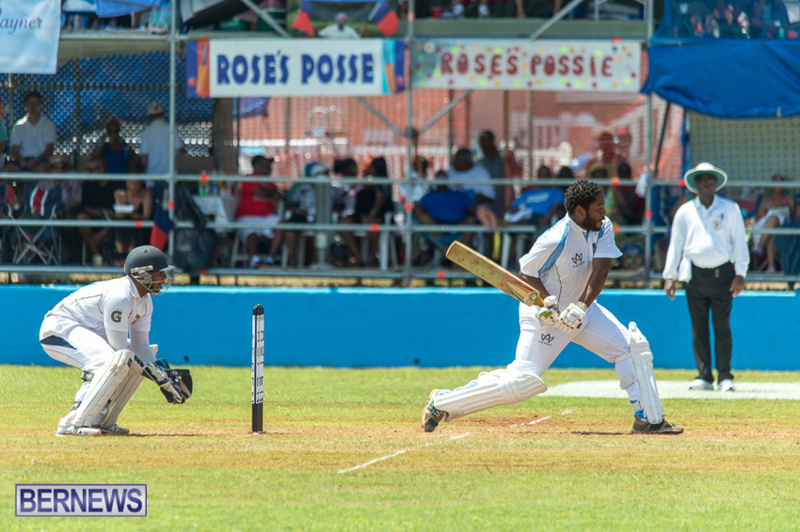 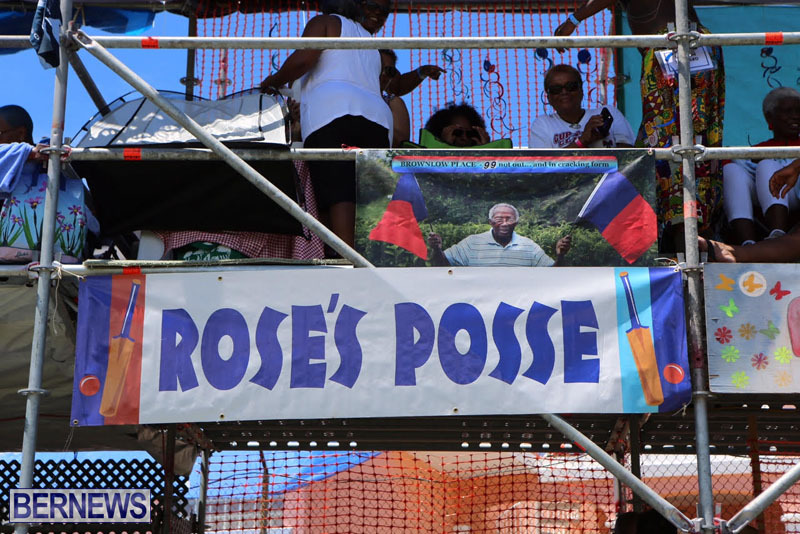 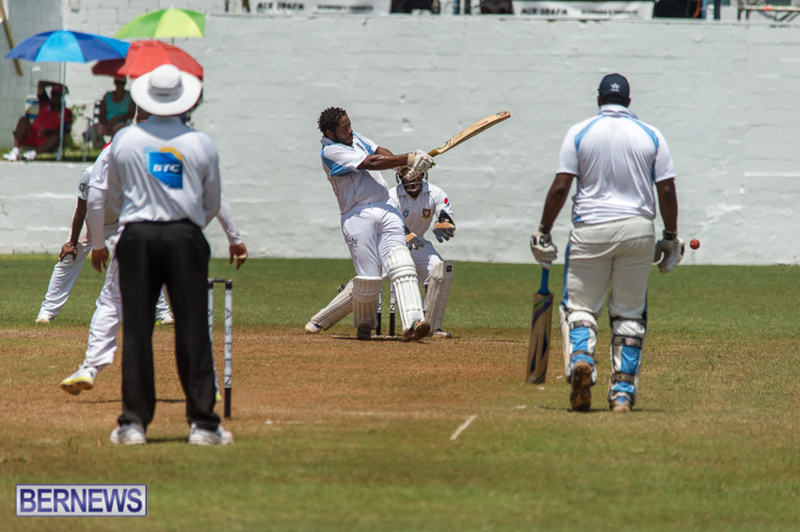 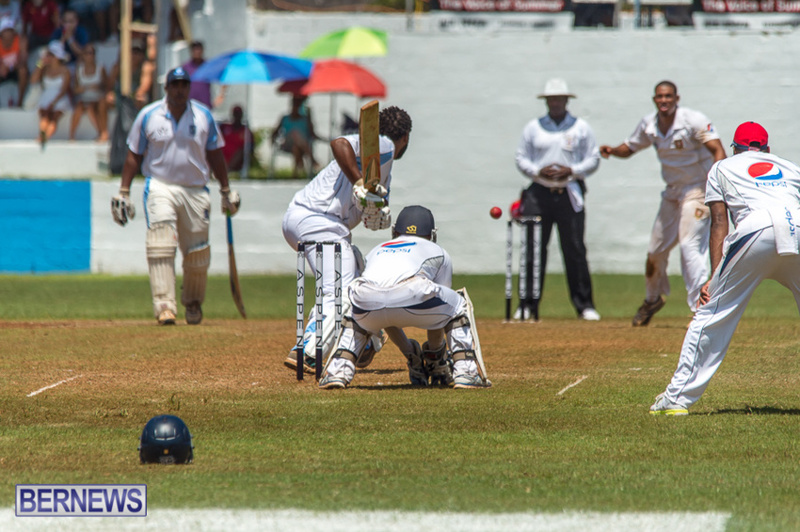 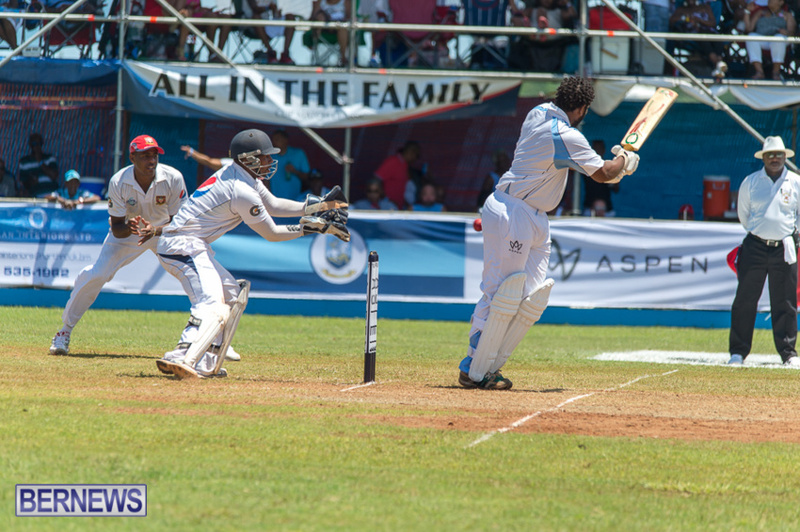 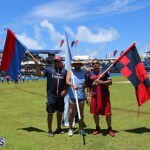 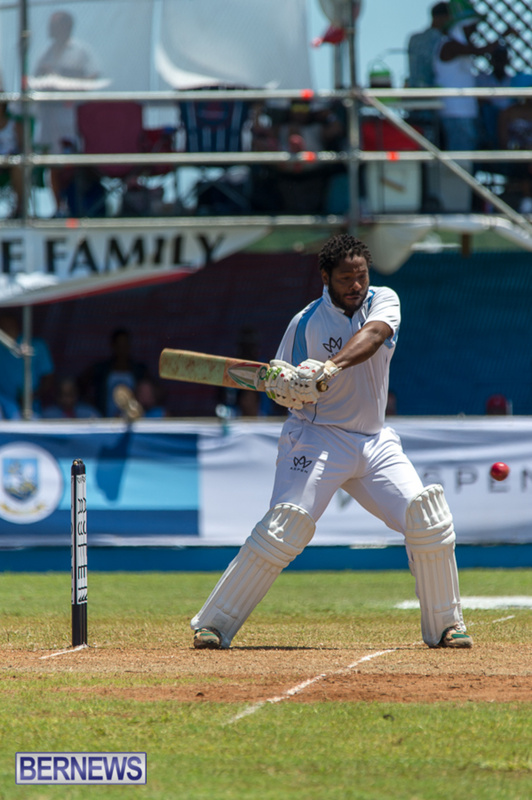 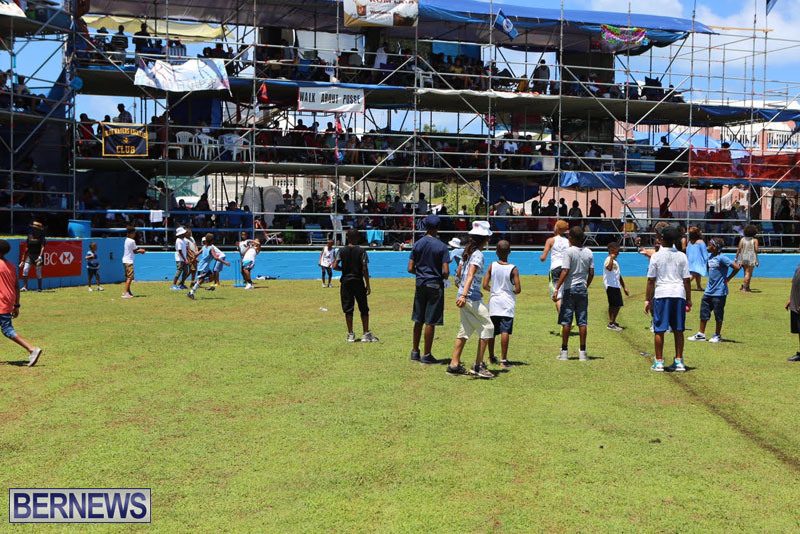 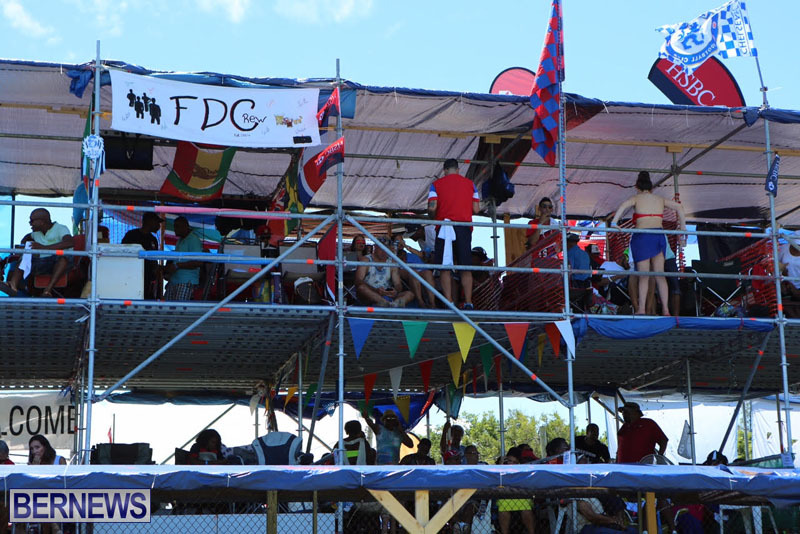 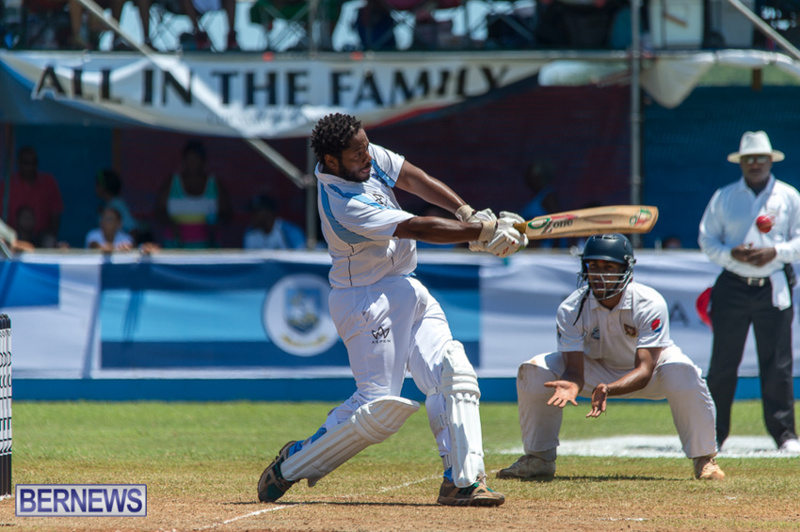 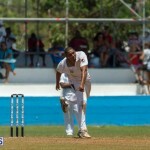 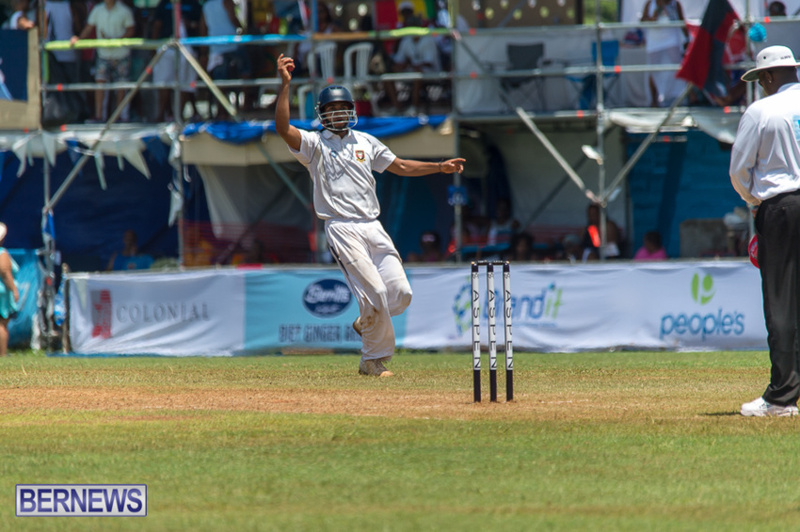 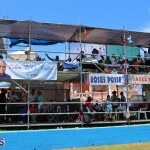 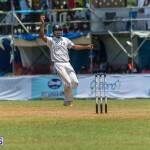 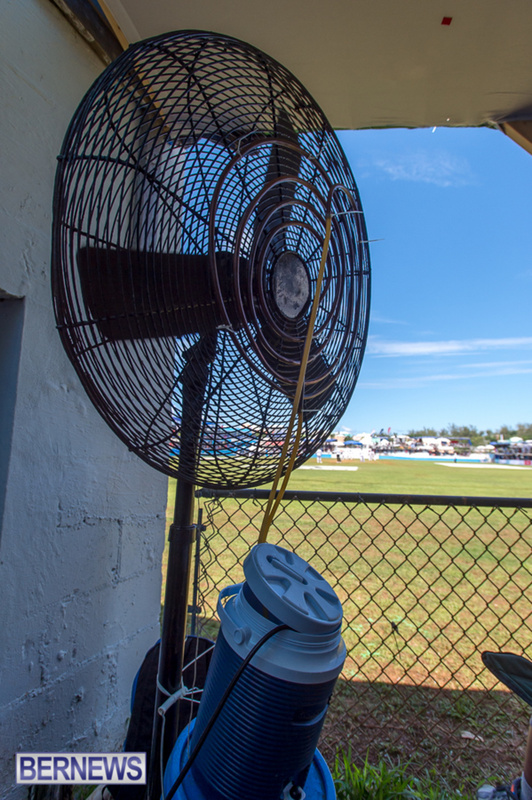 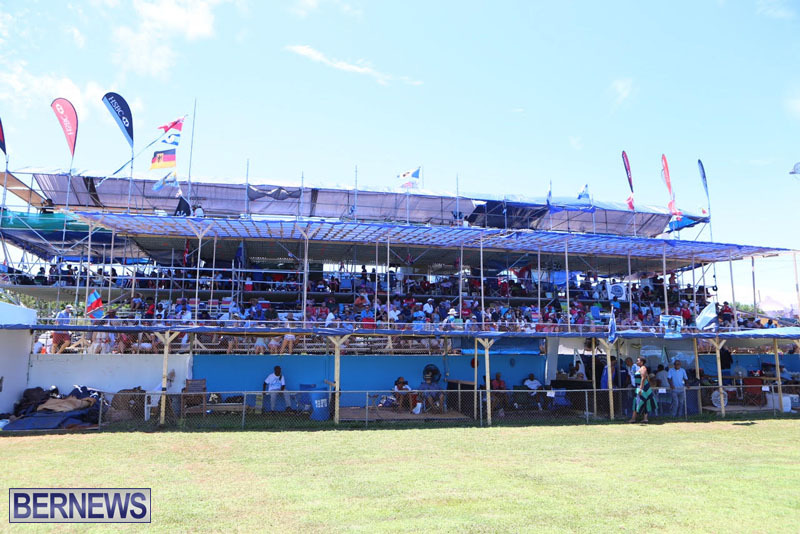 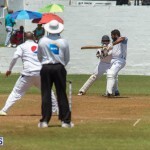 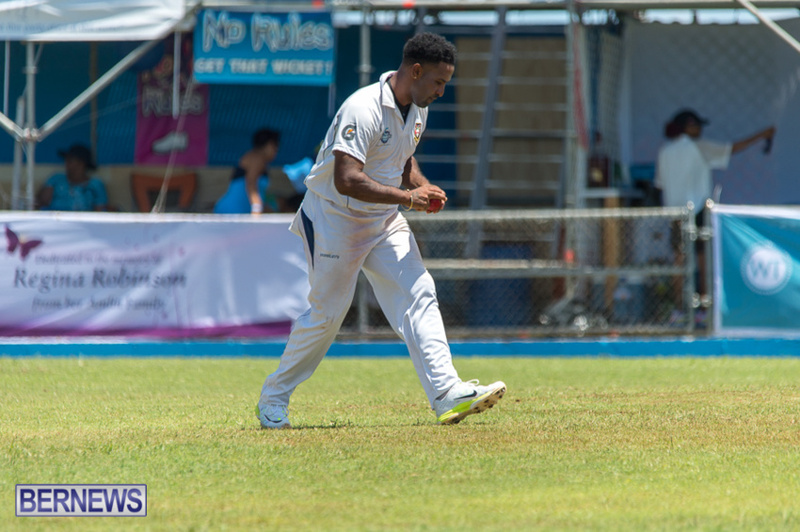 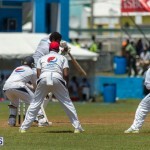 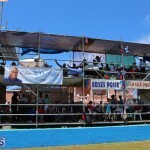 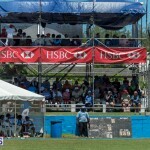 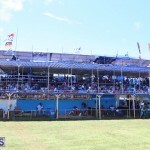 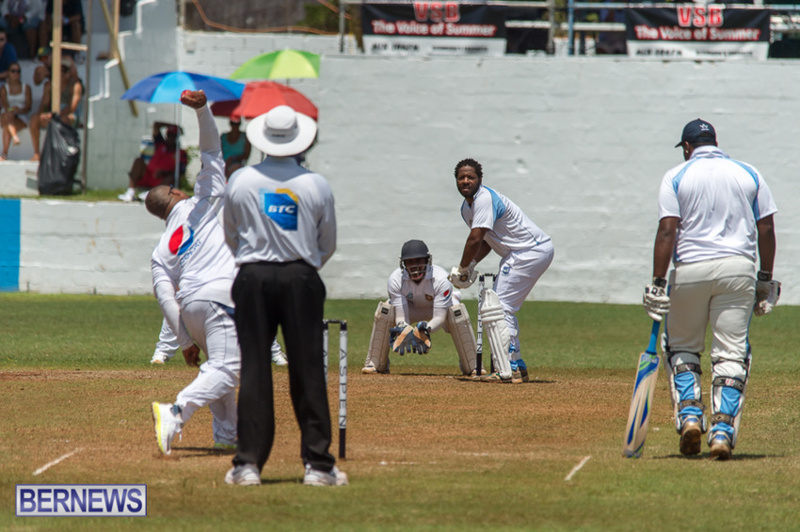 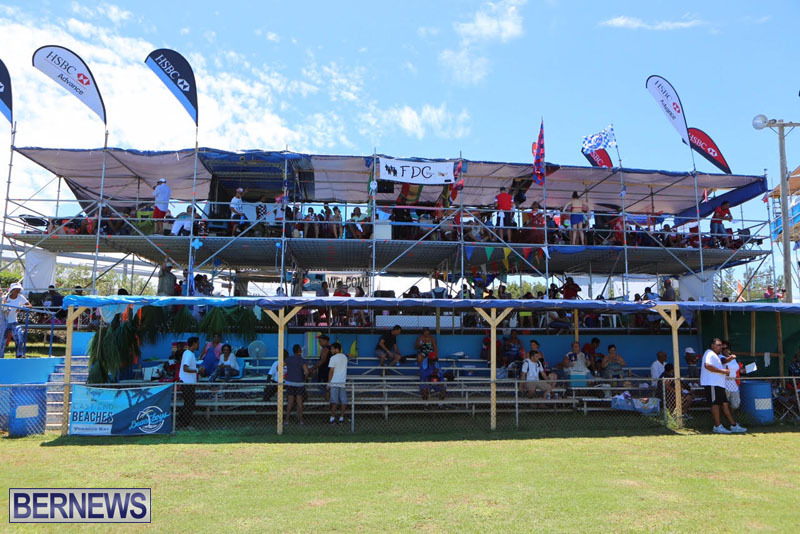 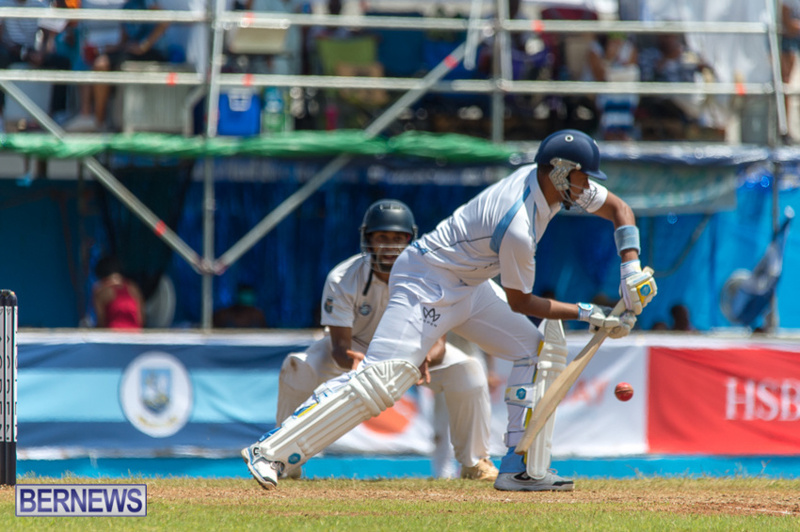 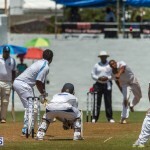 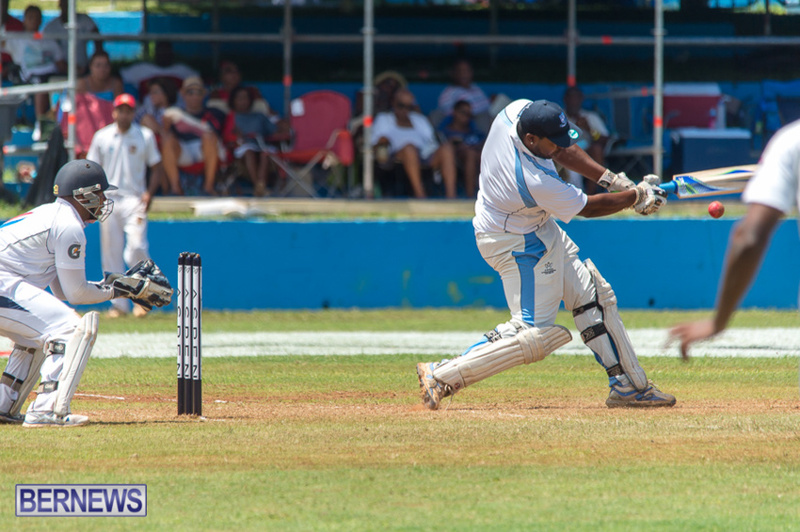 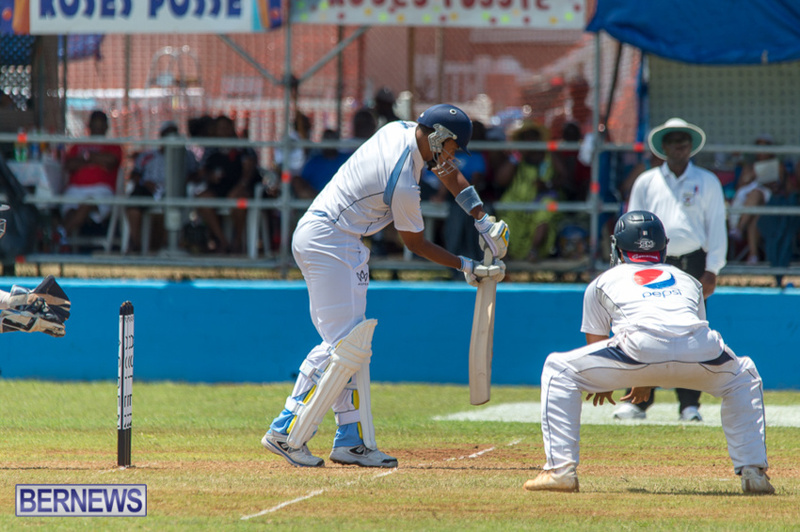 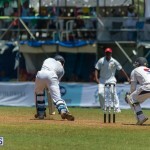 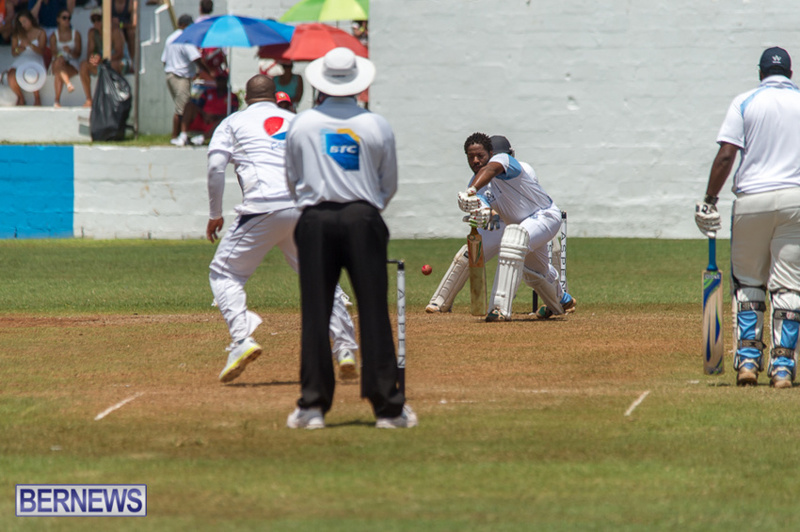 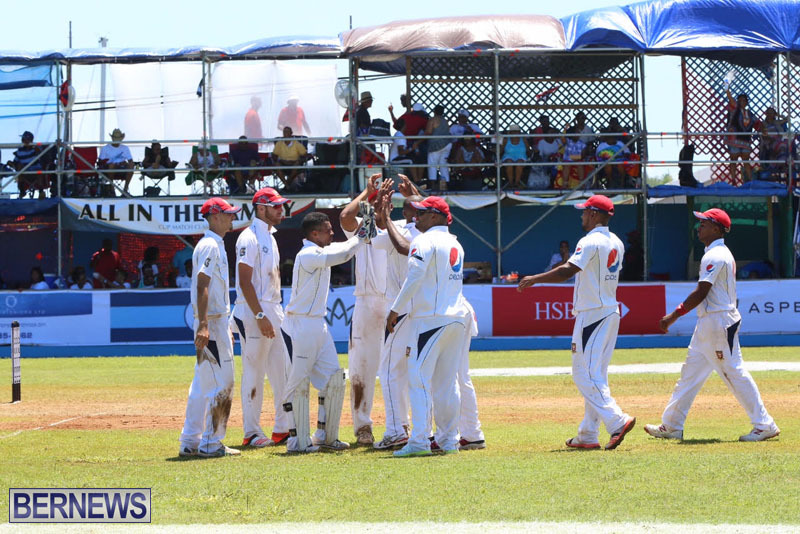 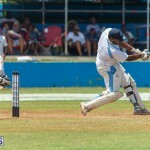 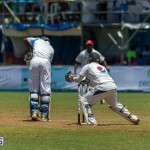 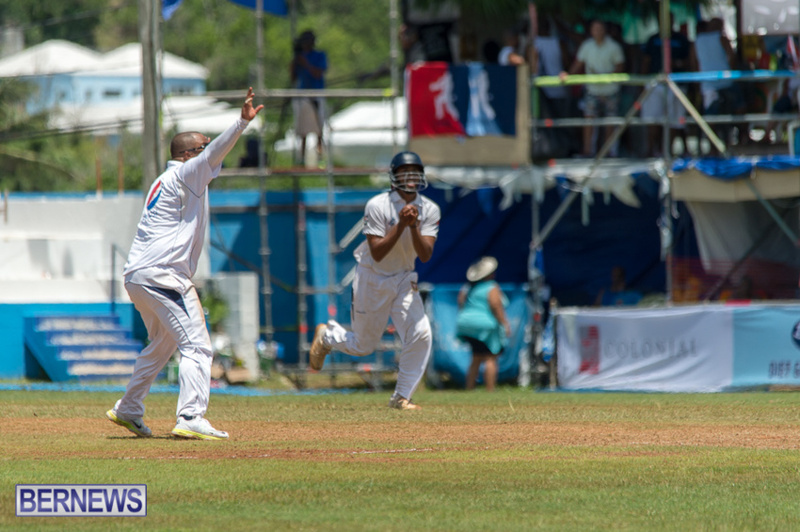 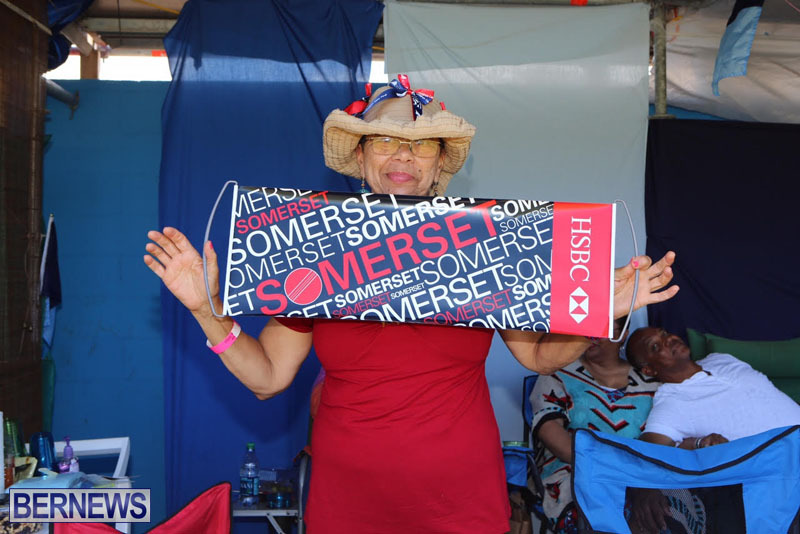 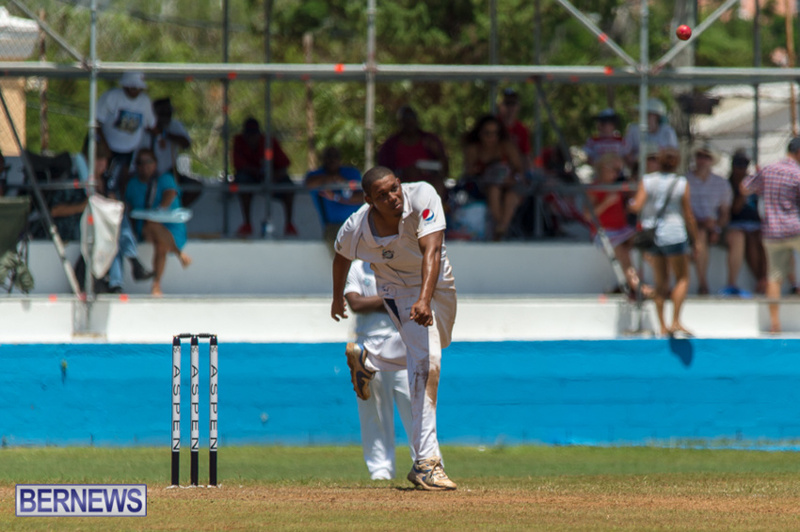 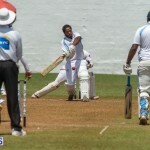 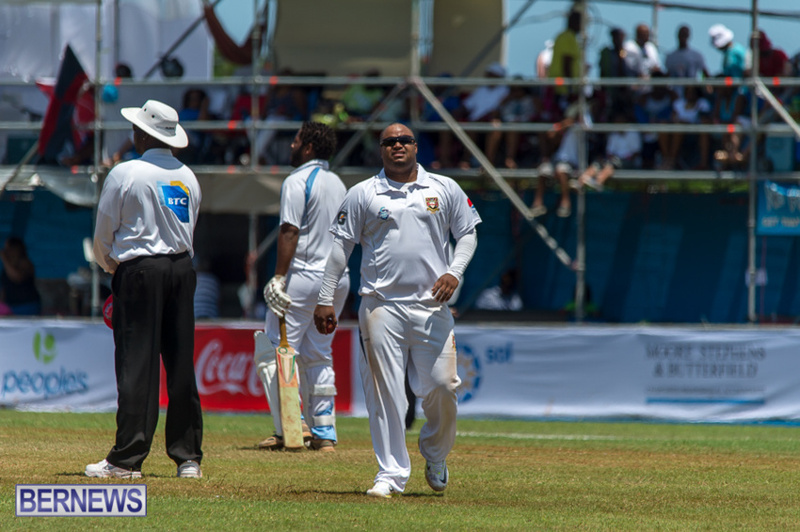 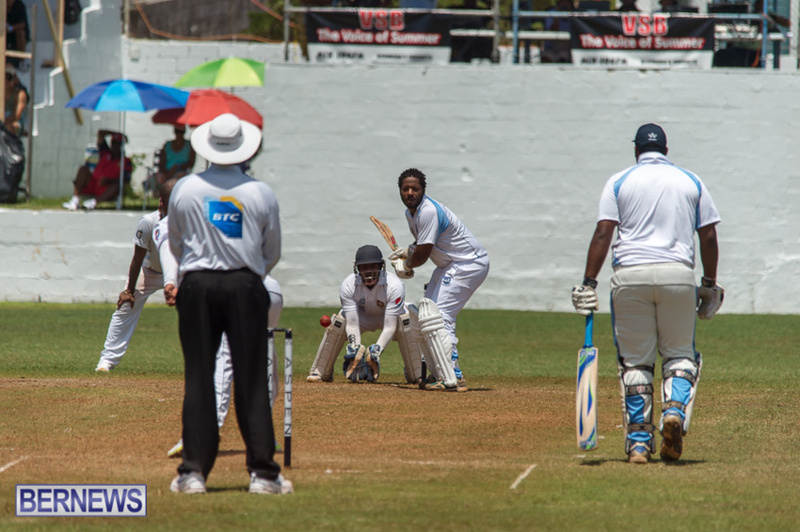 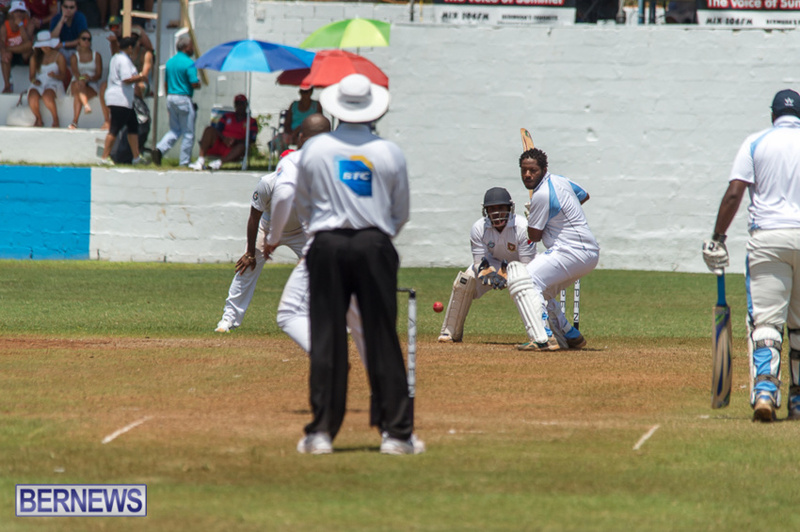 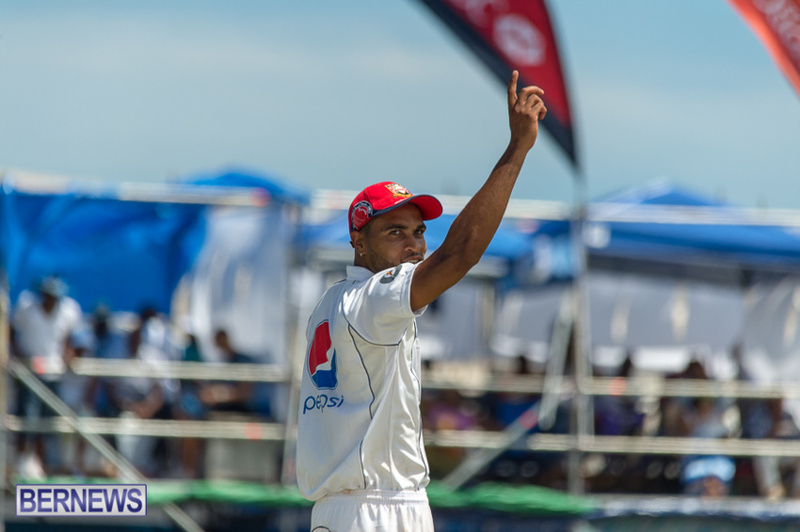 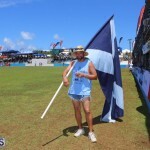 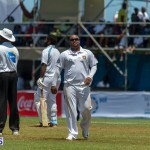 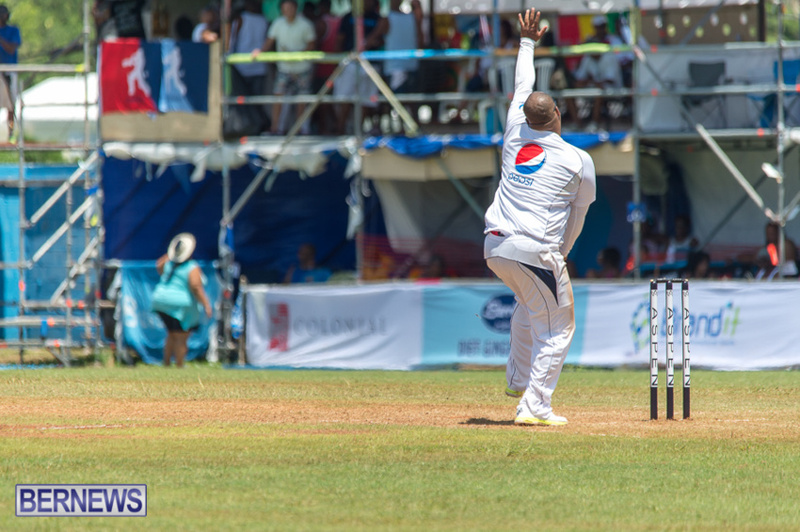 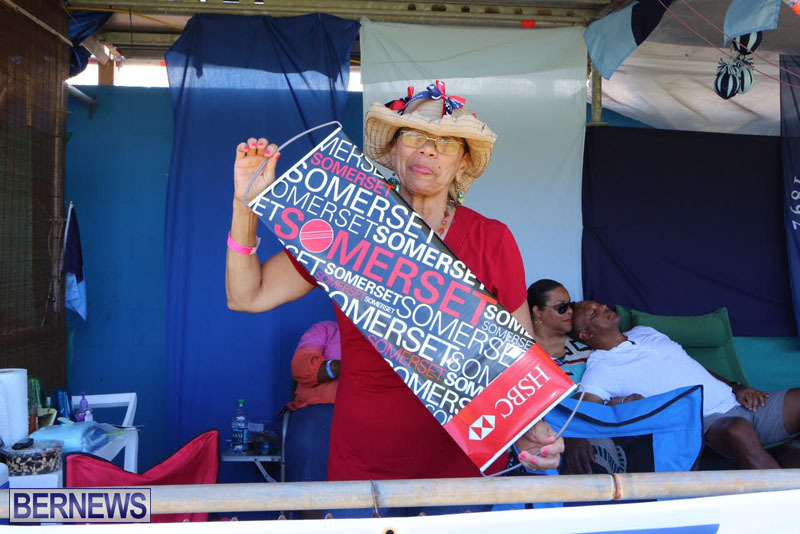 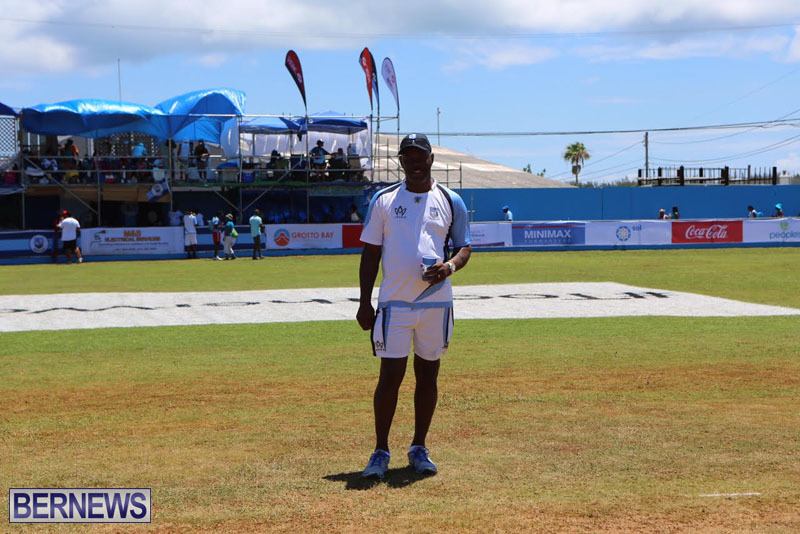 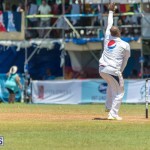 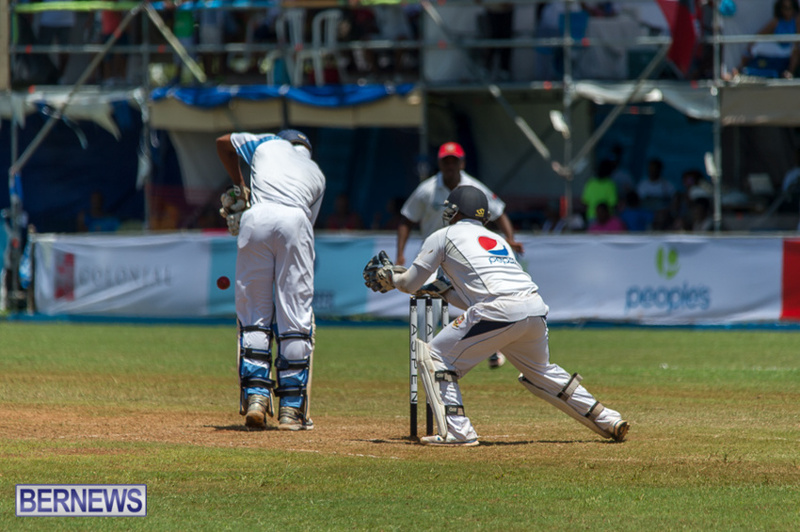 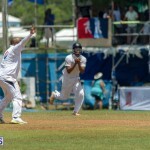 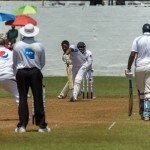 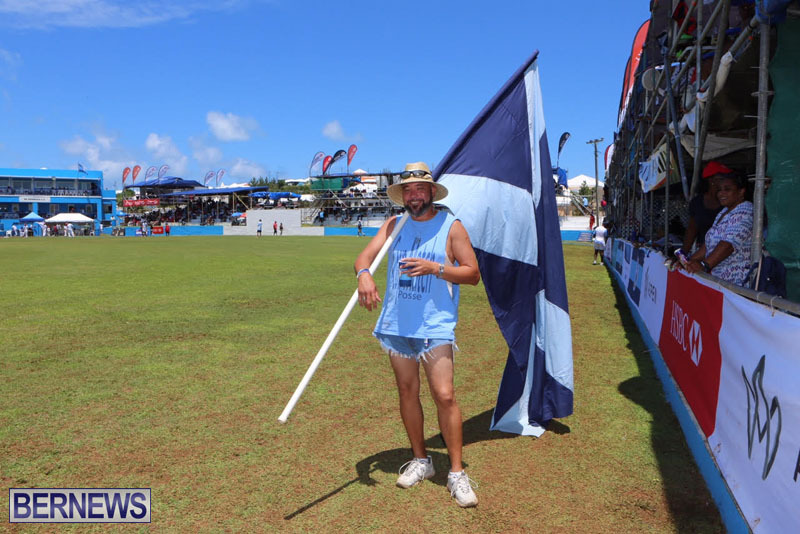 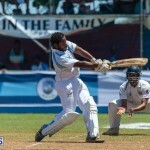 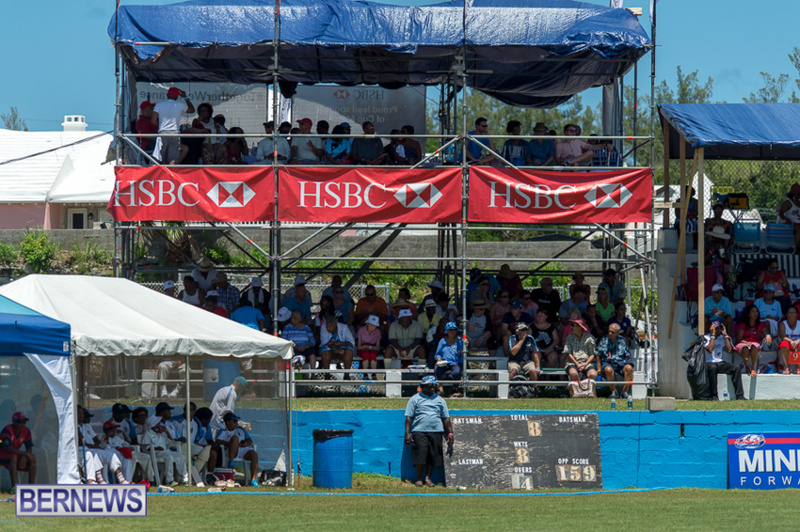 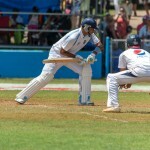 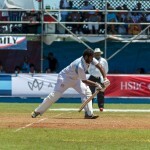 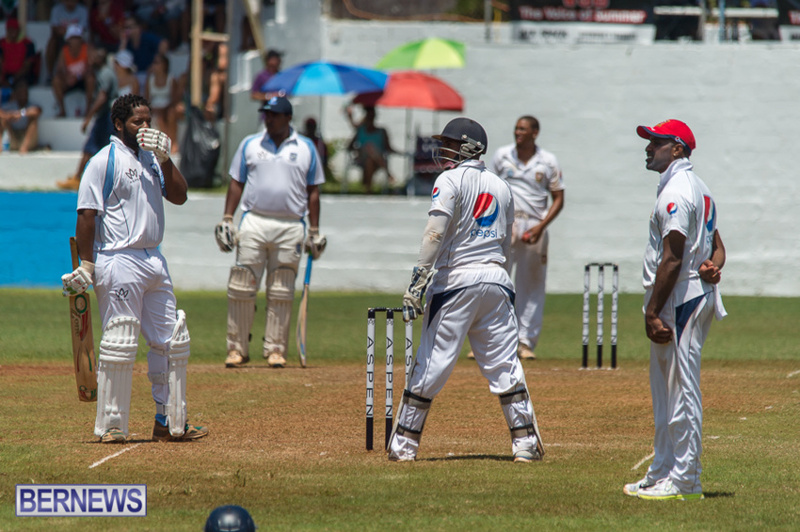 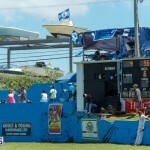 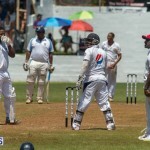 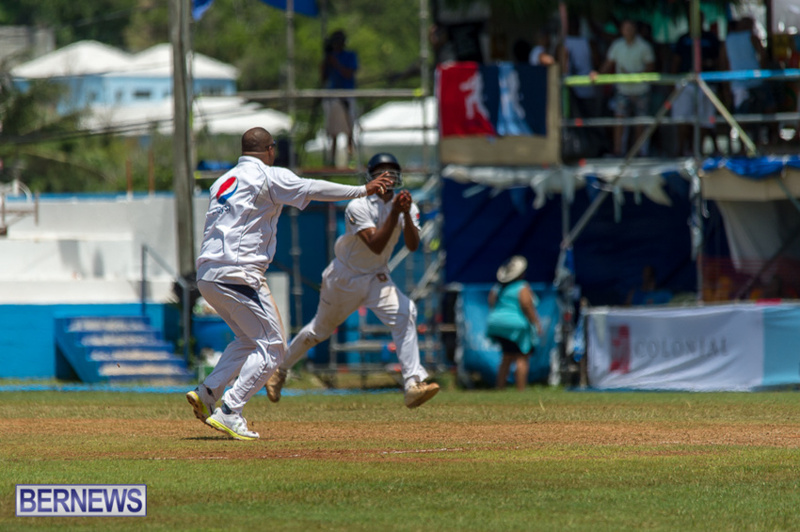 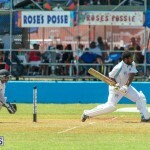 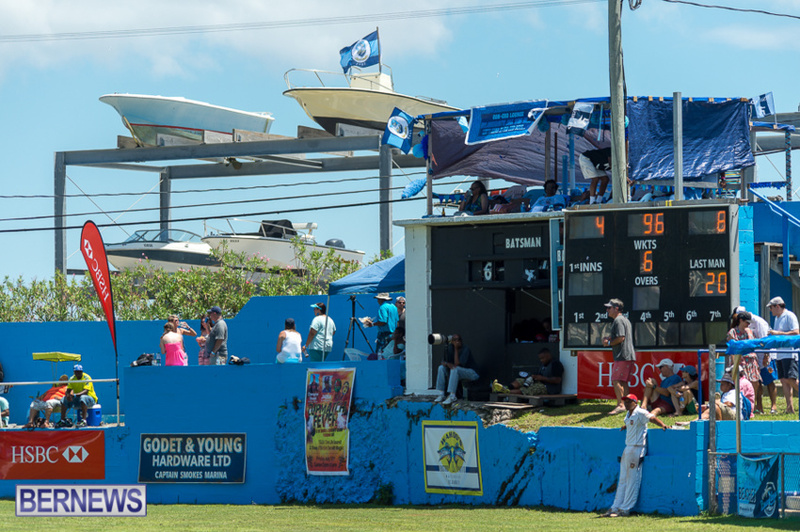 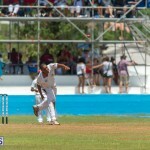 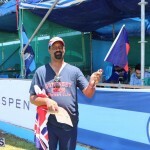 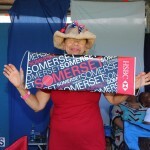 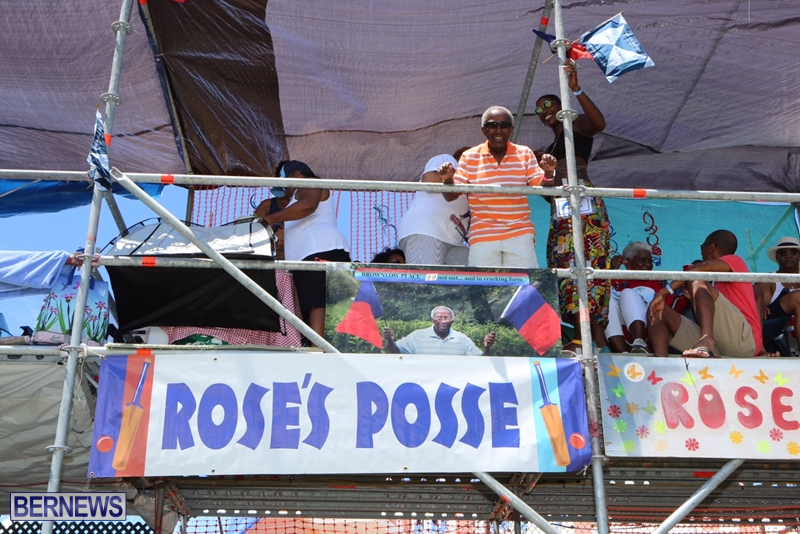 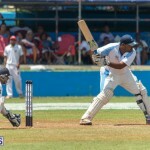 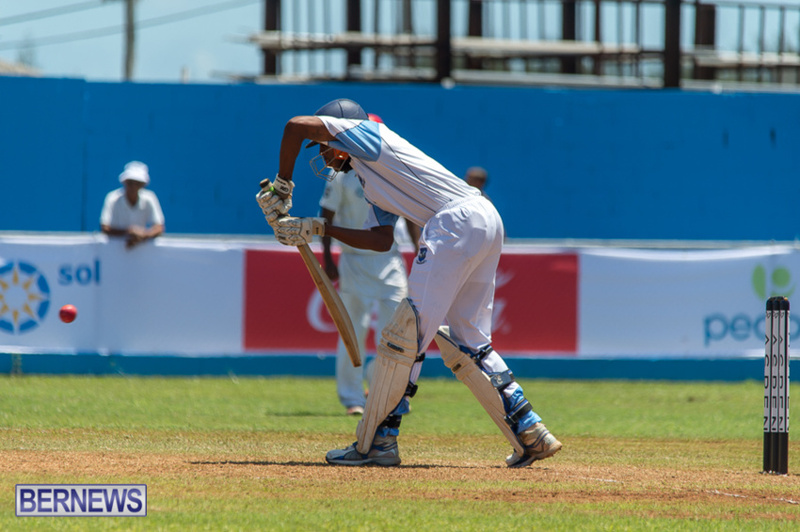 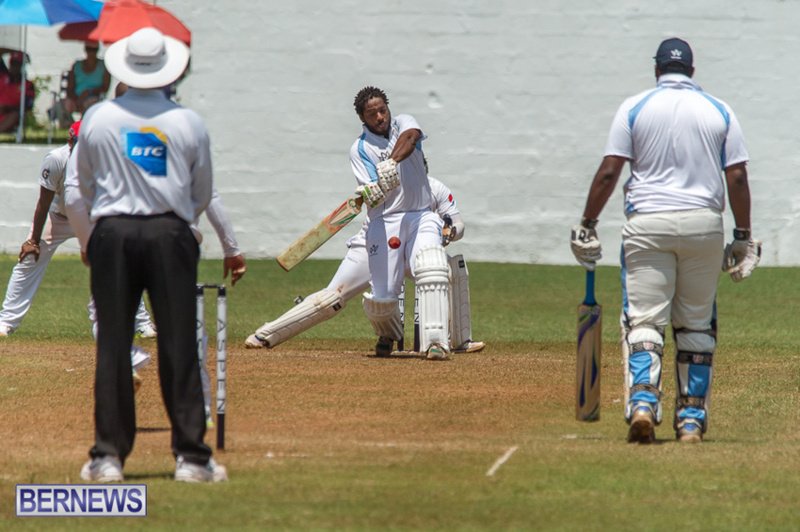 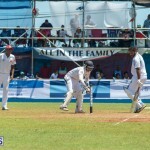 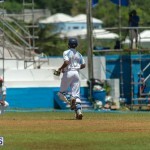 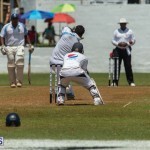 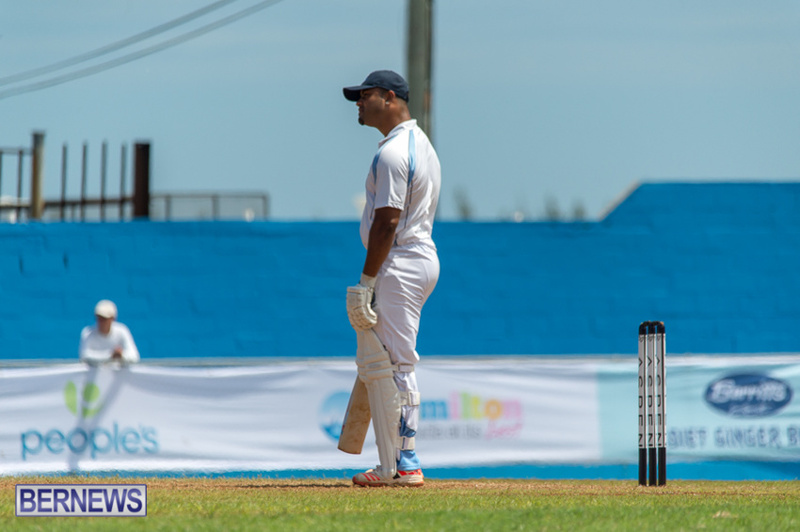 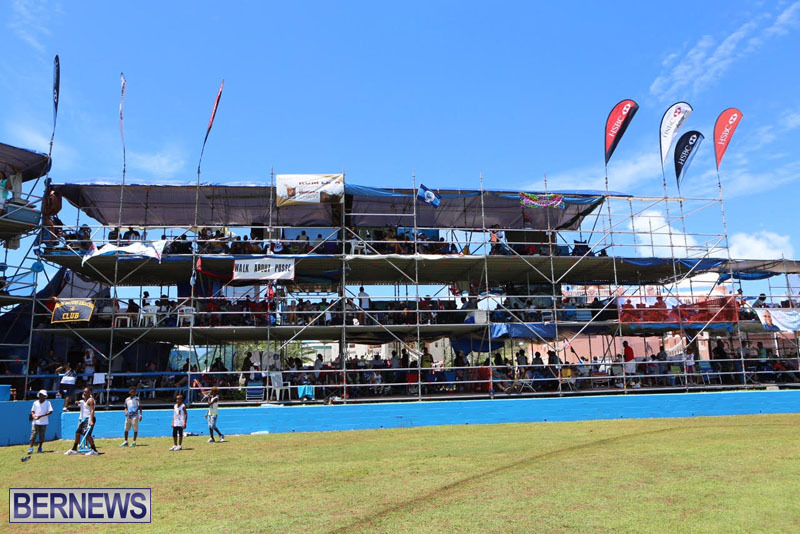 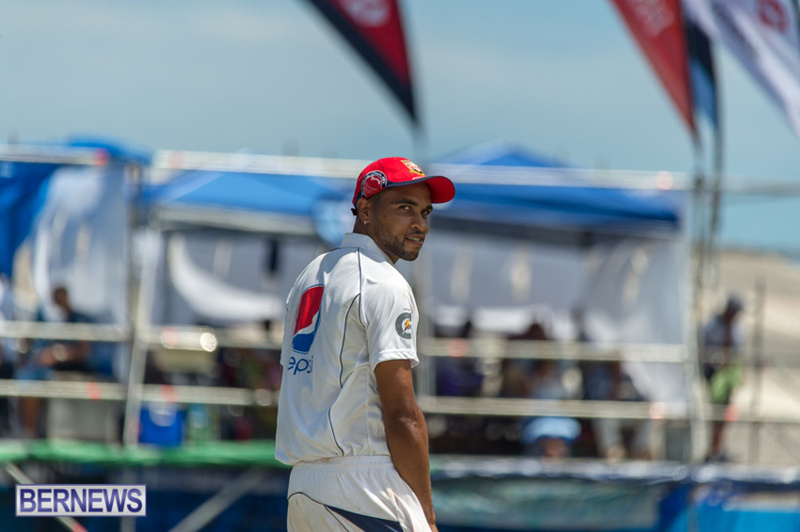 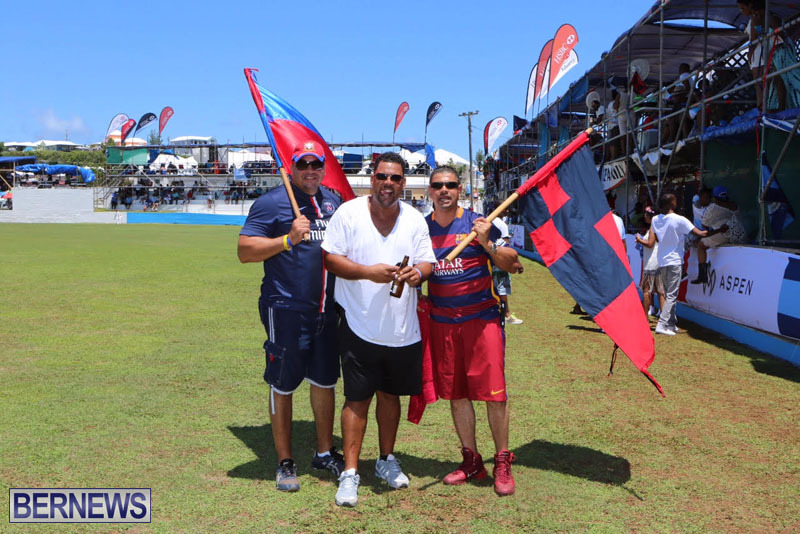 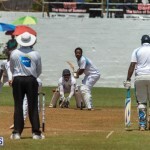 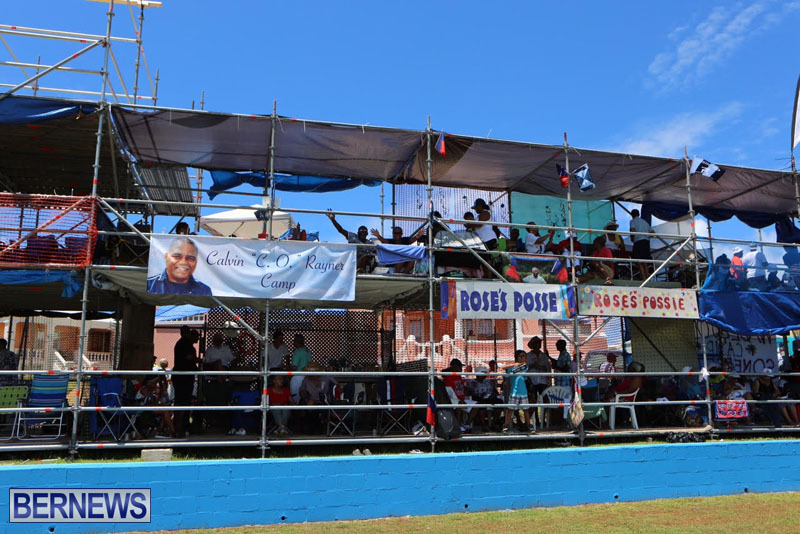 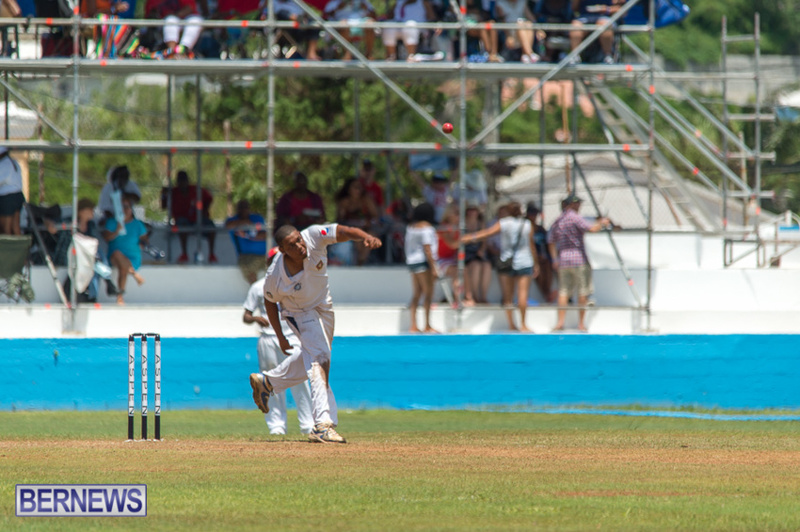 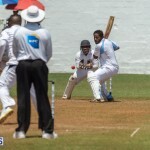 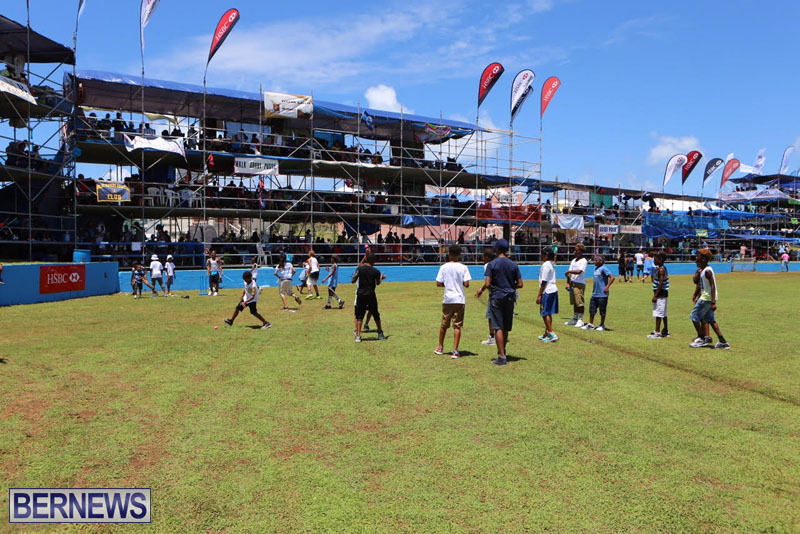 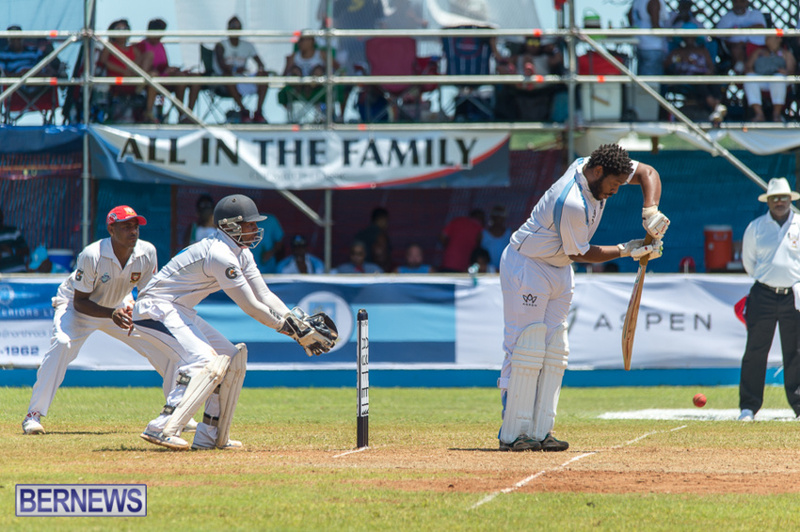 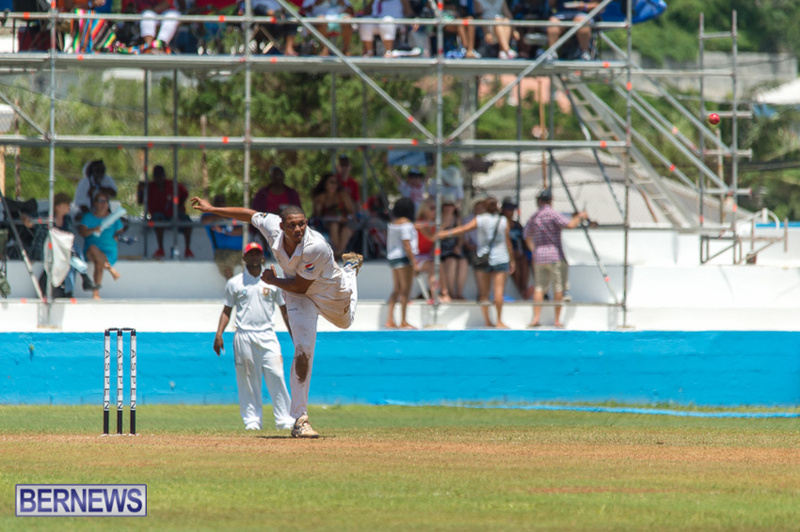 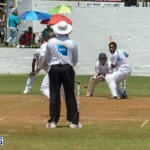 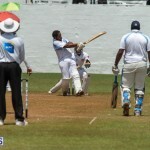 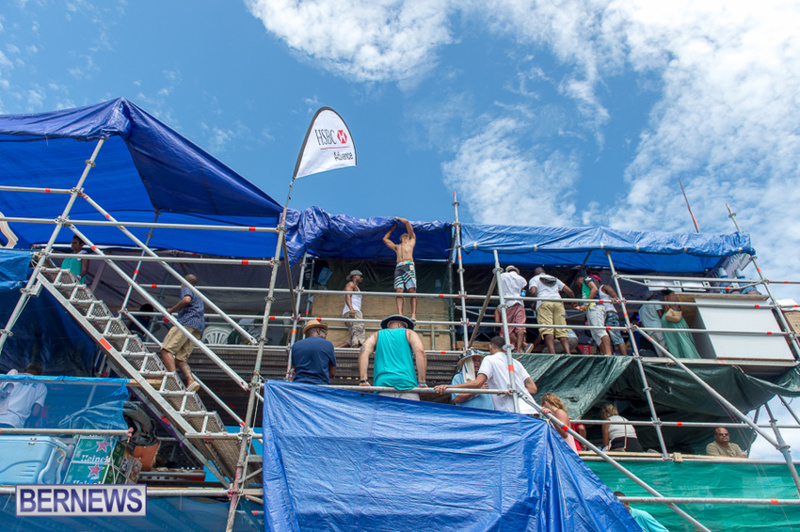 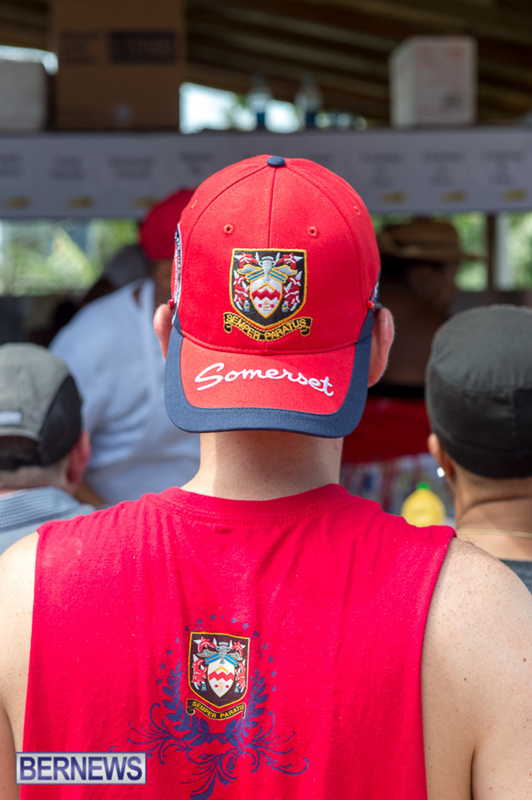 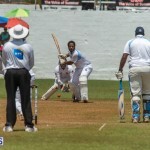 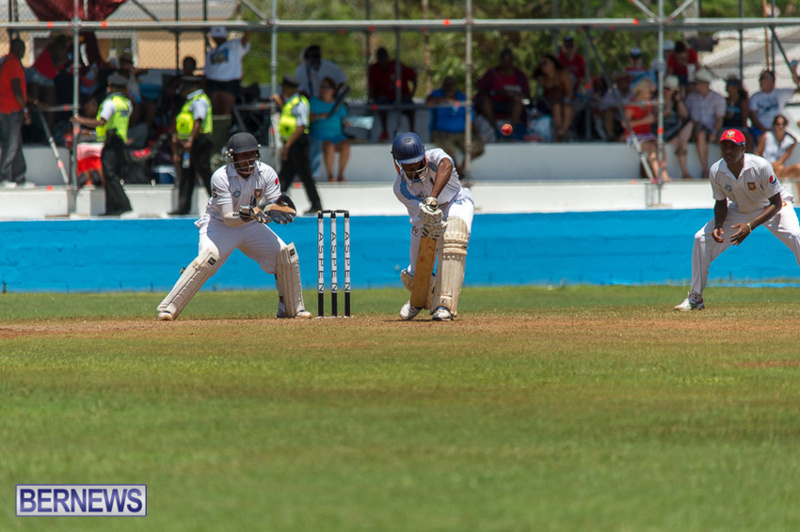 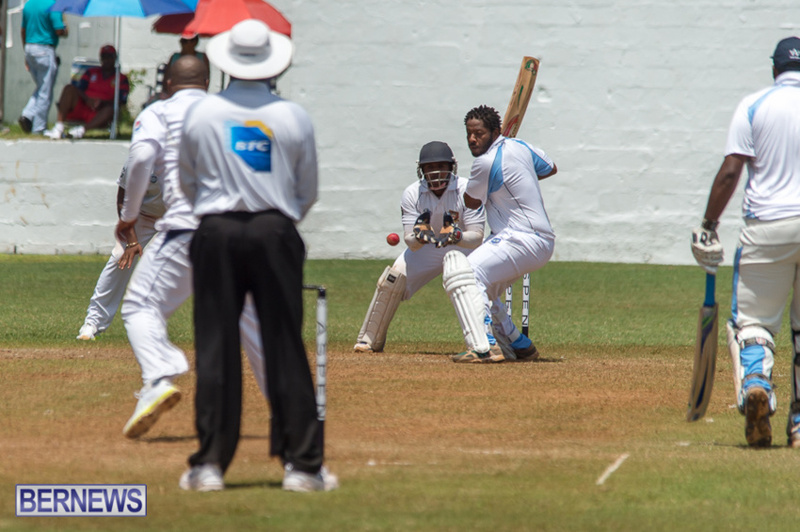 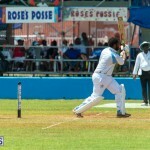 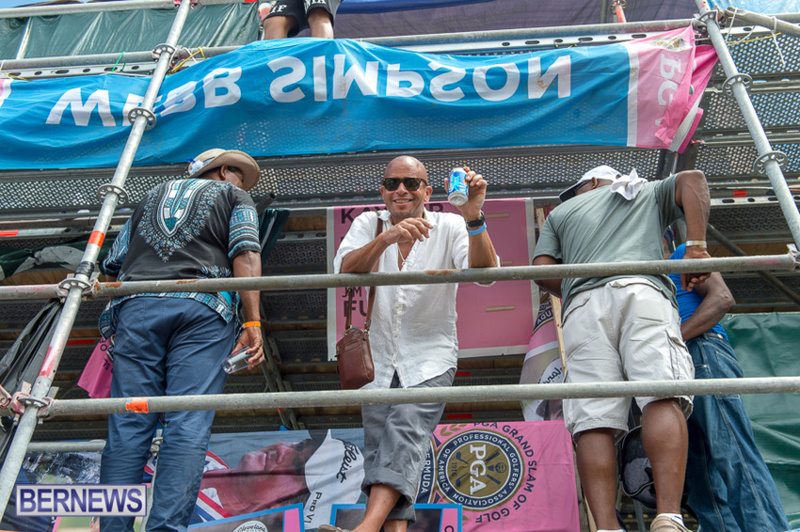 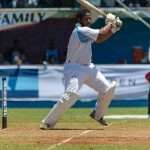 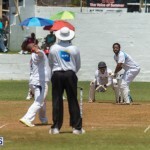 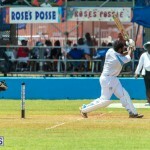 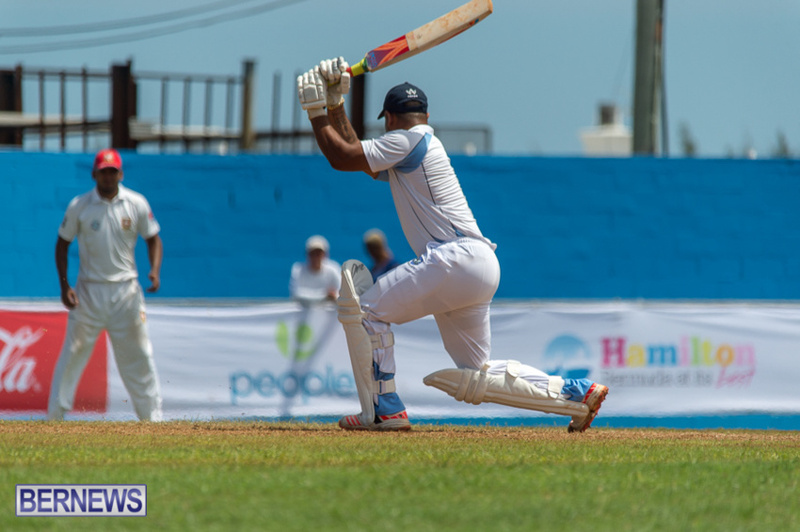 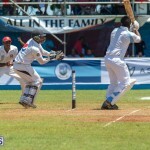 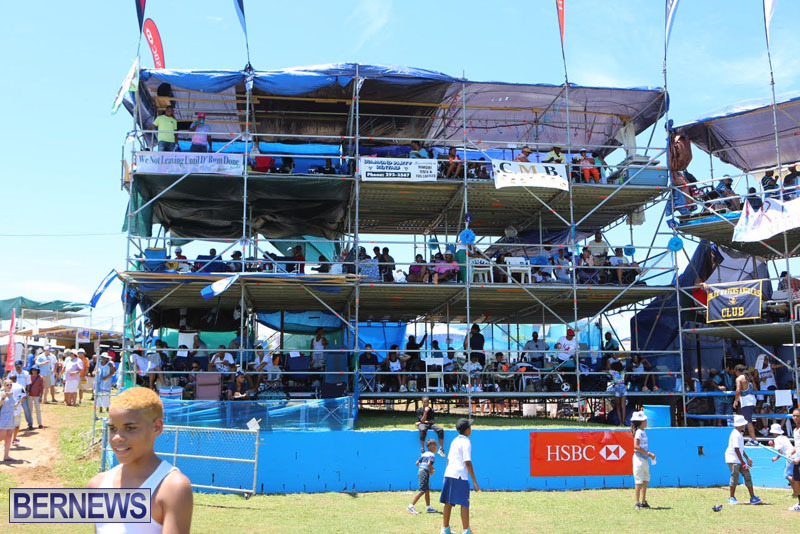 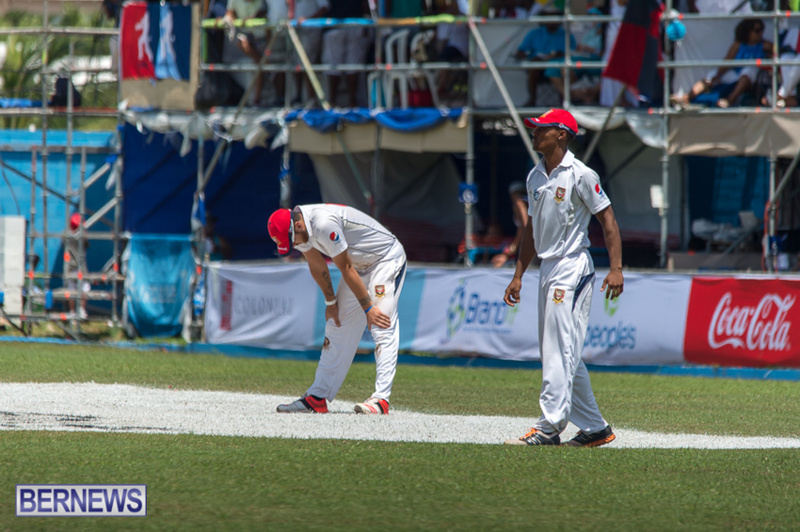 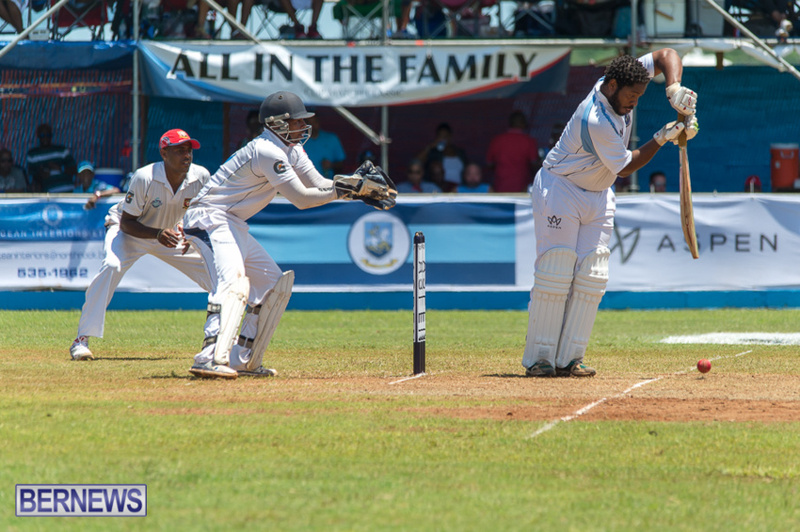 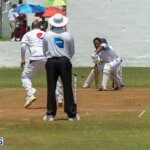 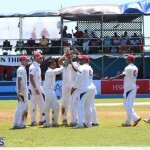 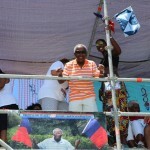 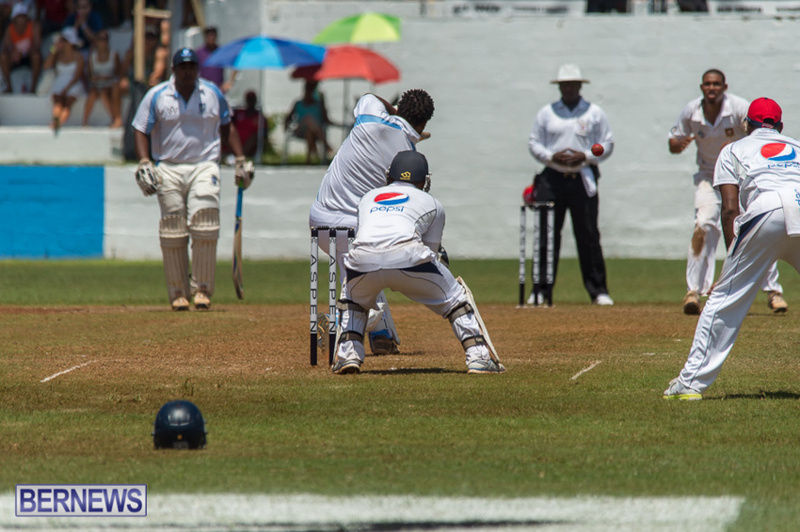 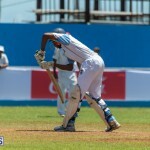 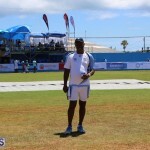 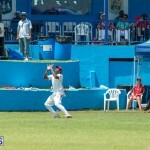 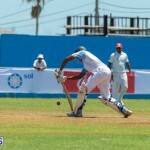 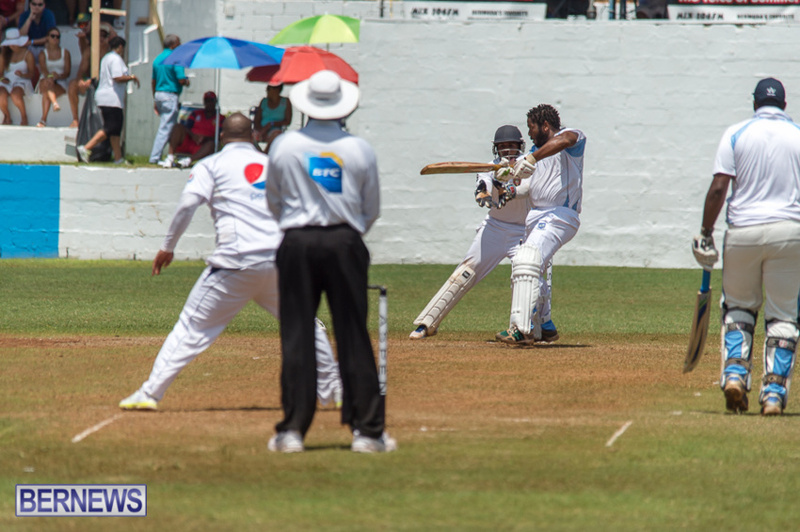 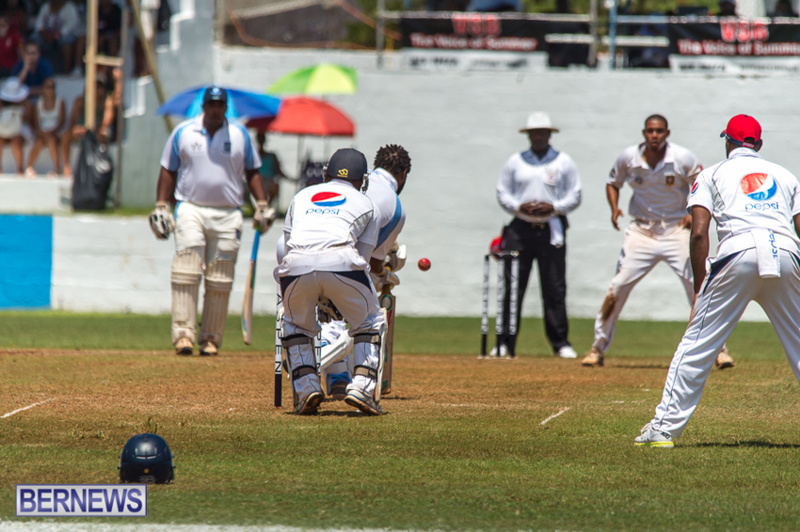 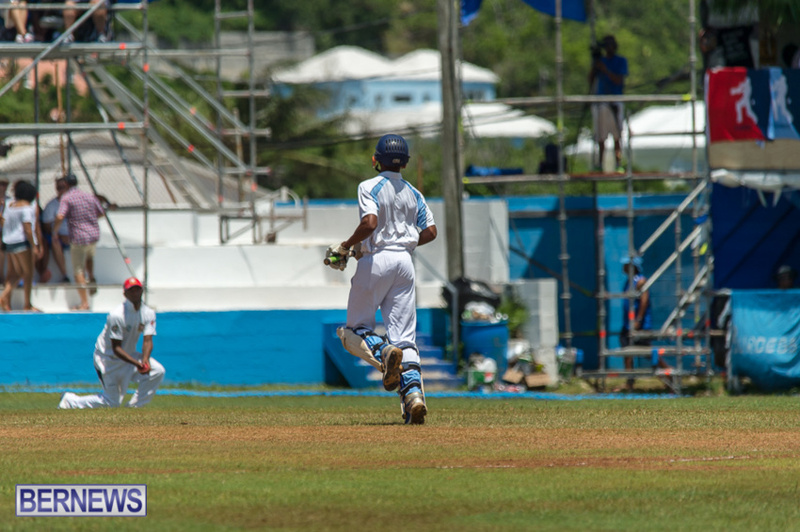 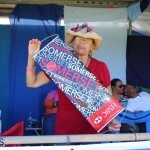 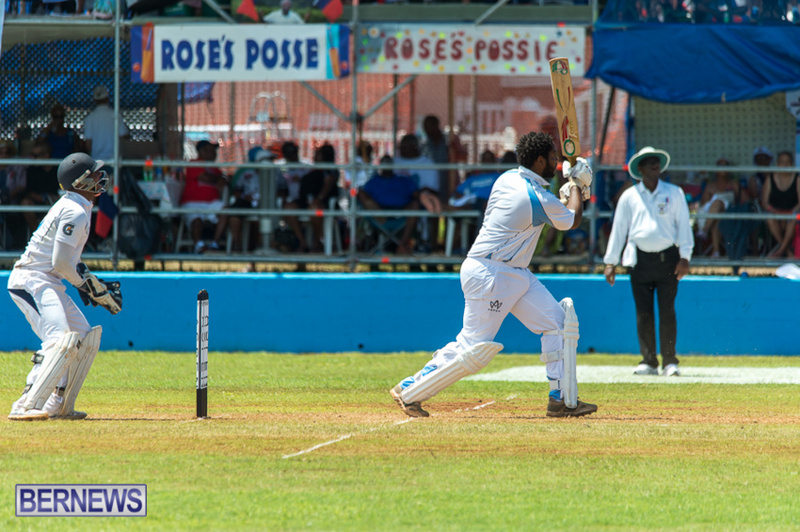 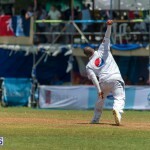 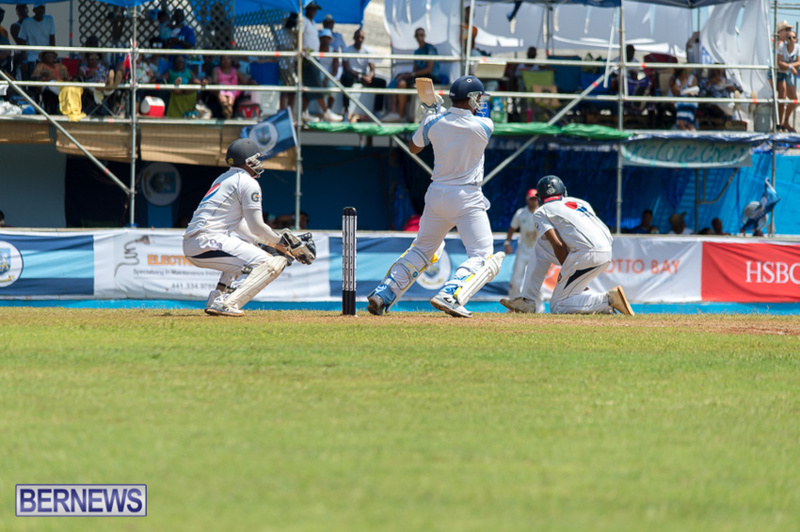 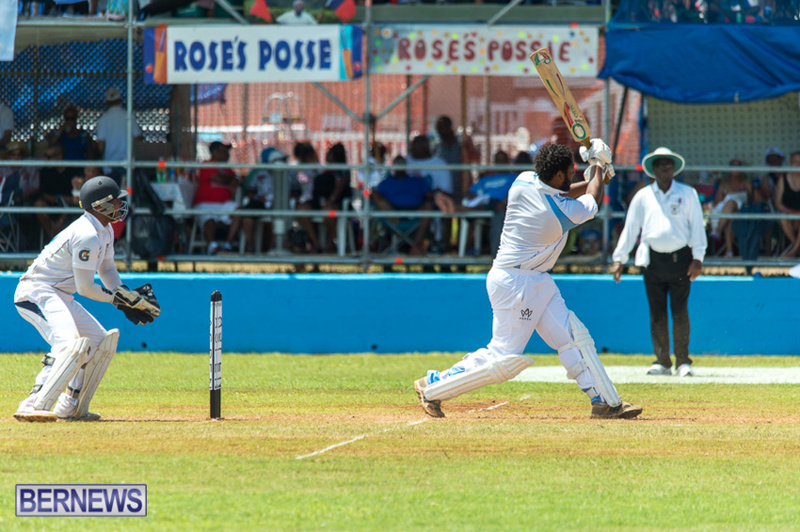 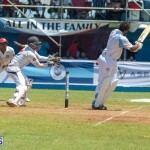 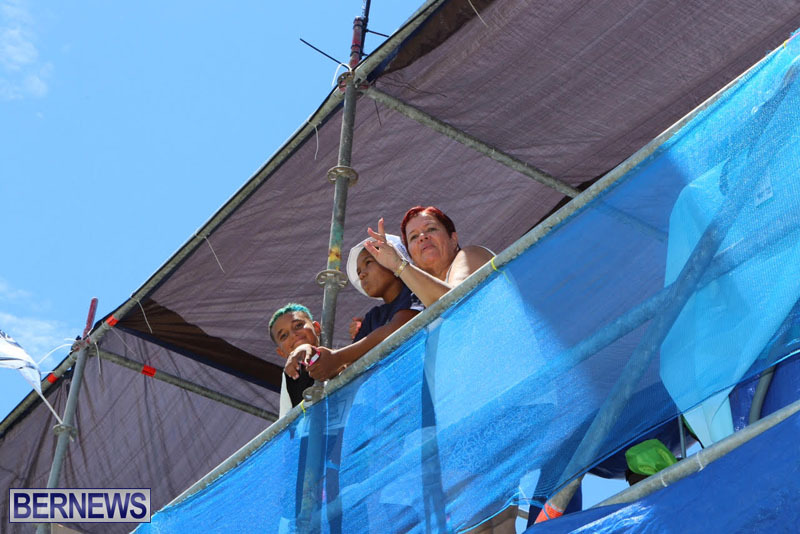 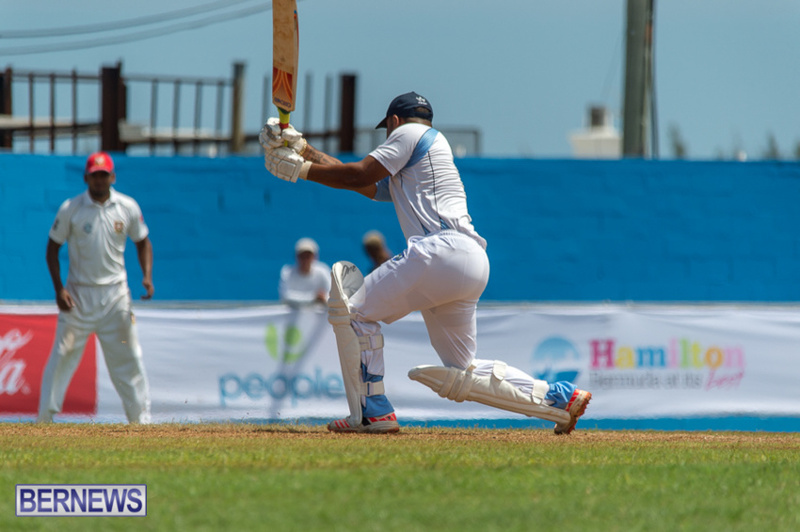 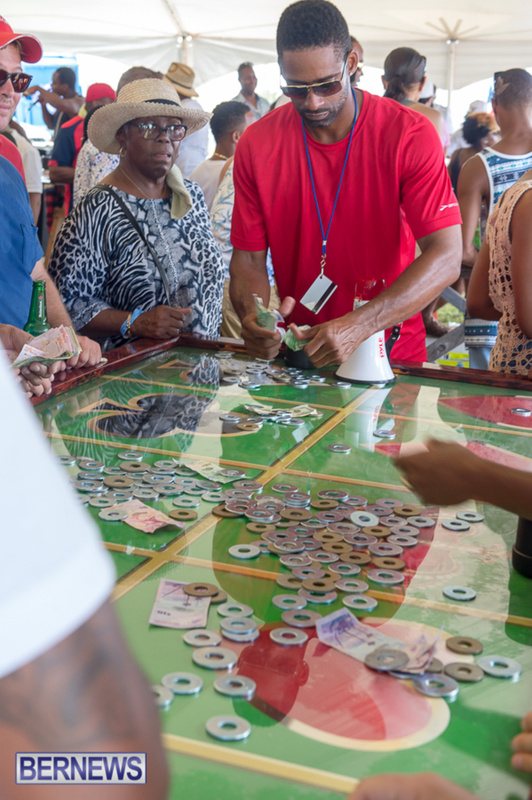 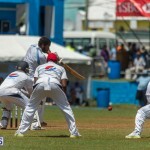 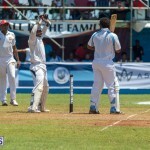 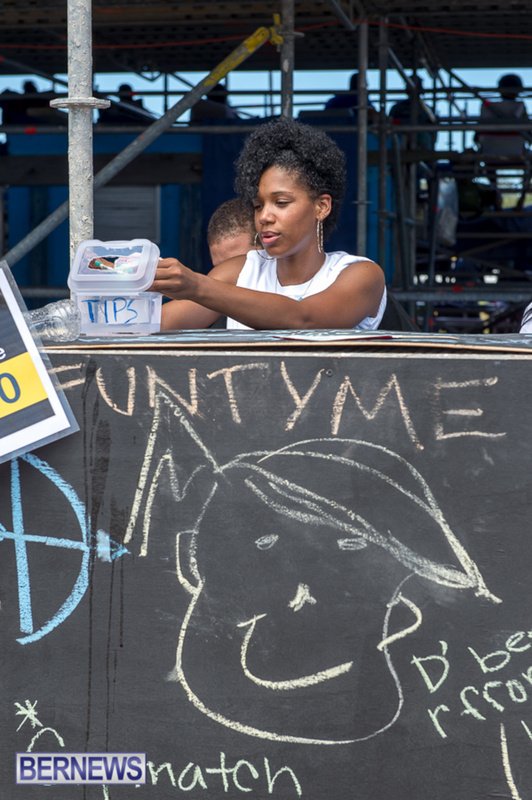 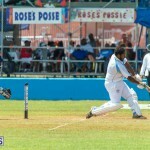 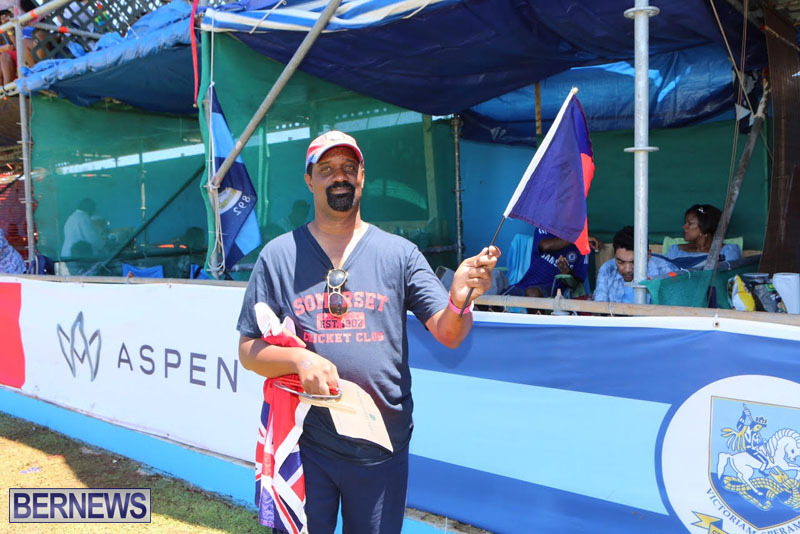 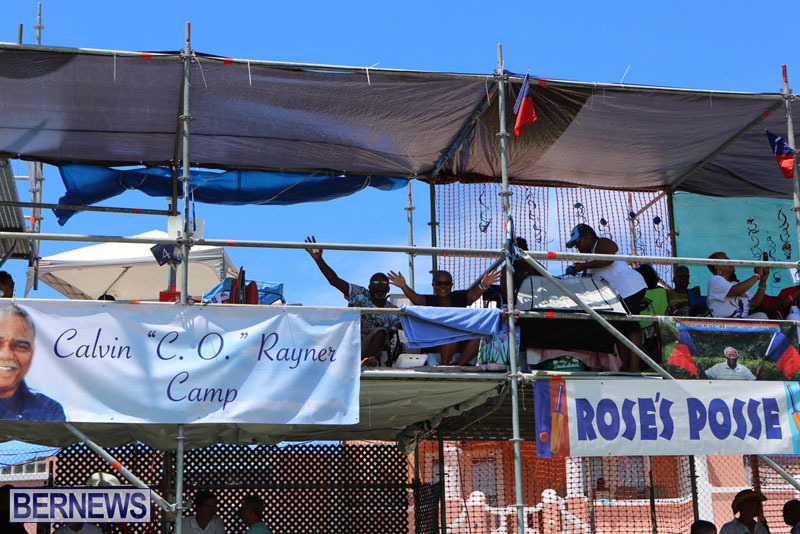 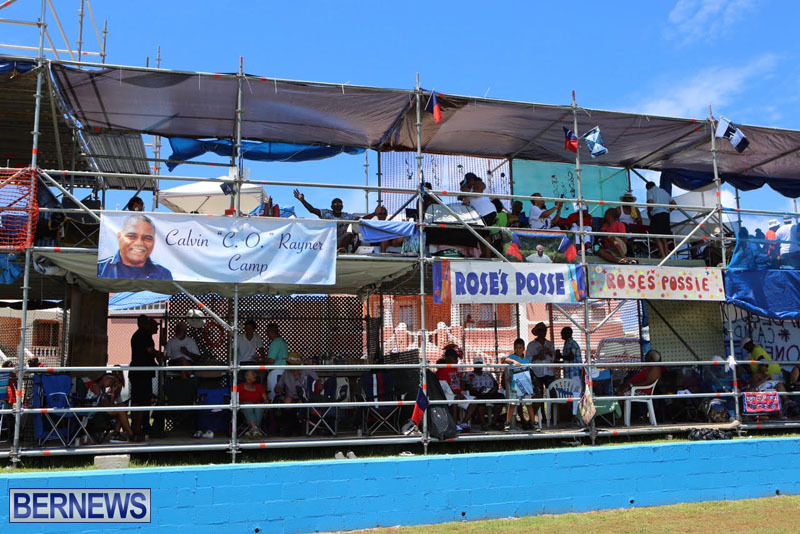 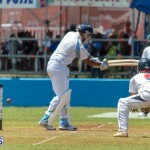 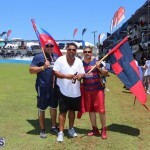 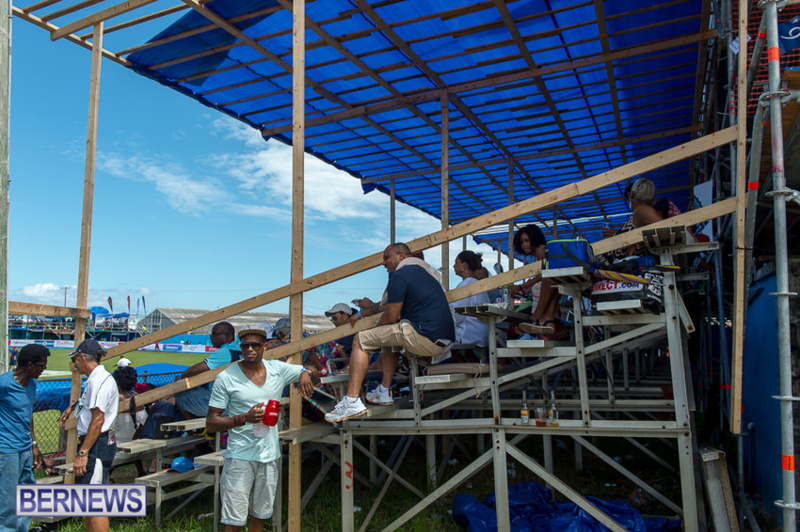 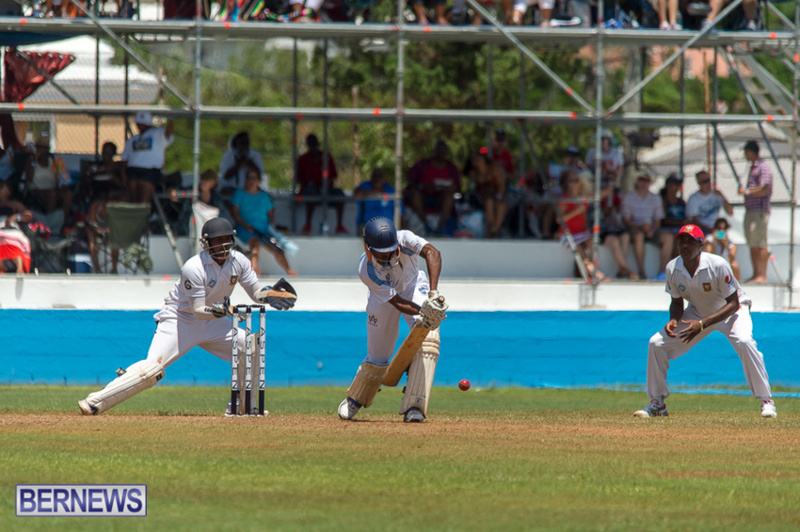 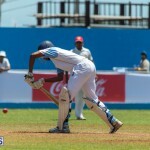 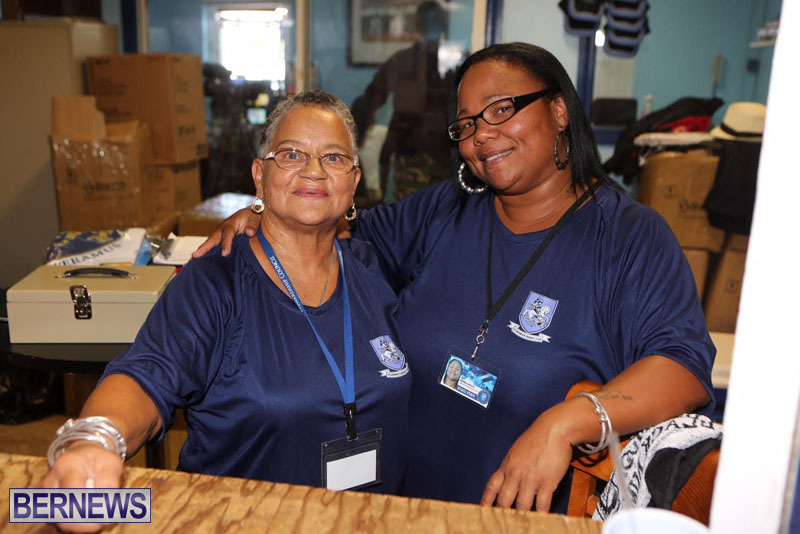 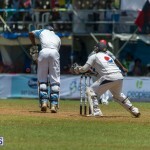 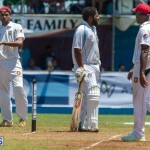 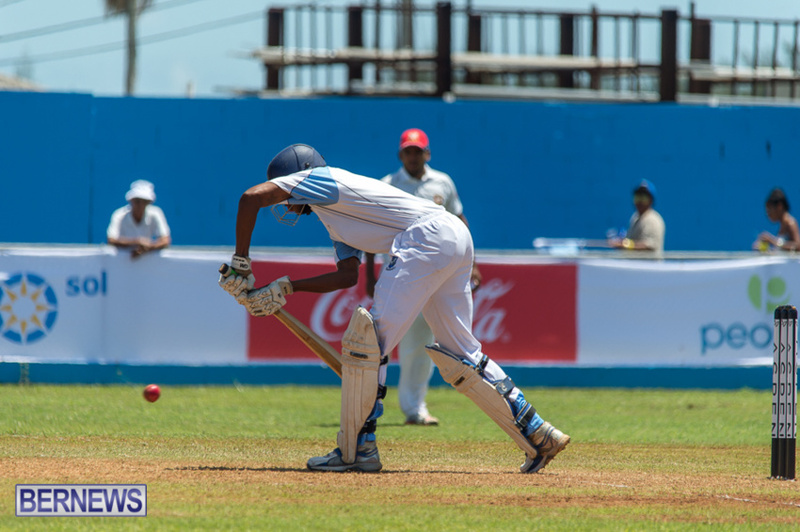 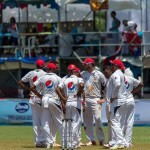 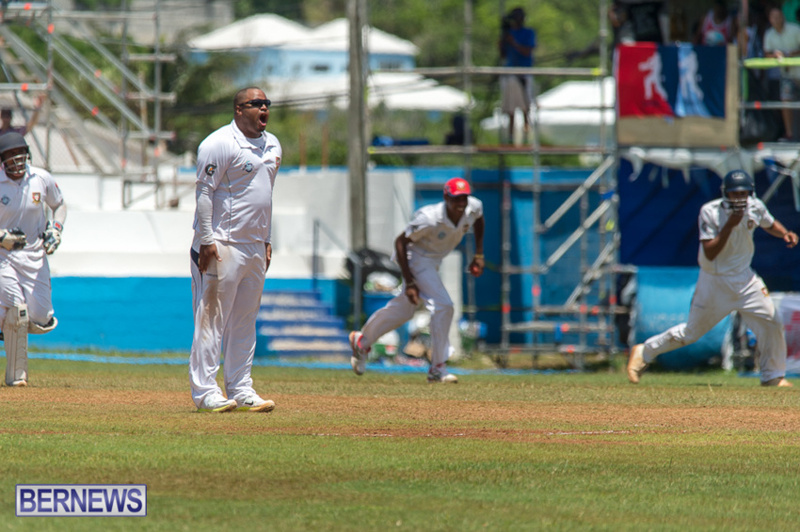 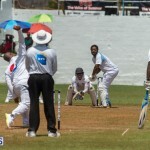 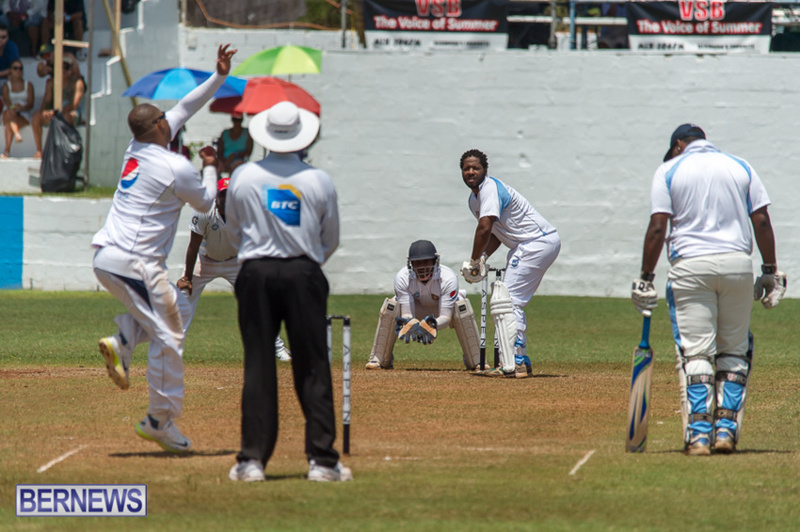 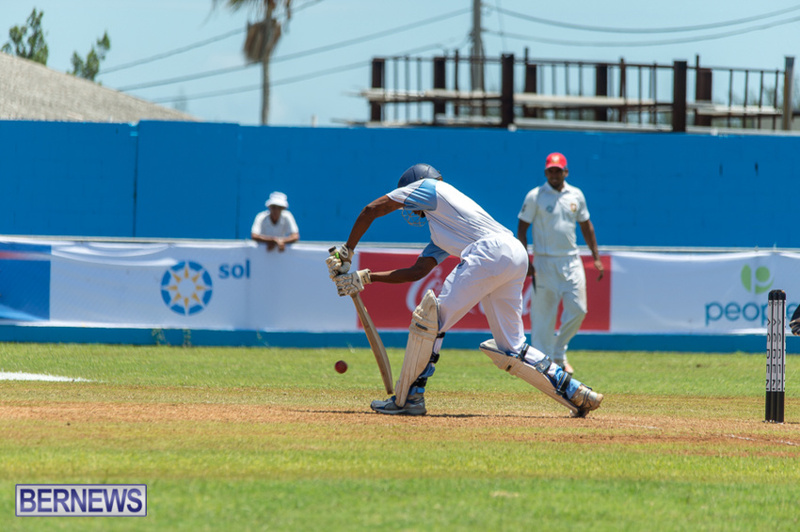 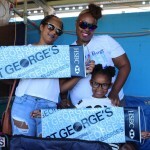 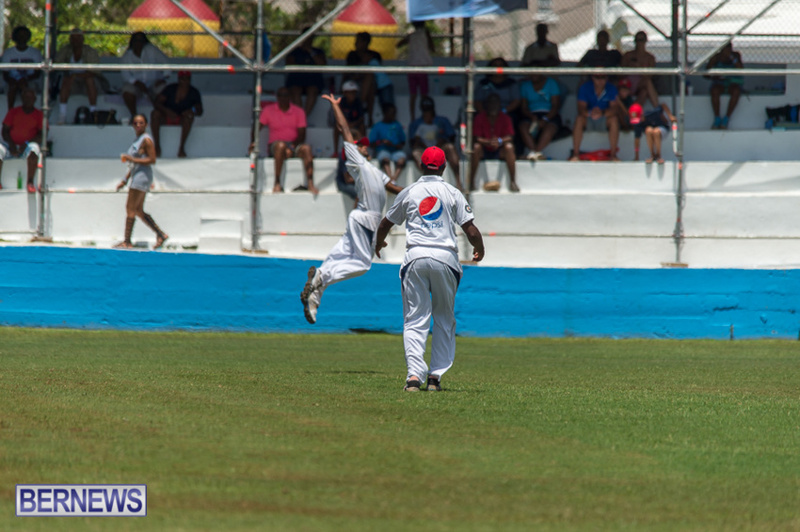 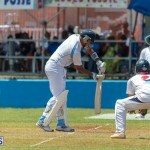 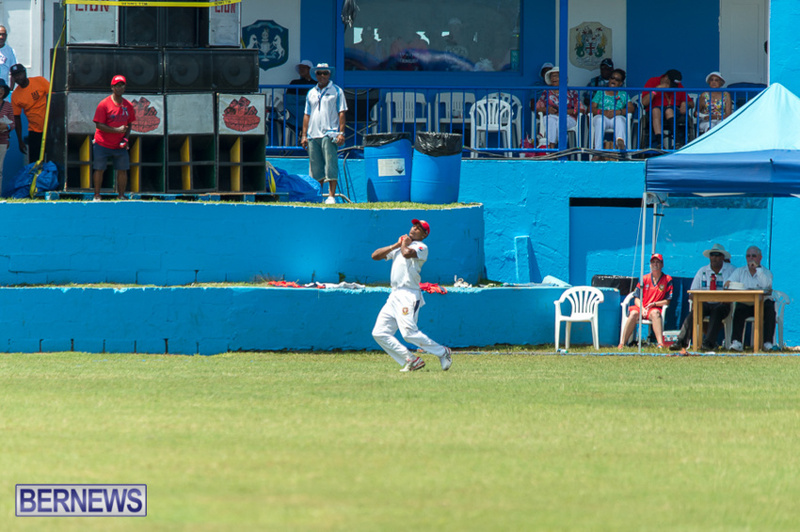 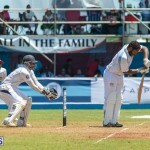 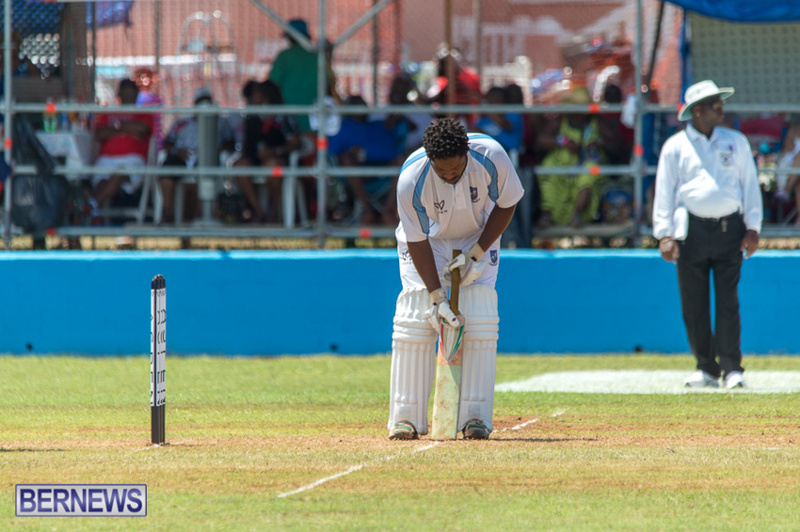 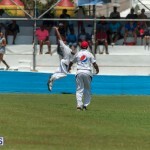 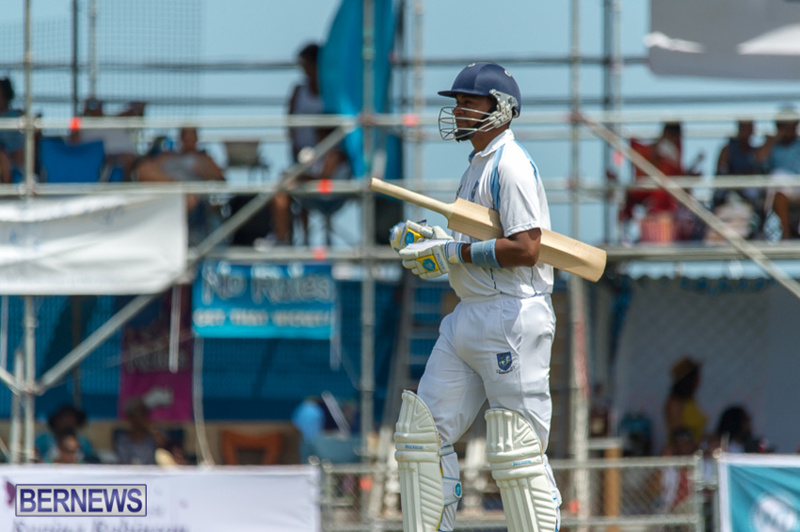 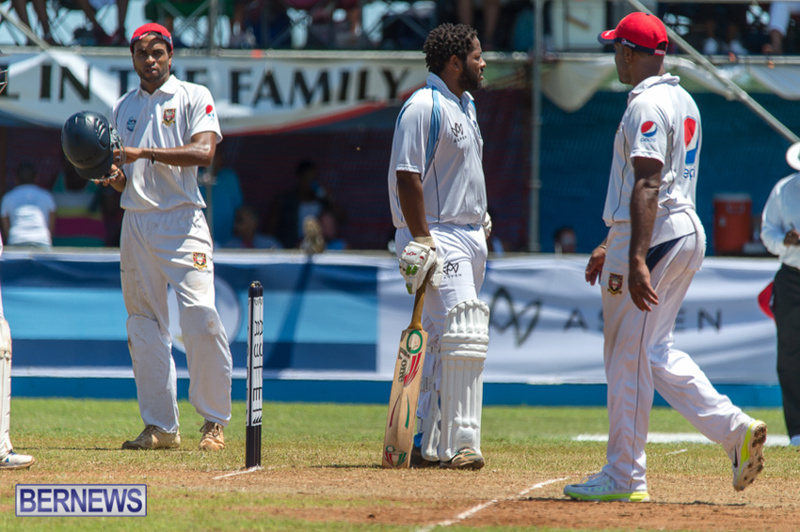 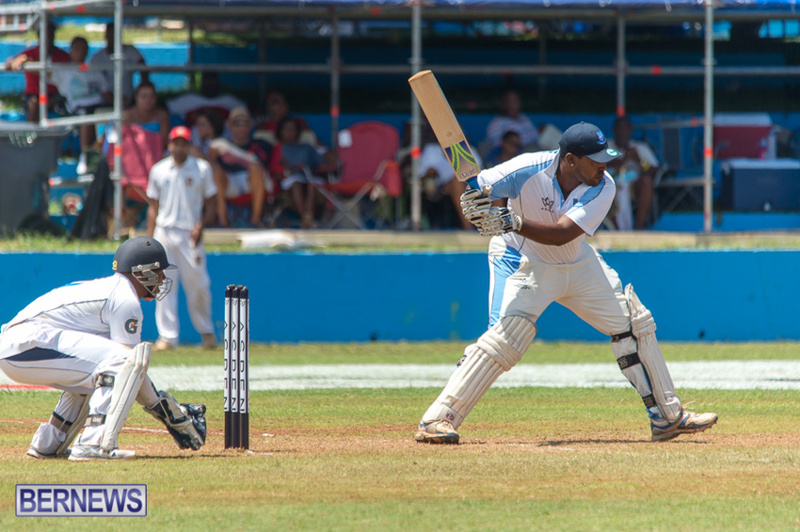 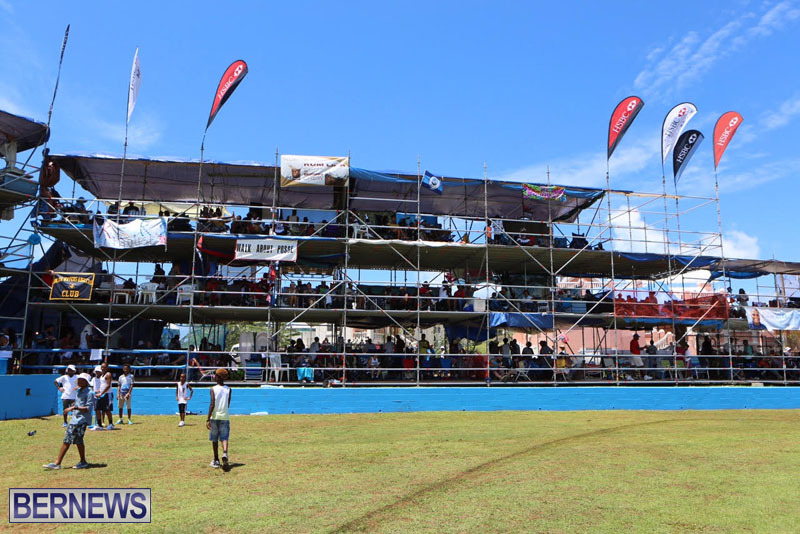 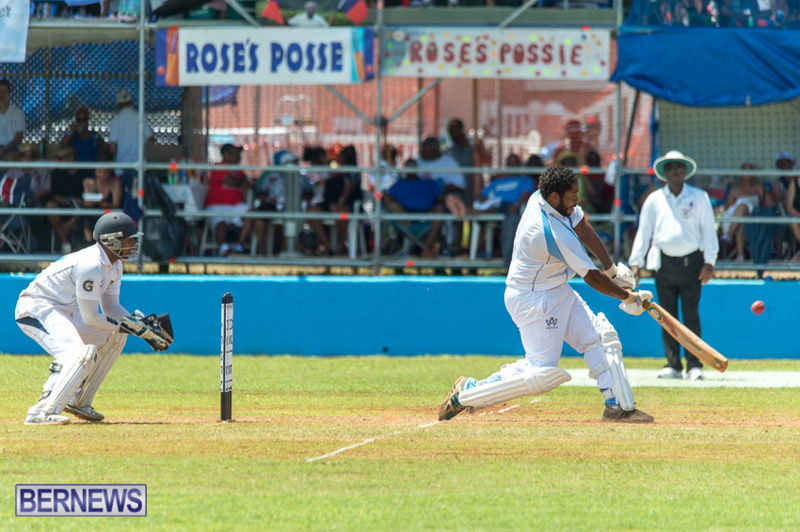 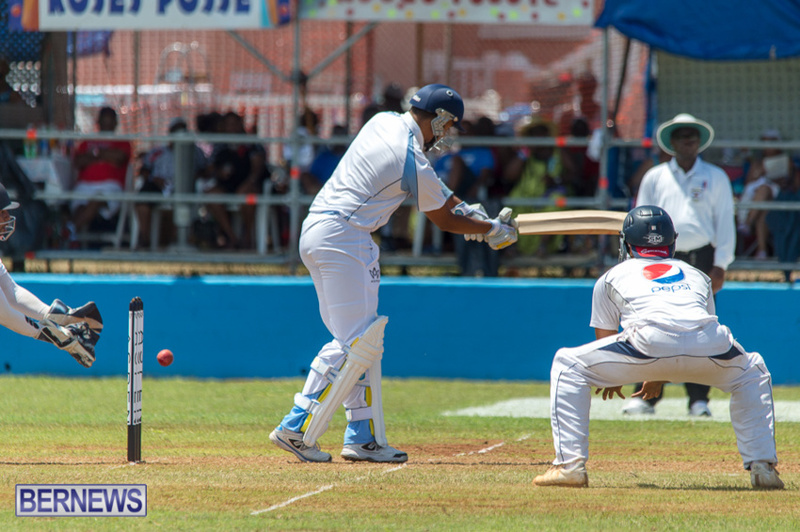 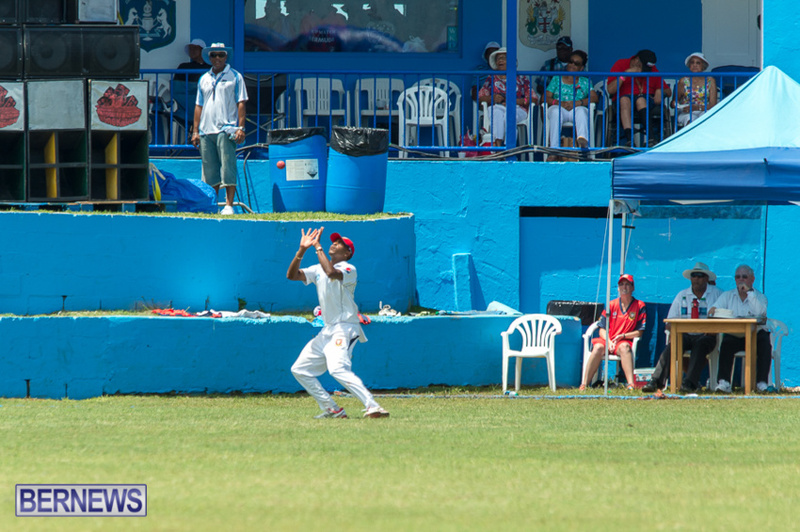 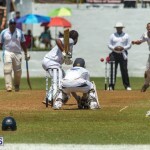 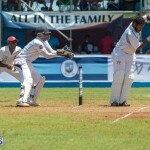 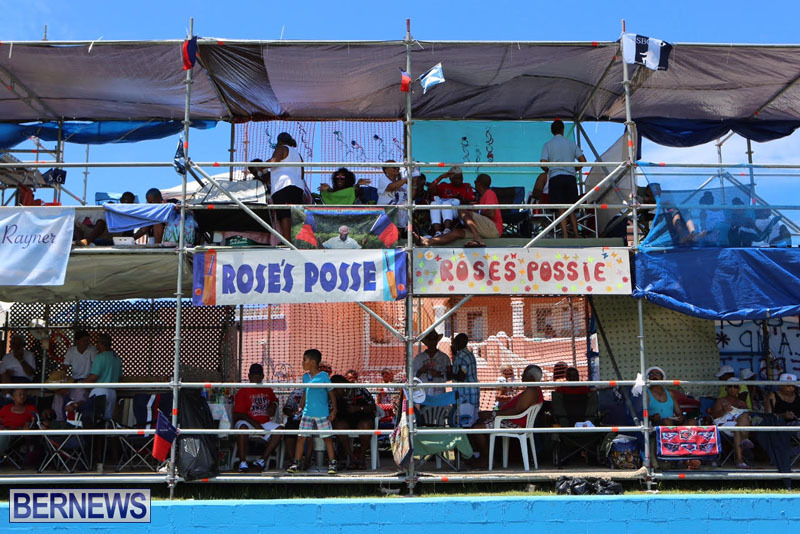 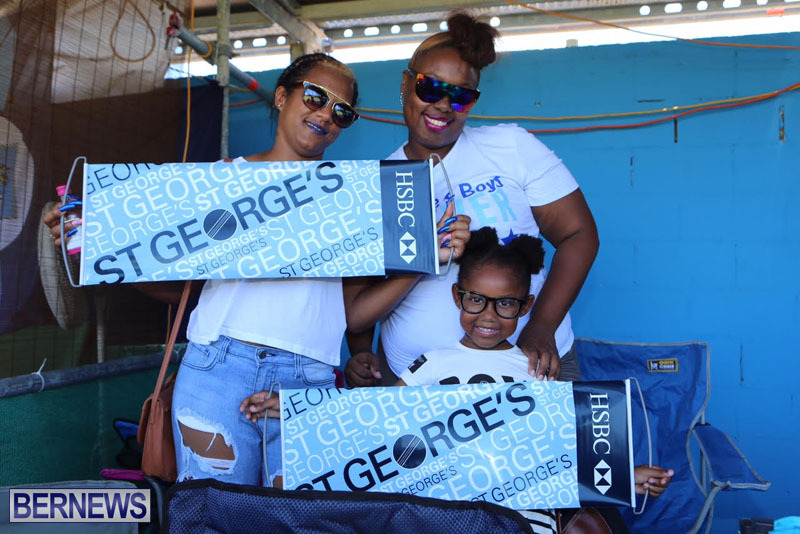 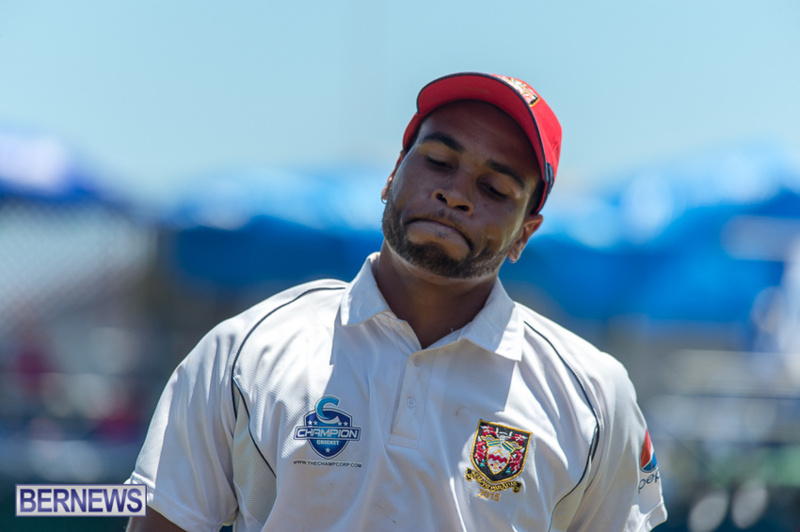 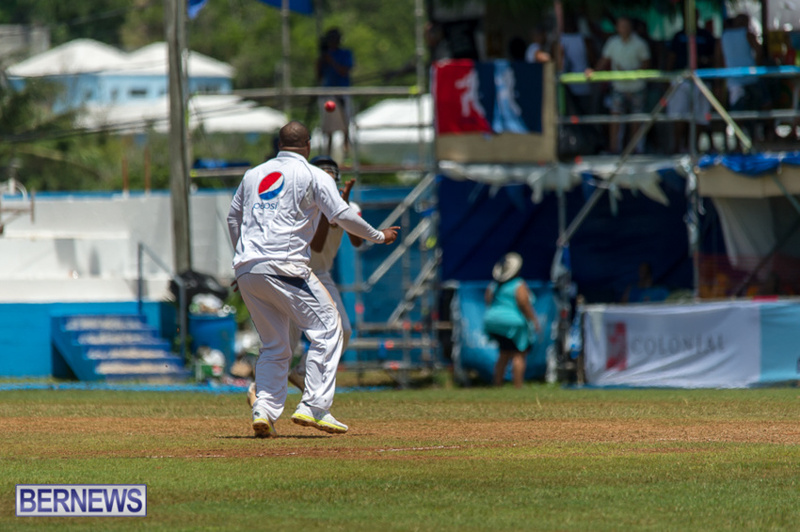 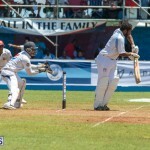 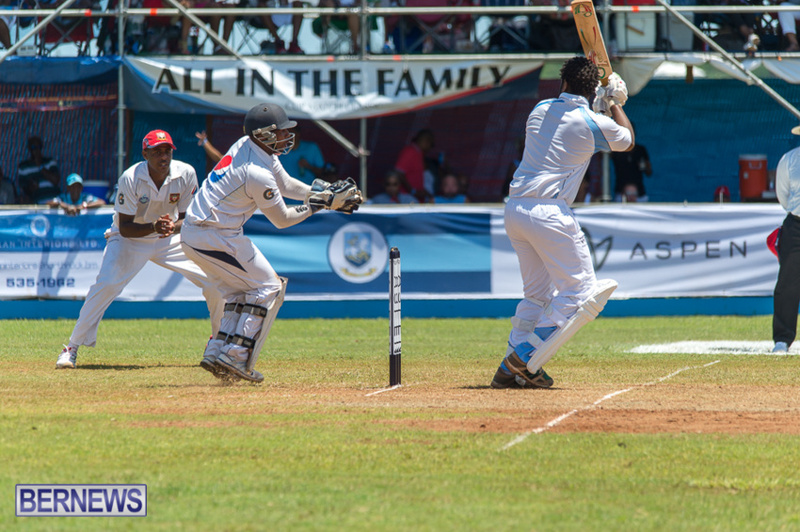 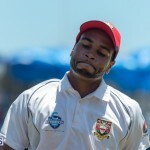 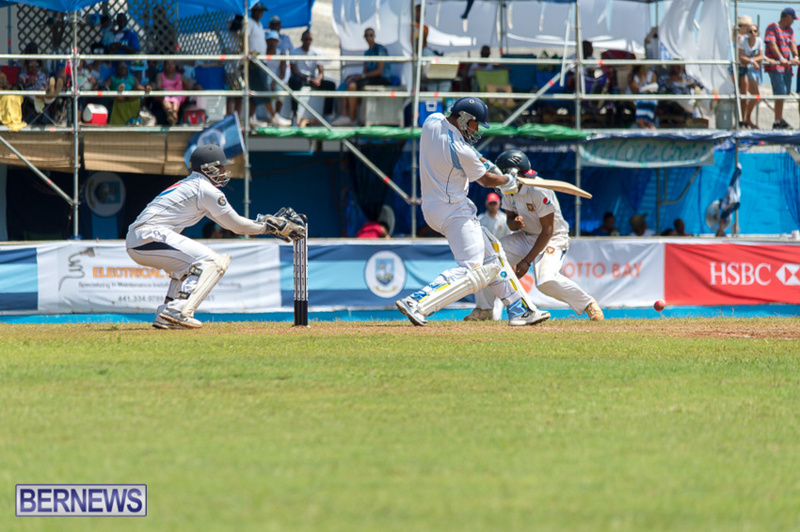 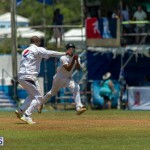 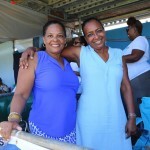 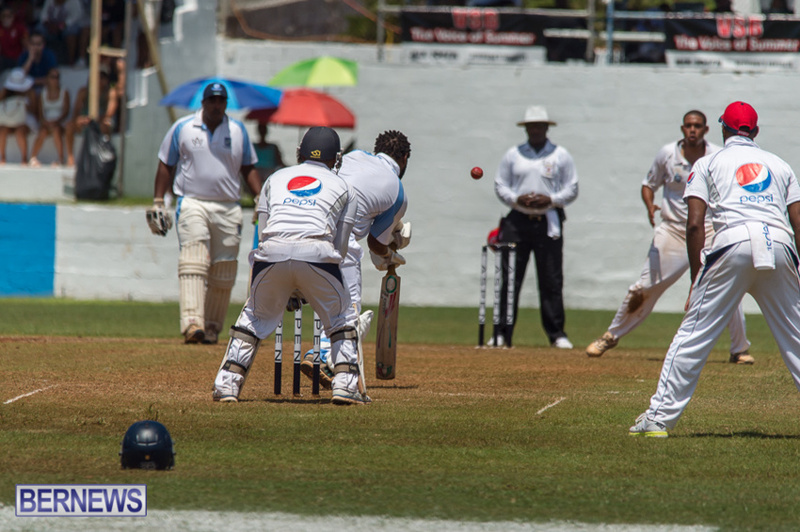 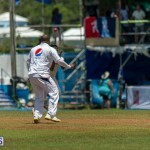 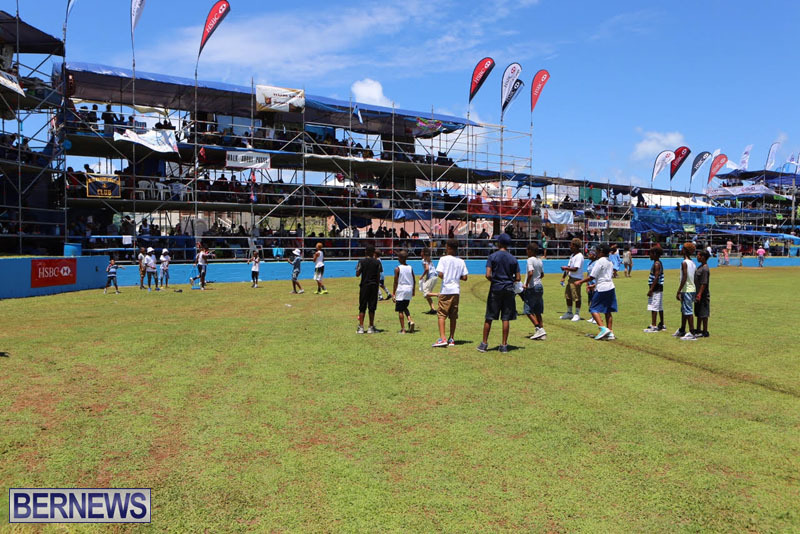 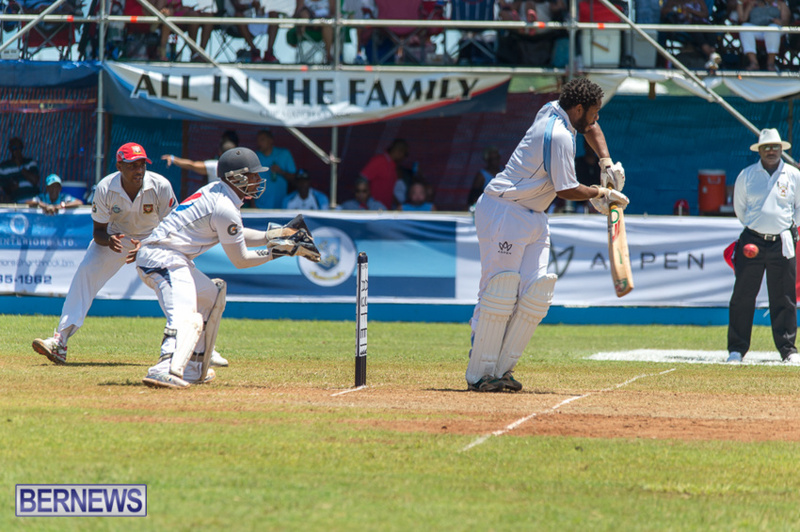 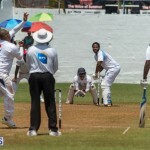 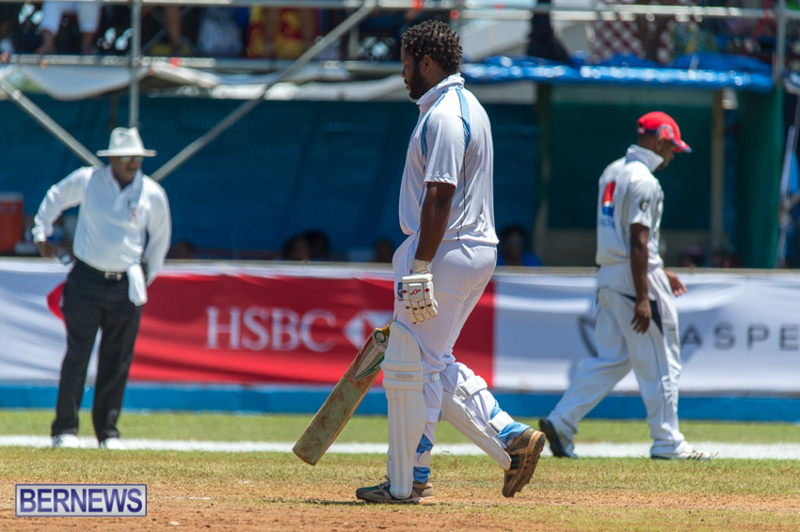 [Updated with more photos] The battle between Somerset and St. George’s carried on through the afternoon at Cup Match 2015 today [July 30], with fans of both club turning out in droves to enthusiastically cheer on their team. 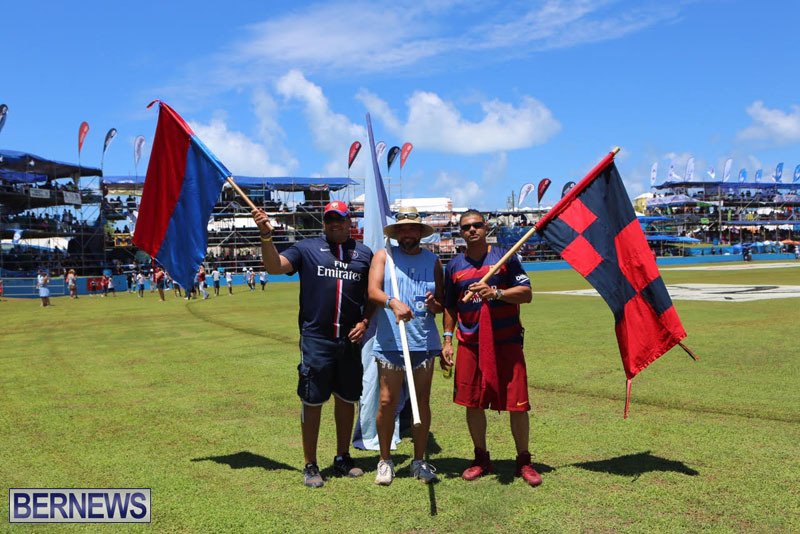 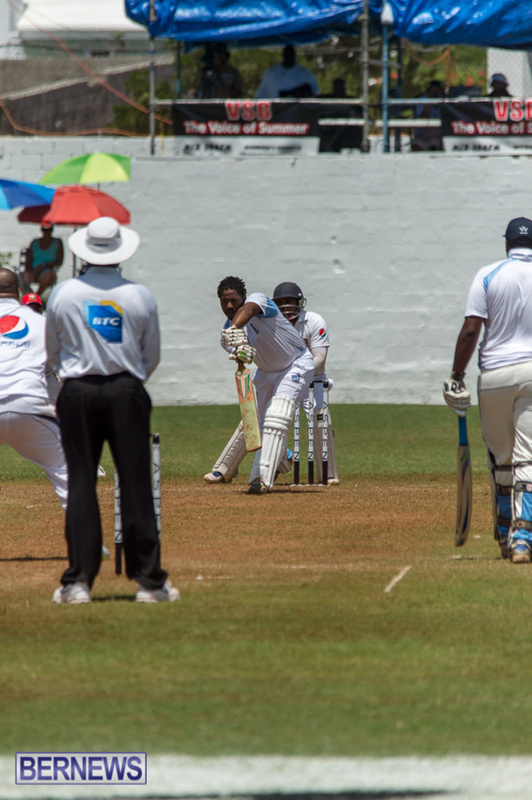 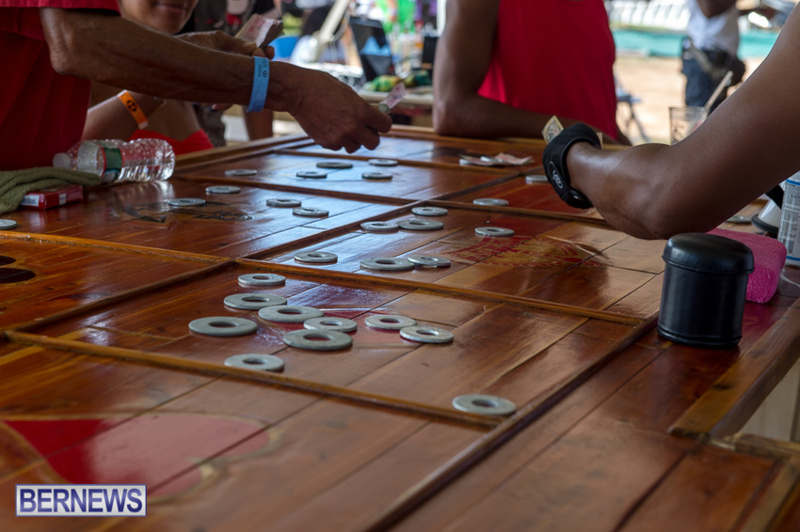 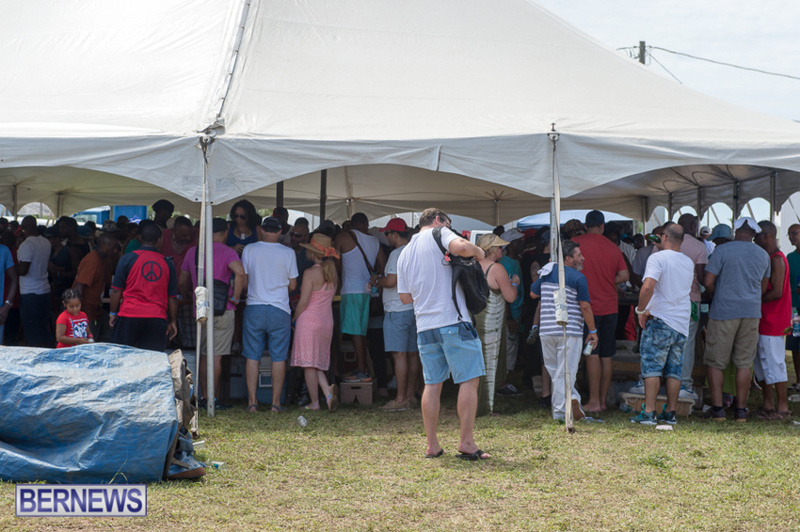 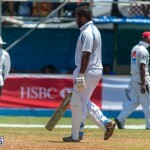 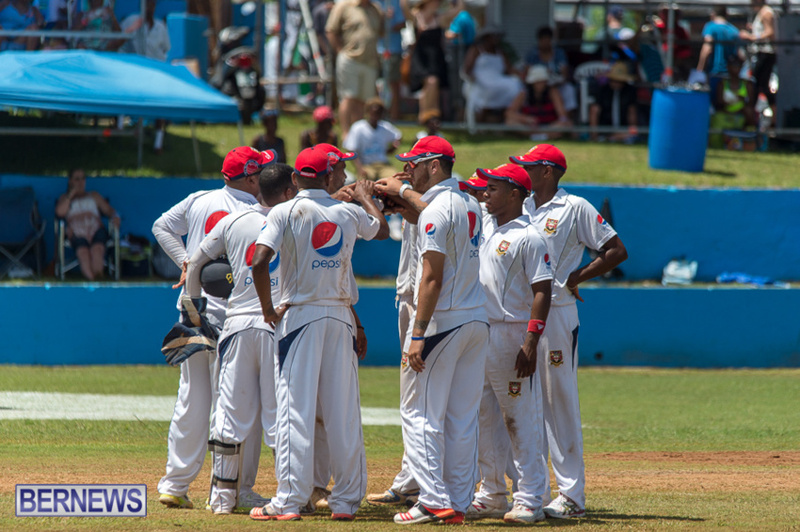 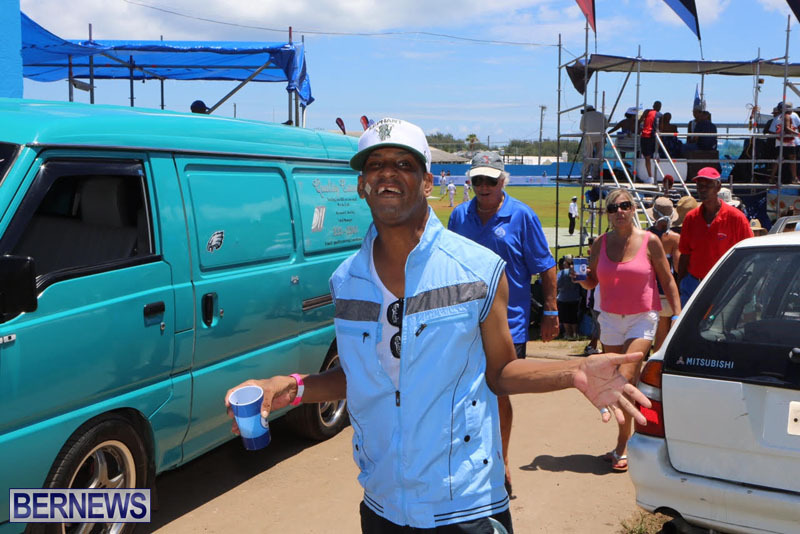 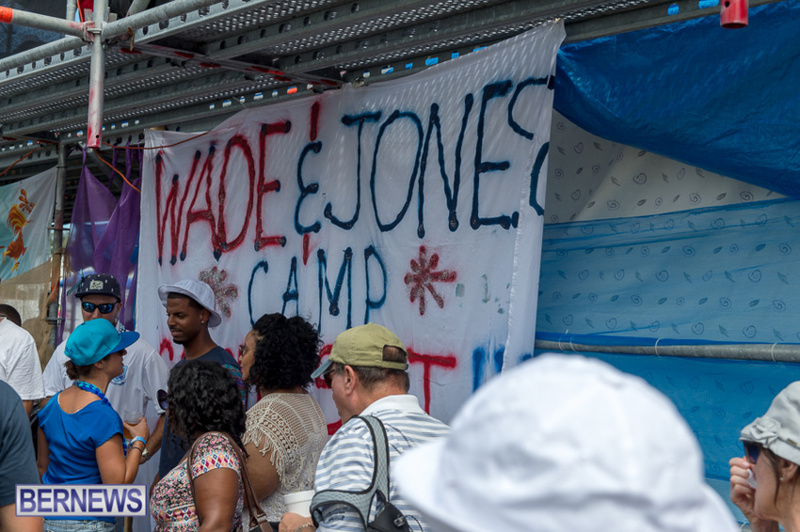 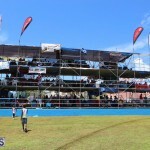 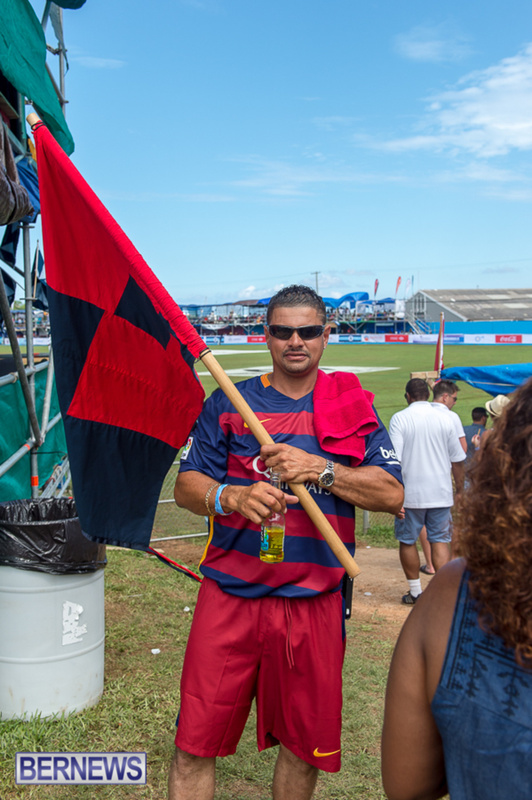 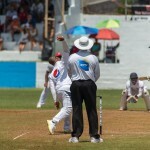 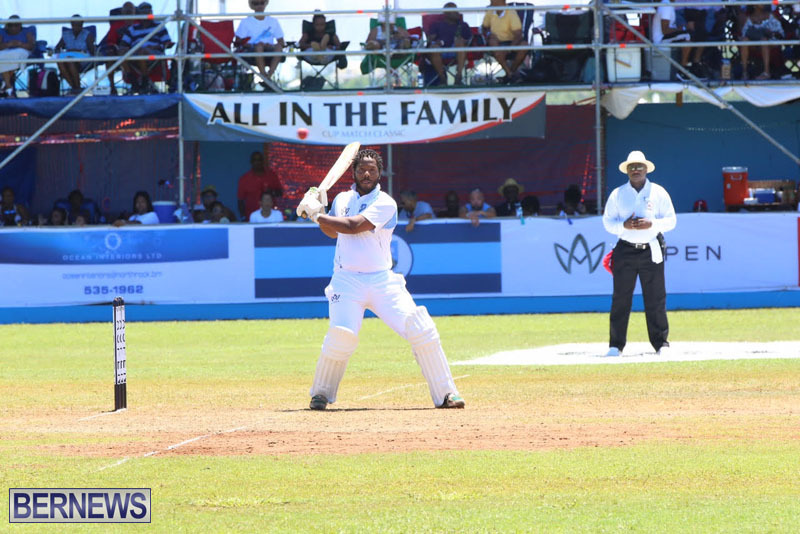 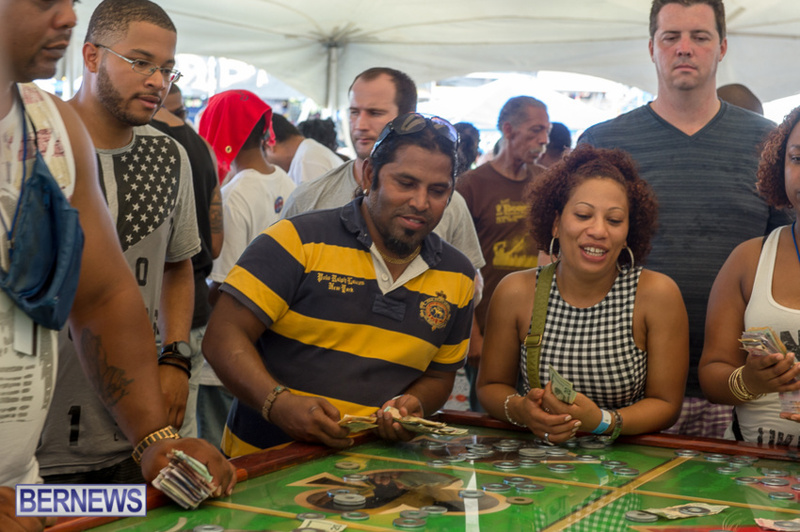 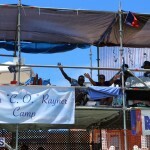 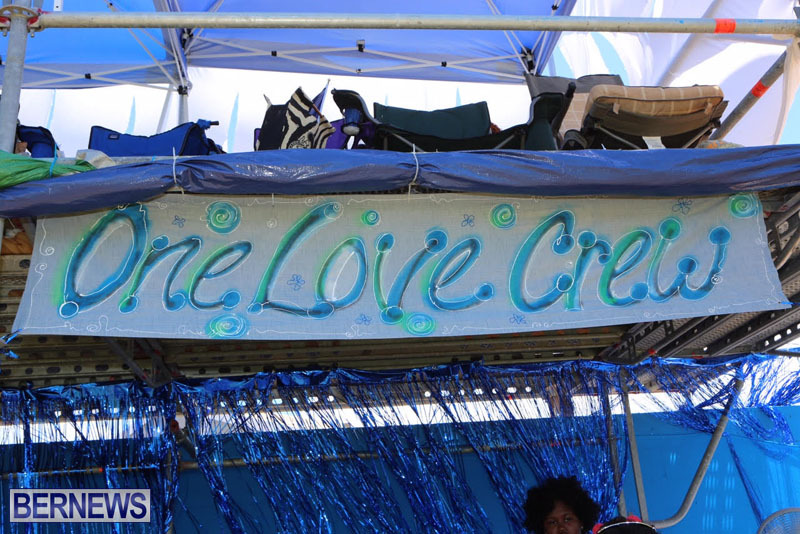 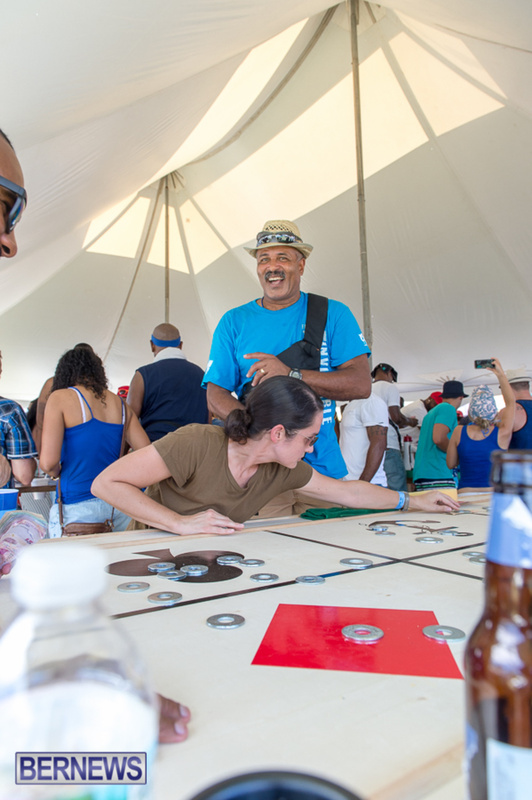 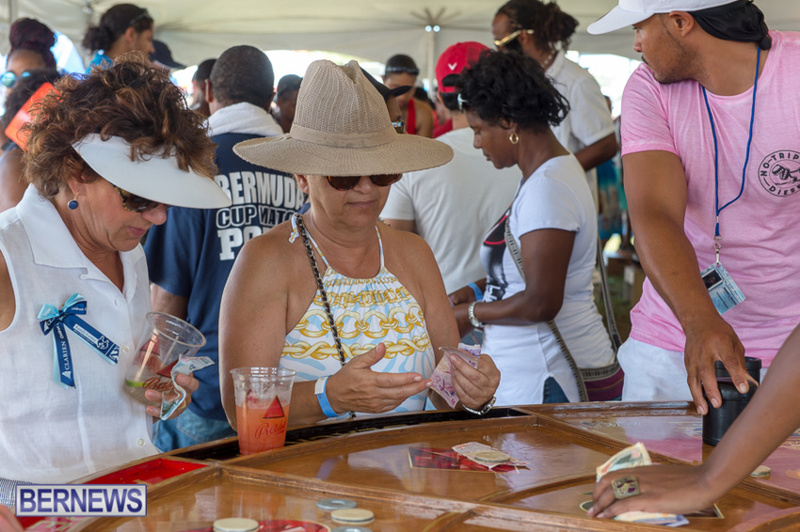 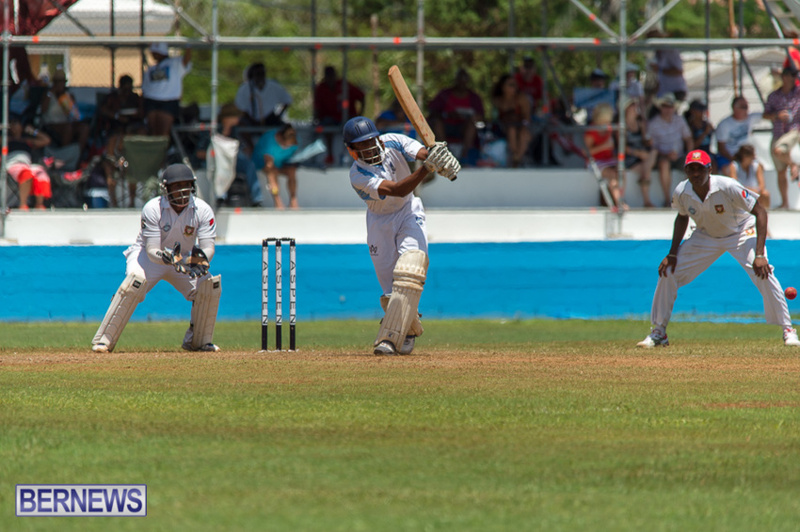 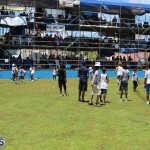 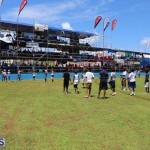 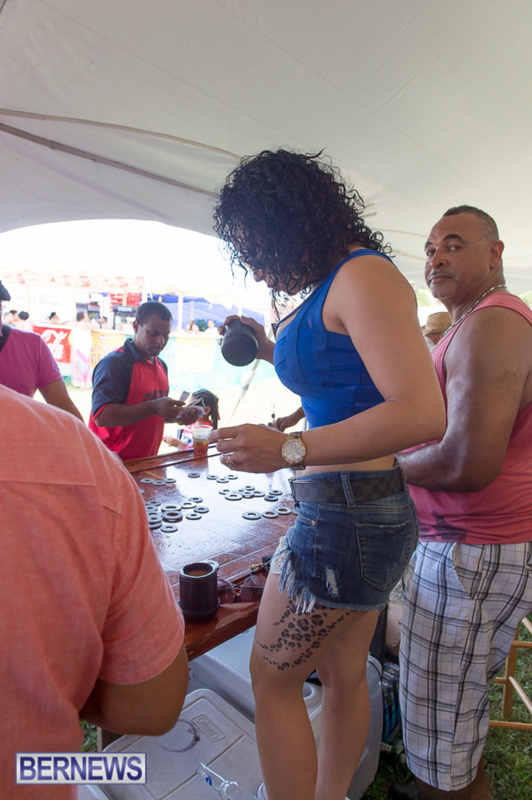 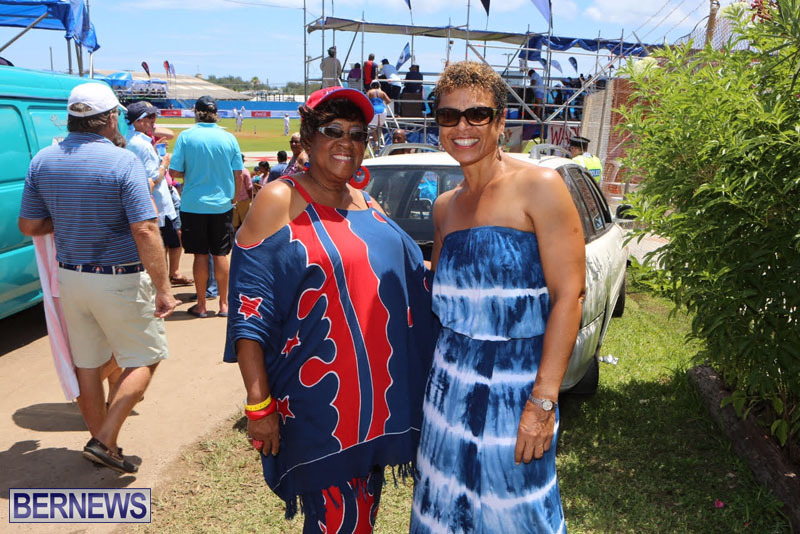 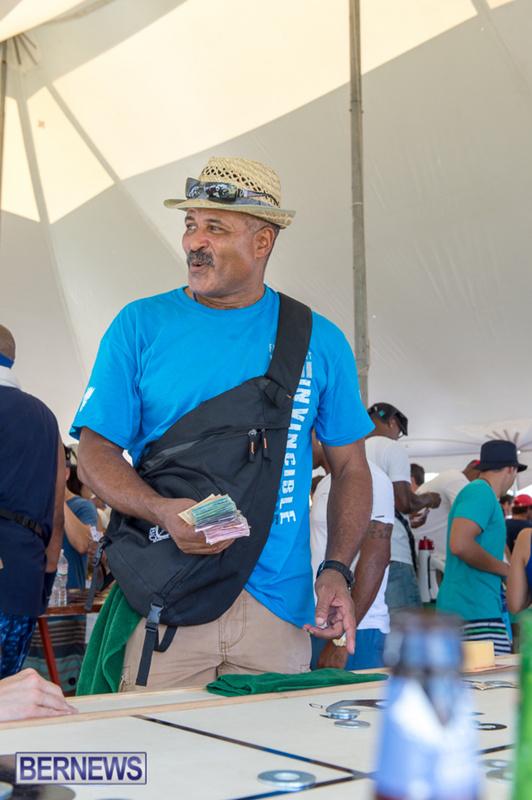 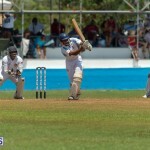 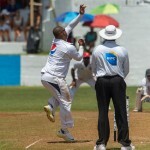 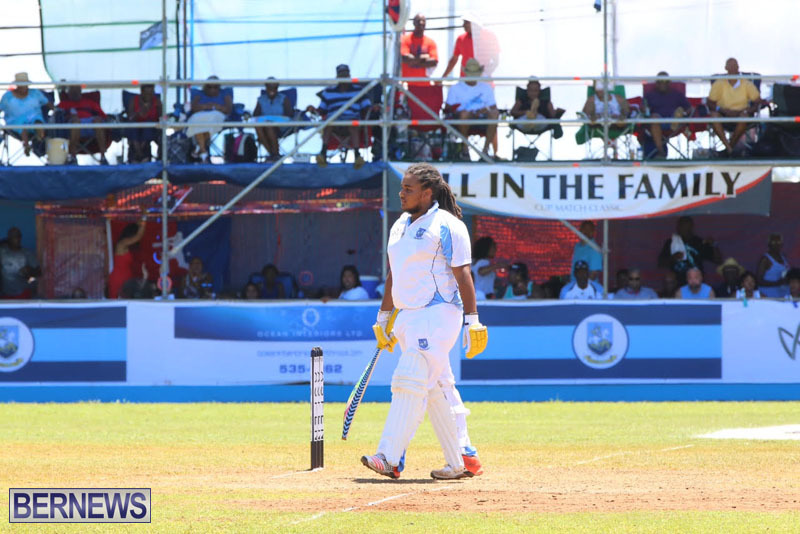 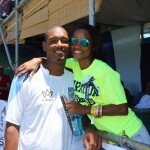 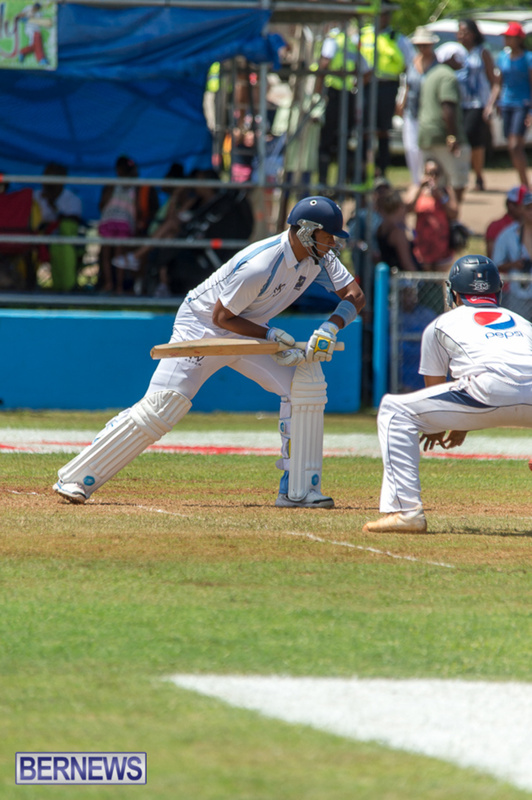 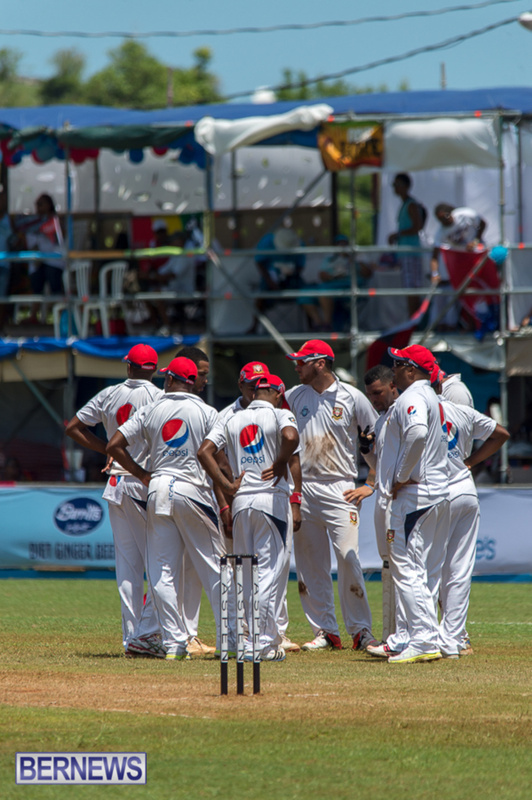 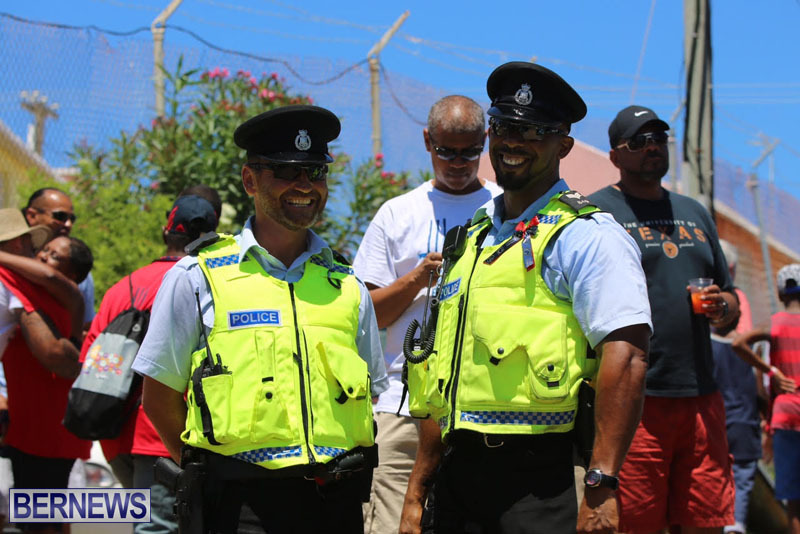 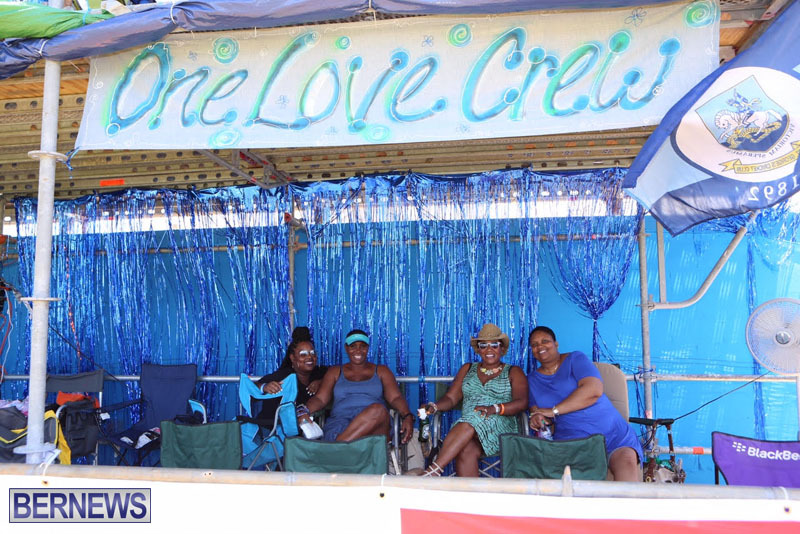 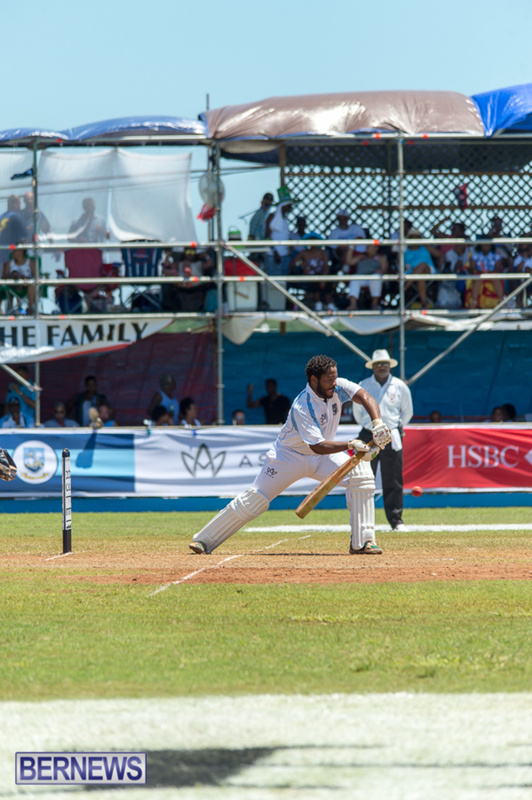 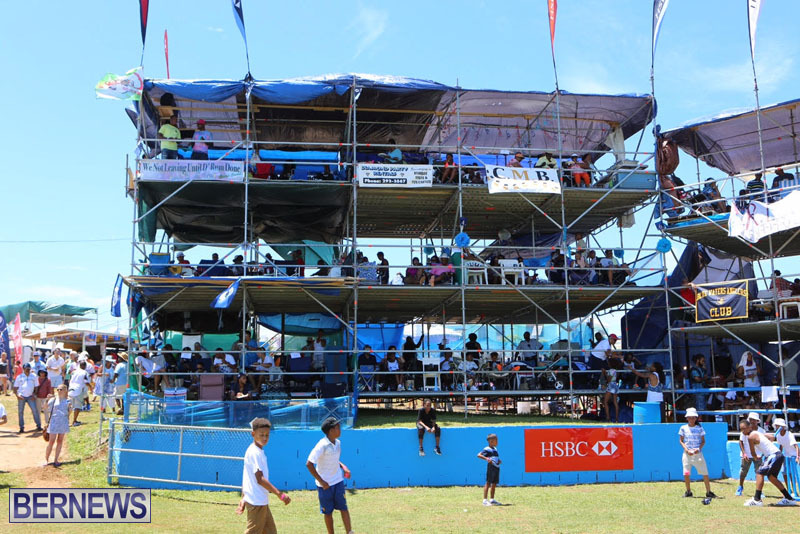 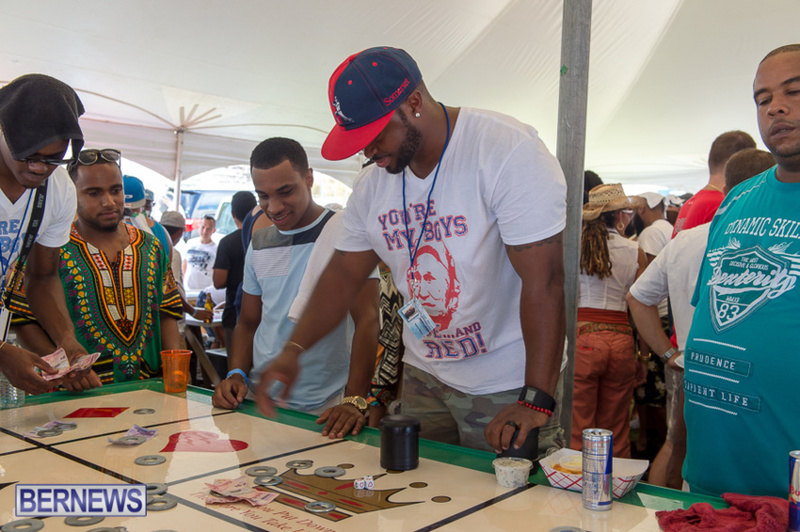 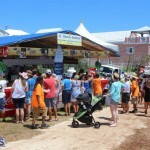 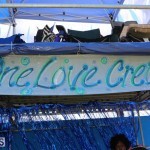 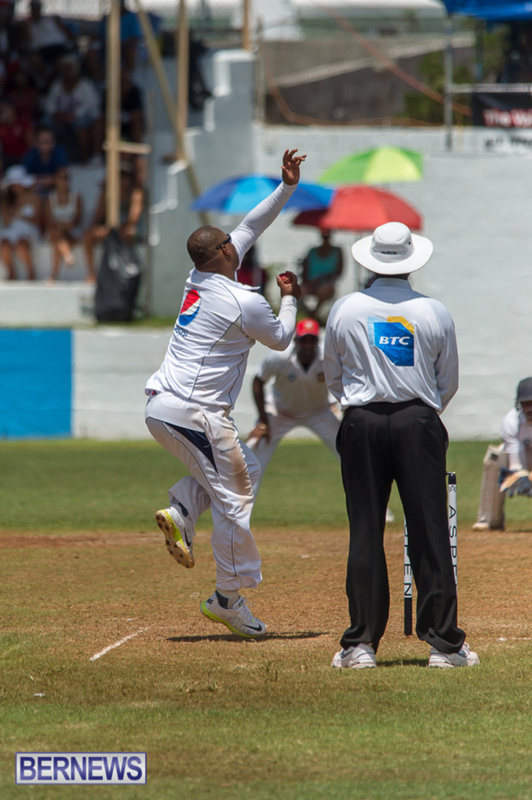 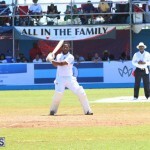 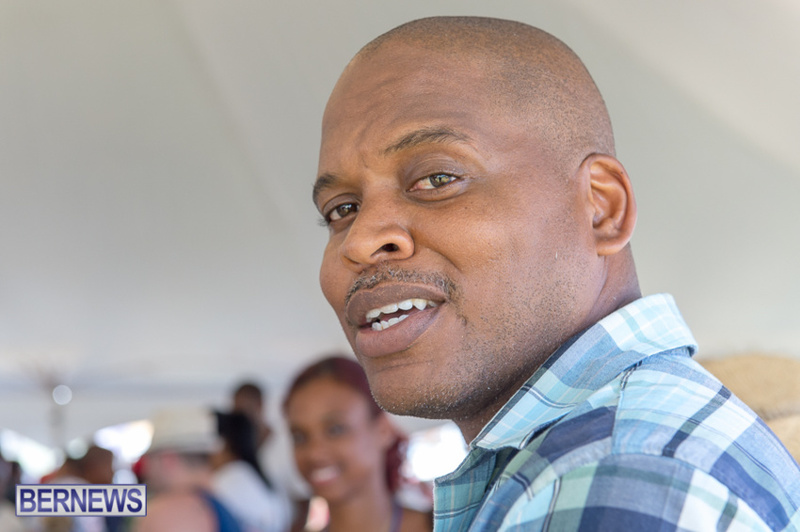 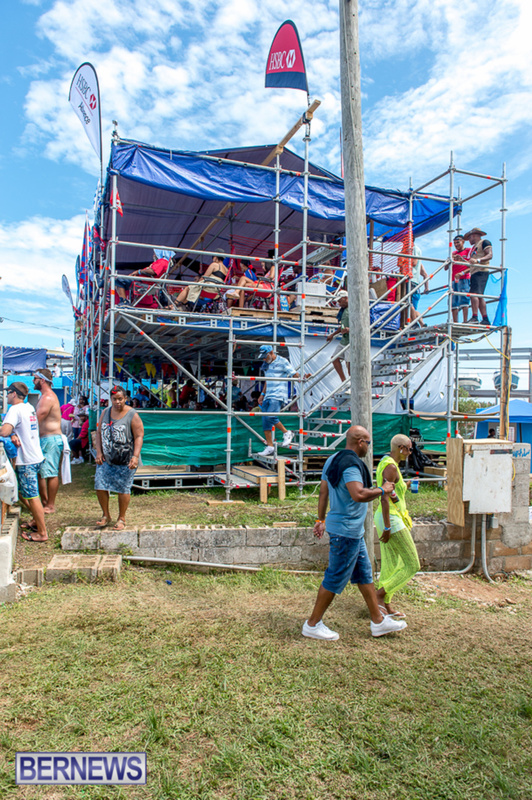 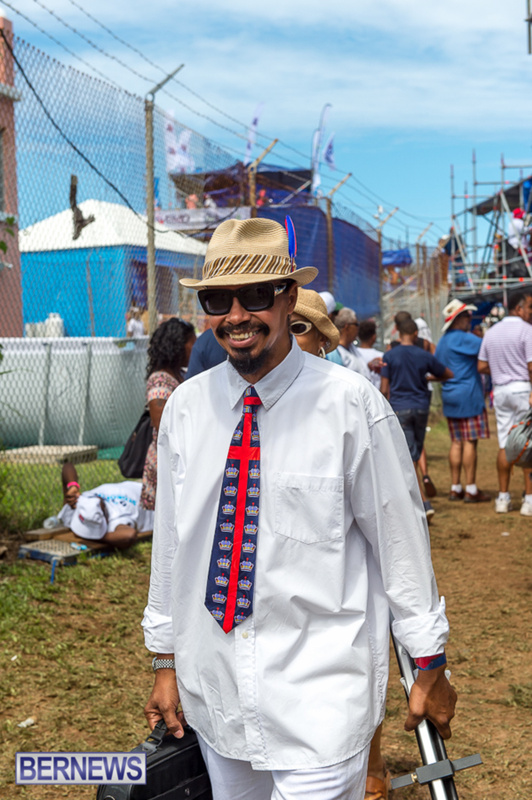 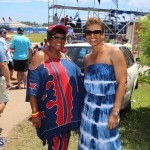 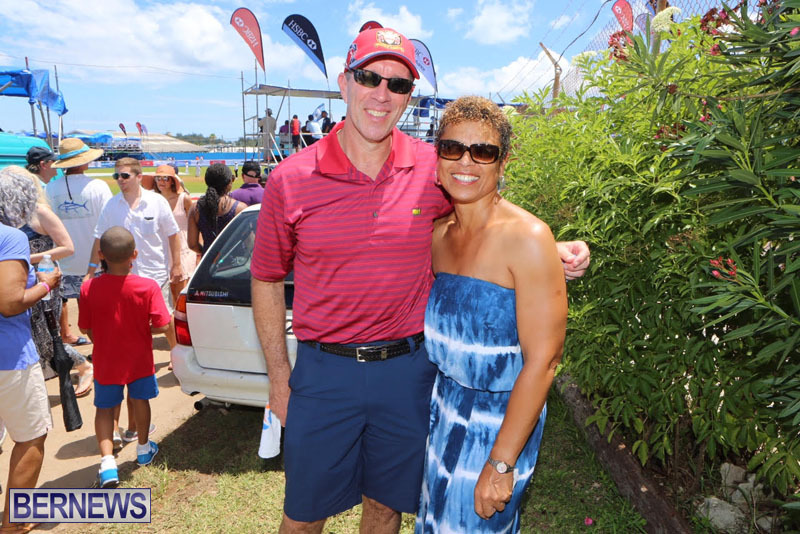 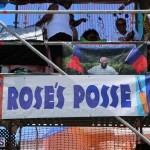 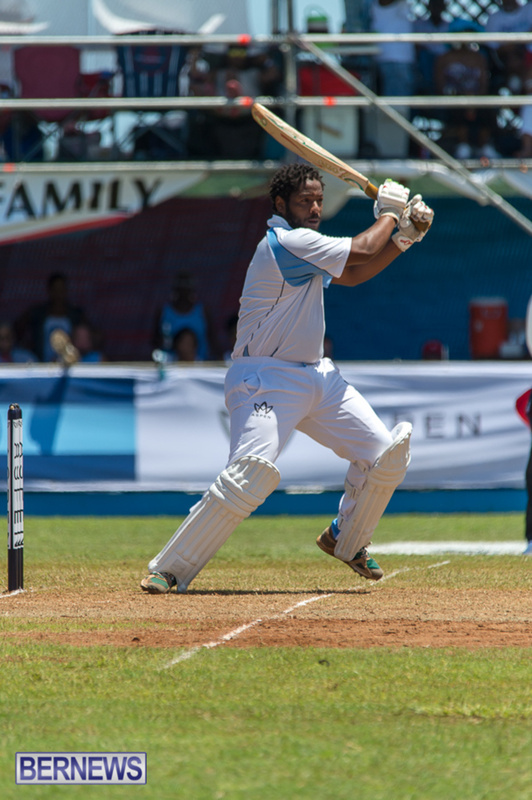 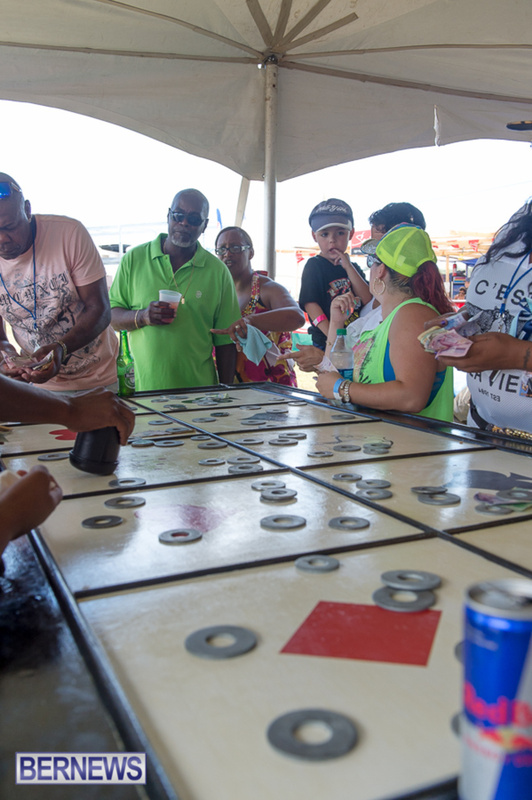 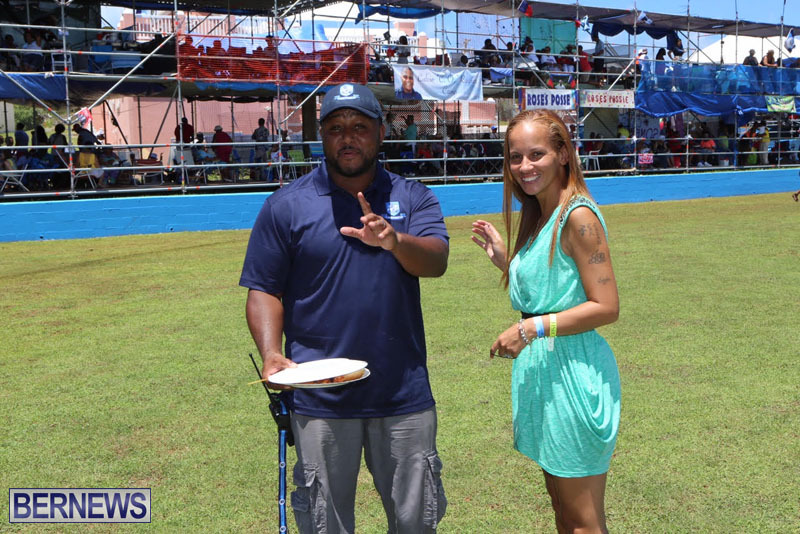 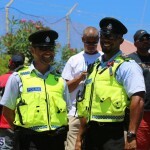 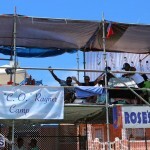 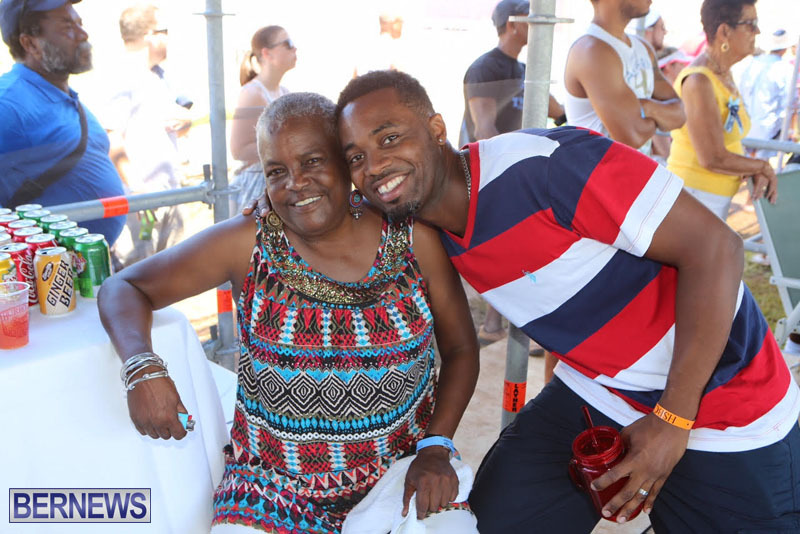 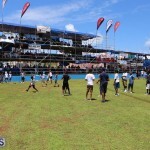 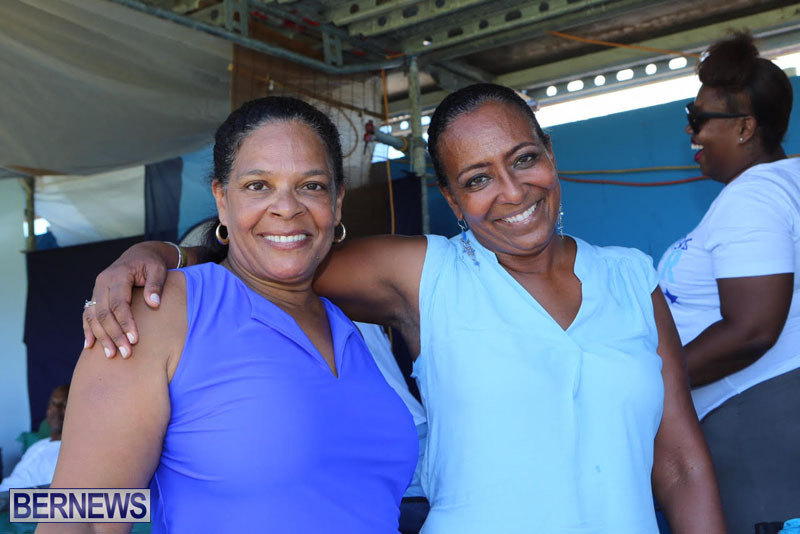 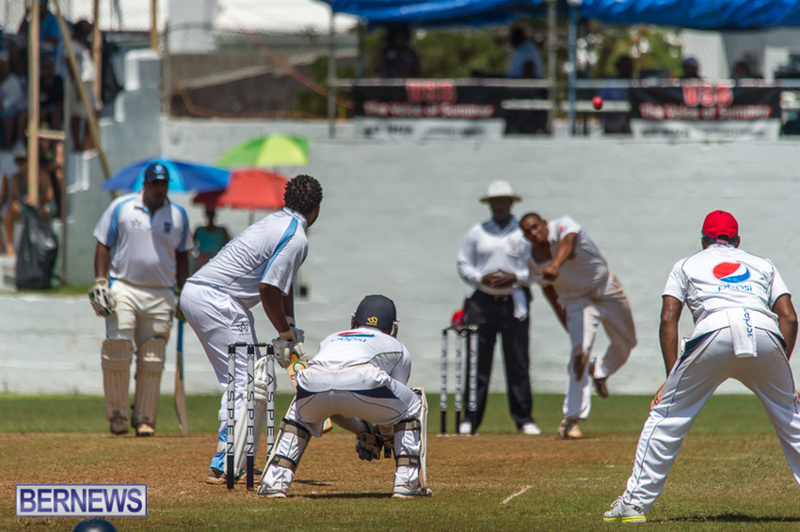 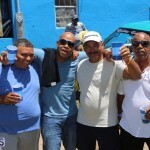 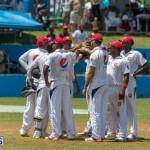 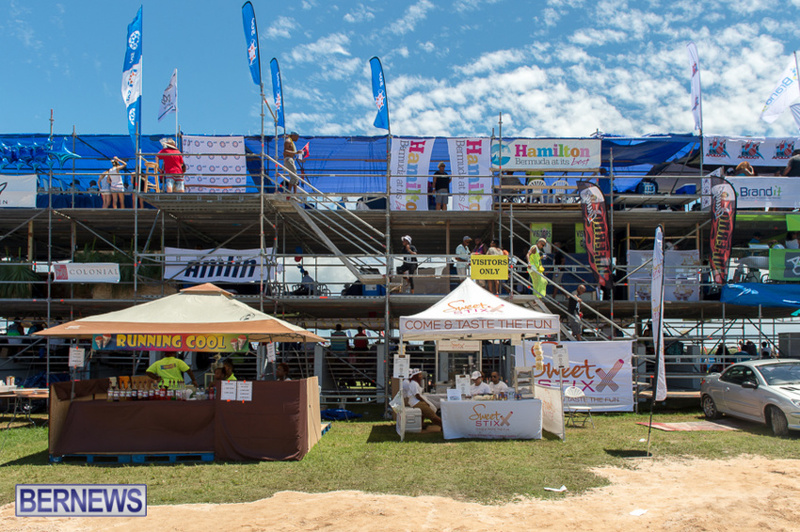 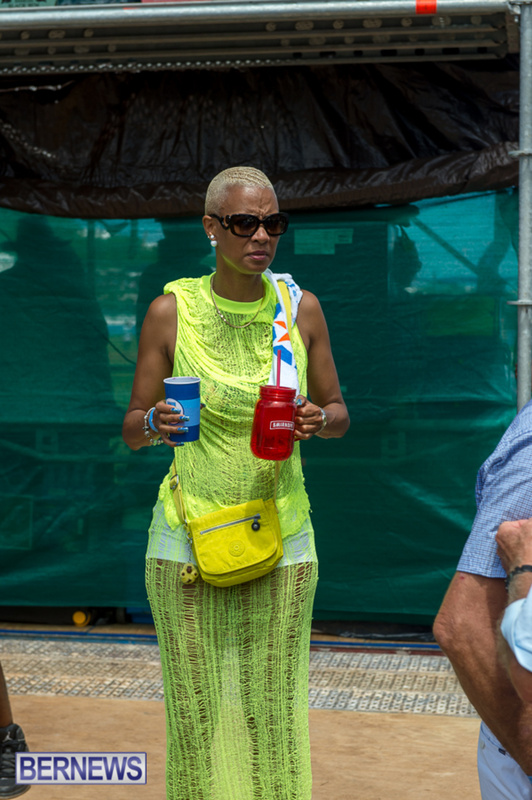 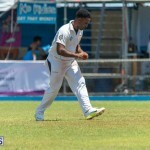 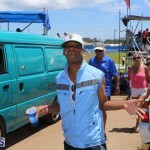 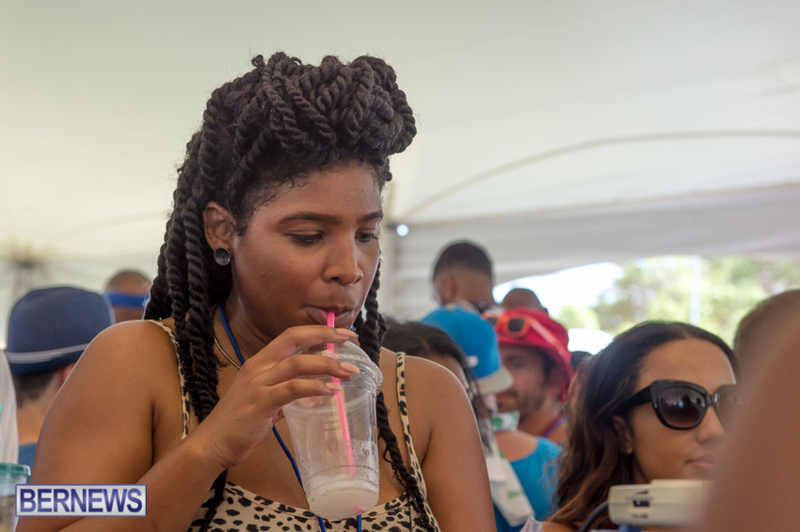 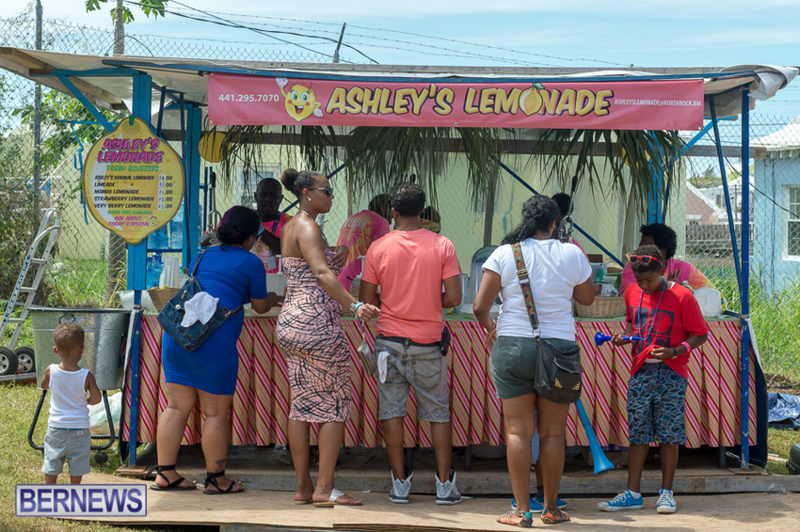 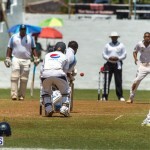 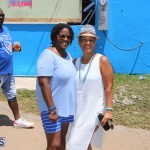 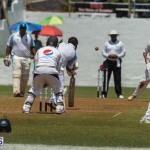 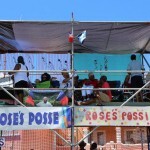 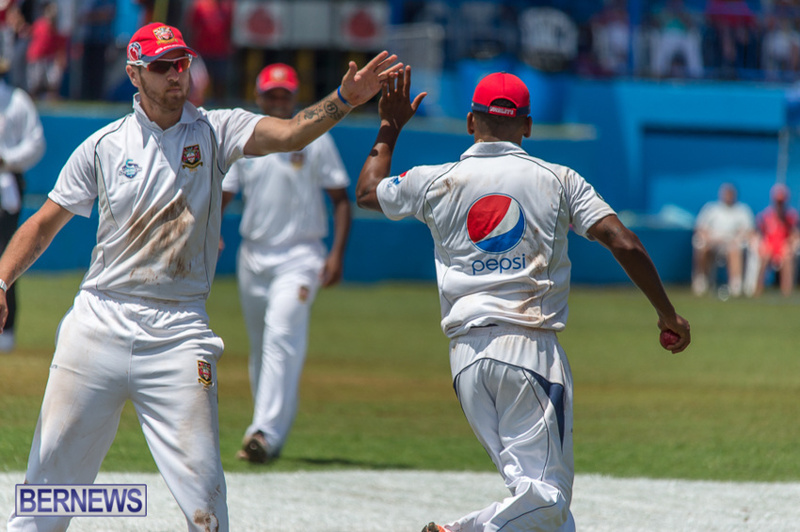 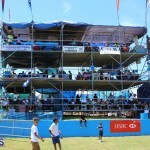 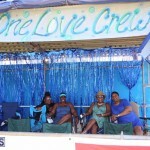 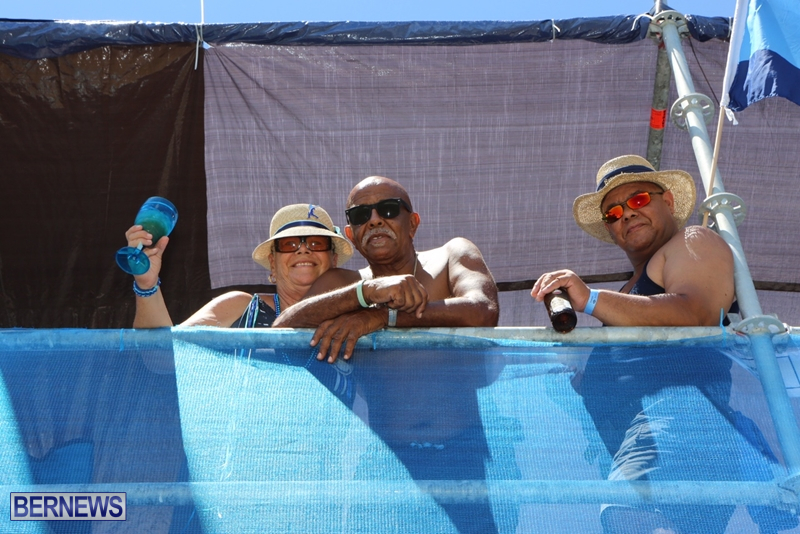 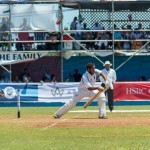 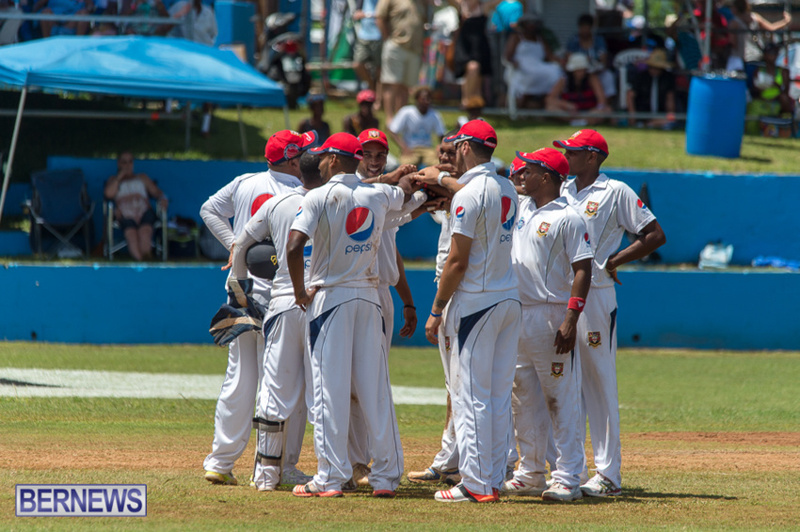 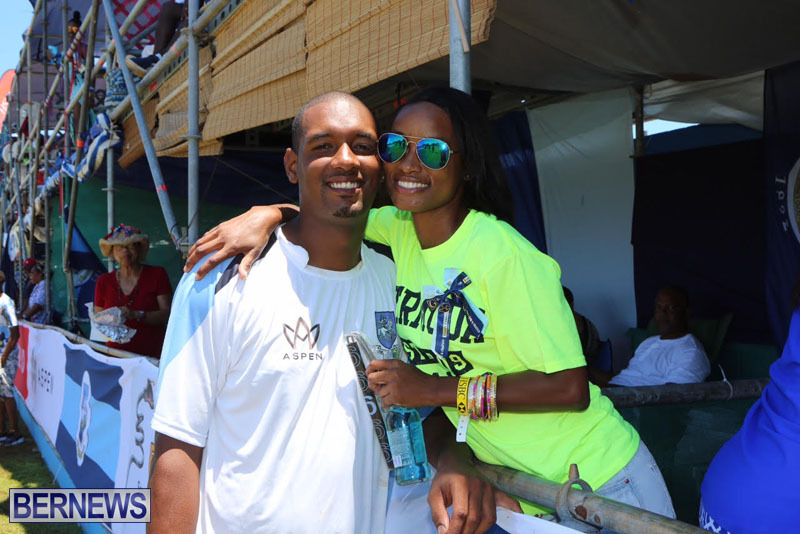 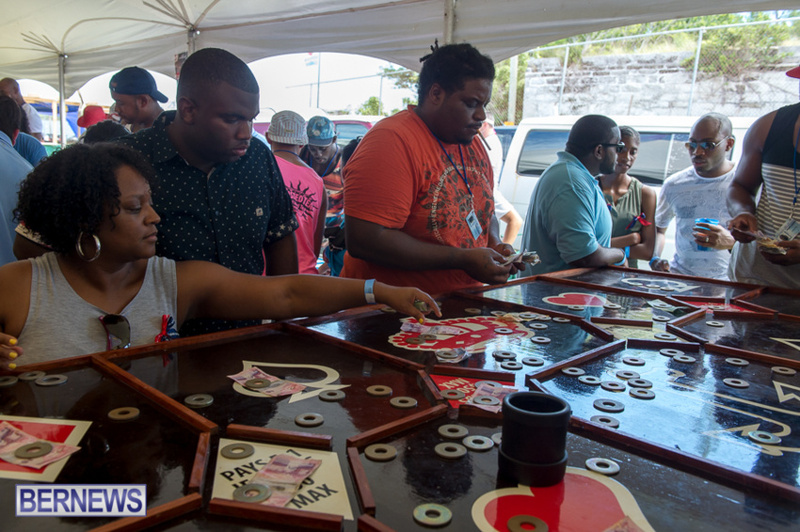 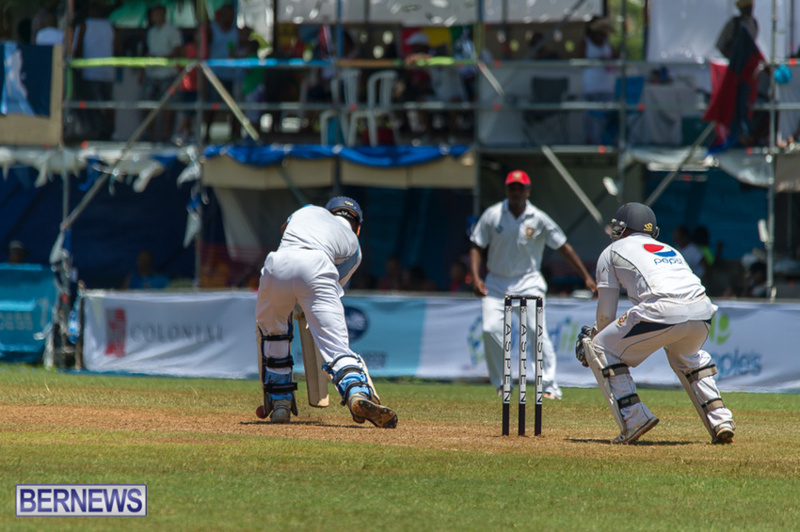 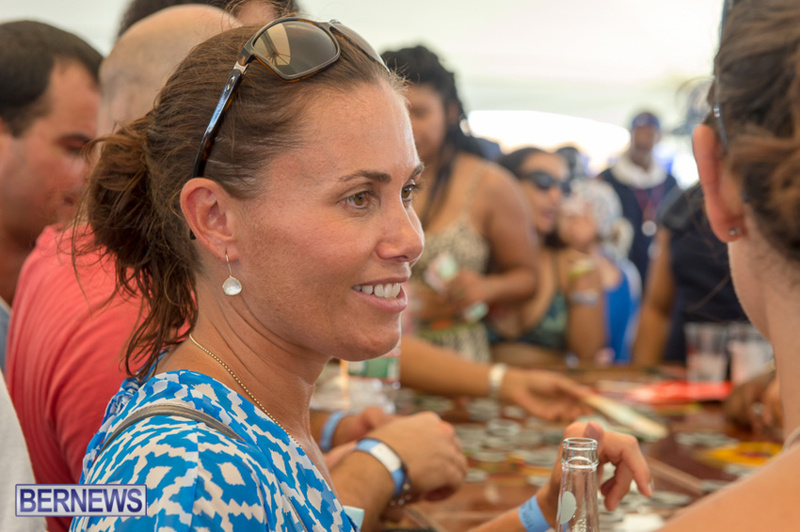 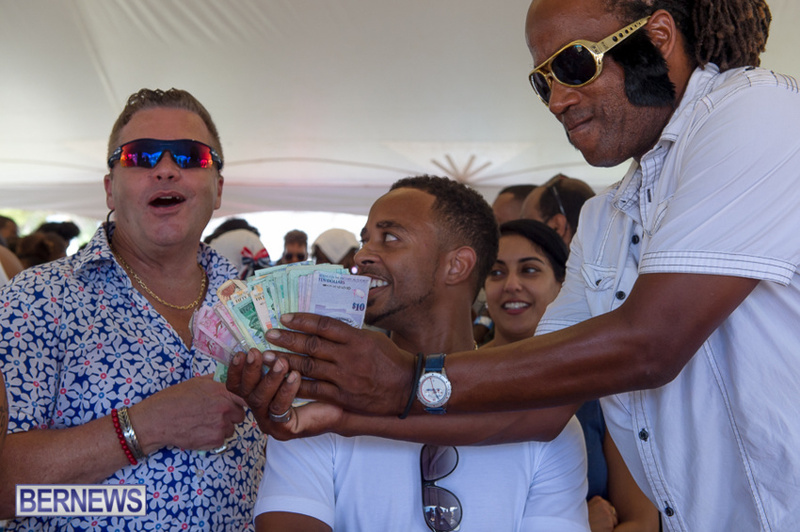 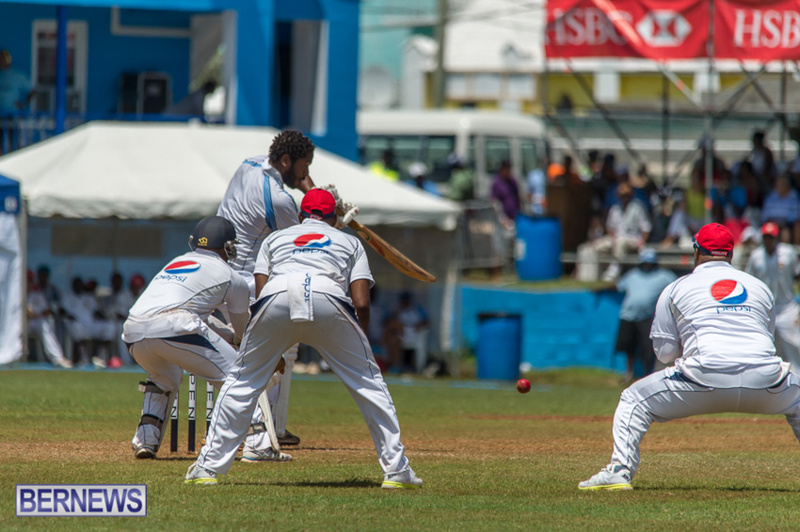 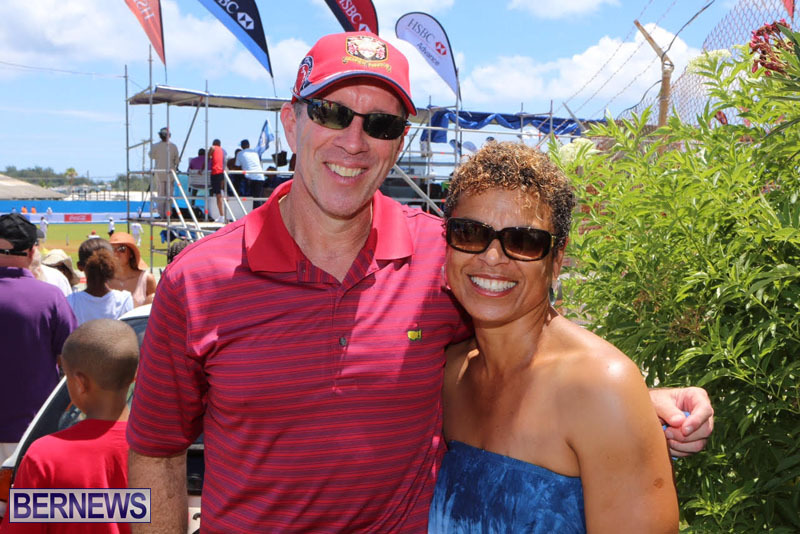 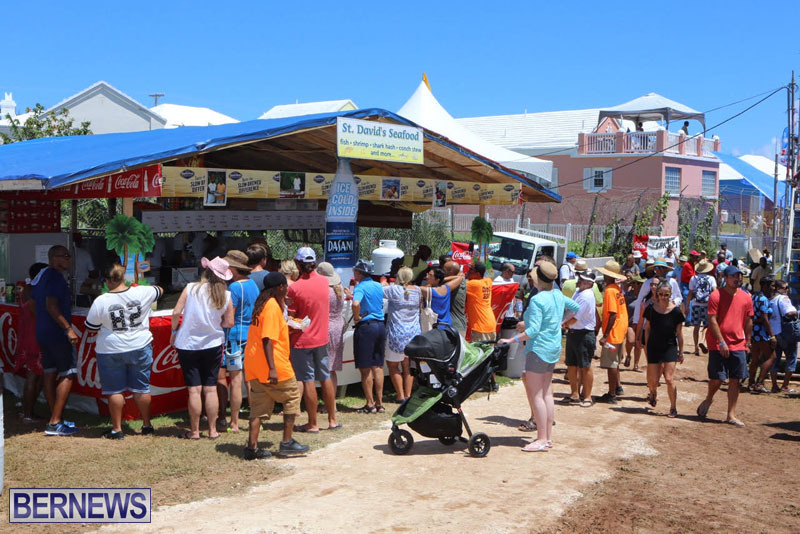 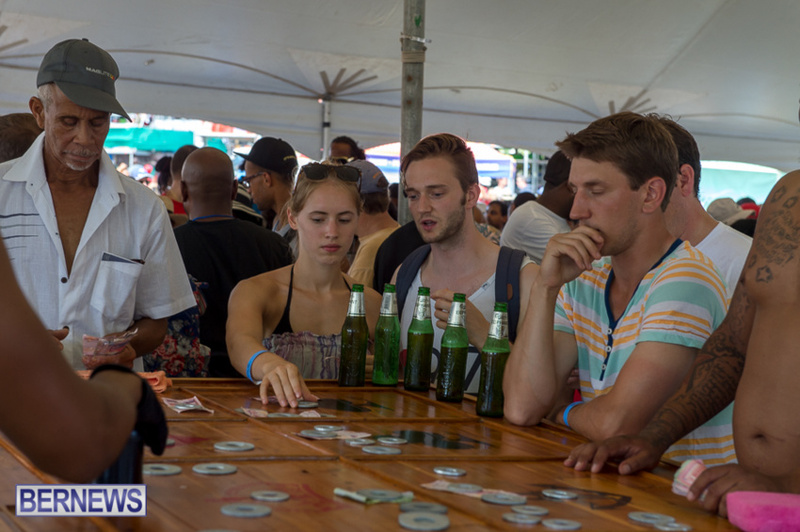 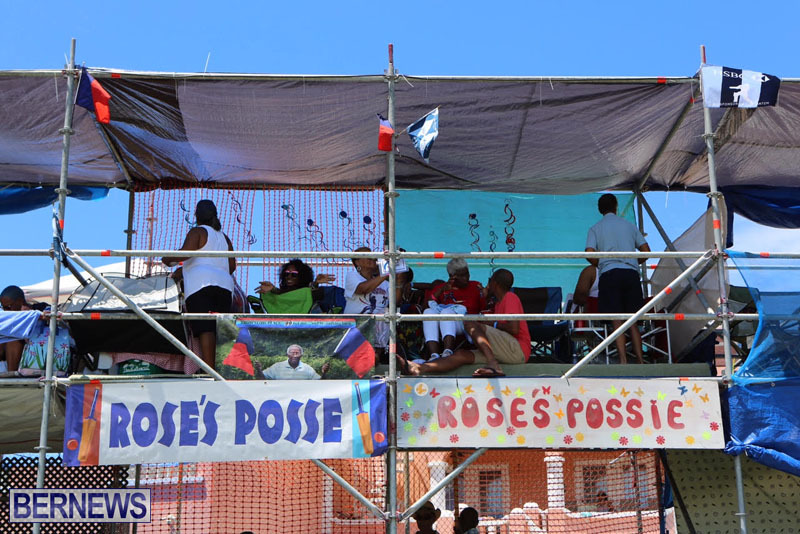 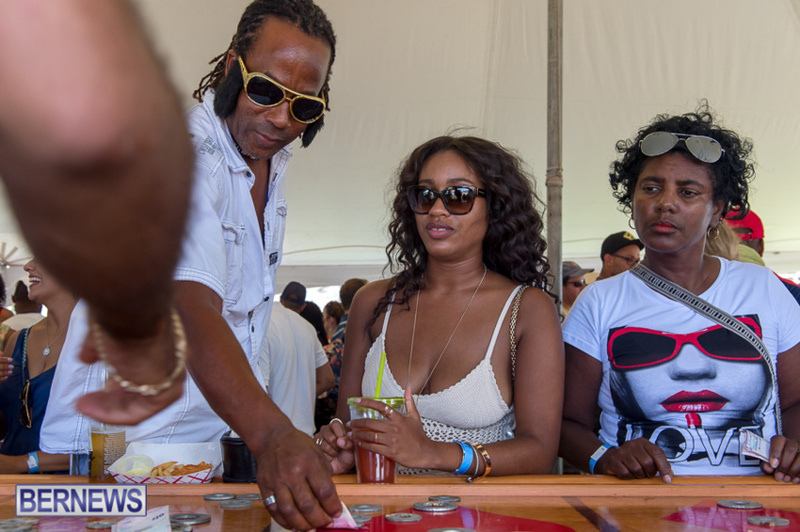 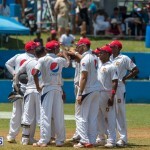 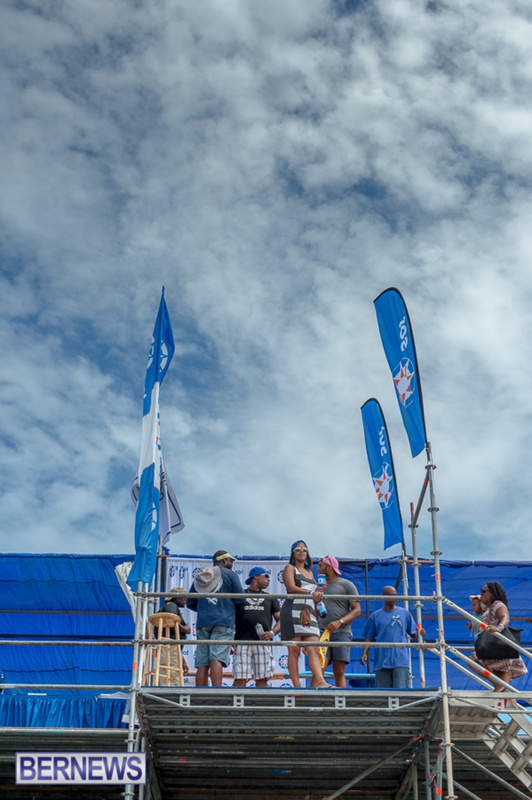 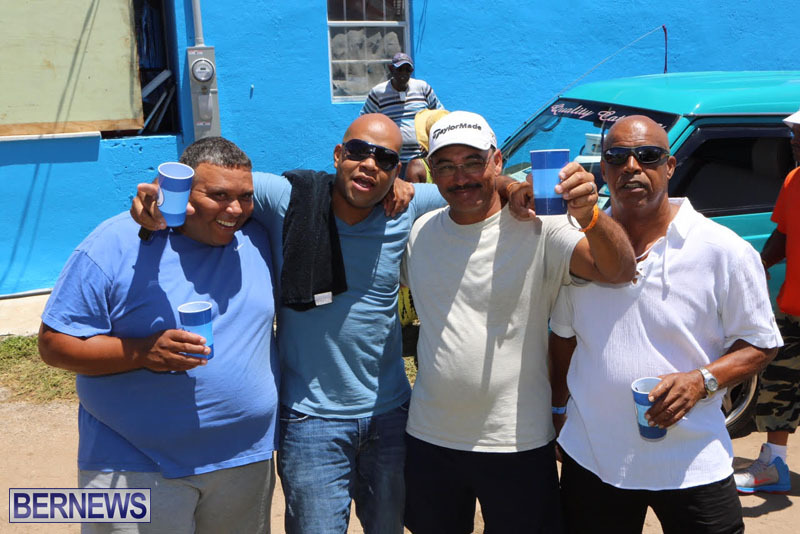 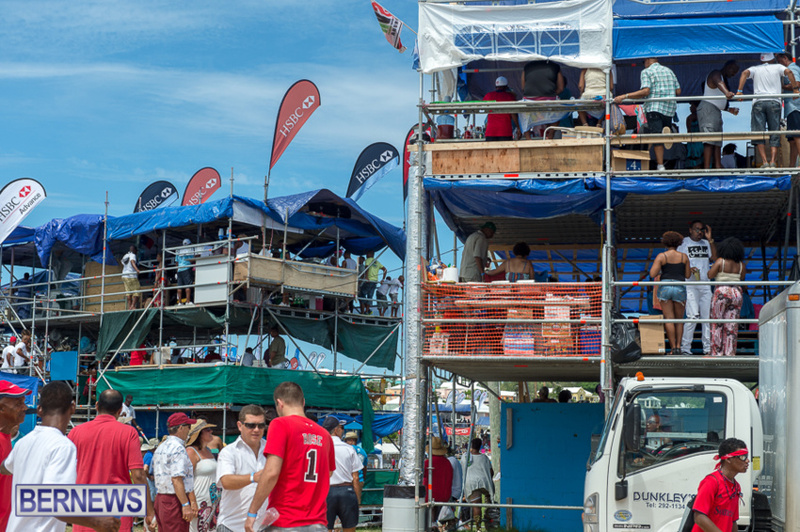 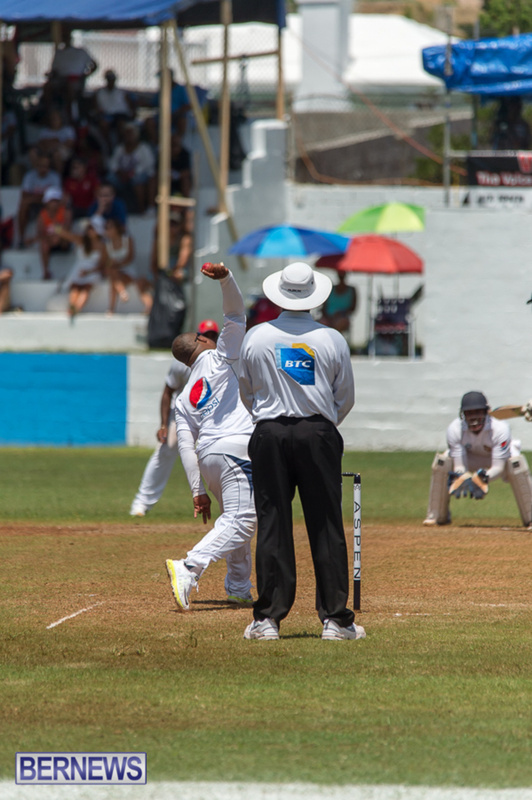 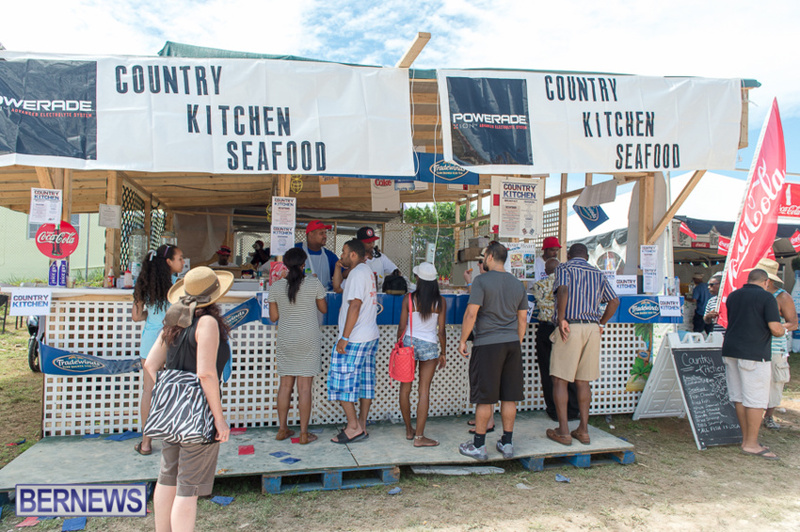 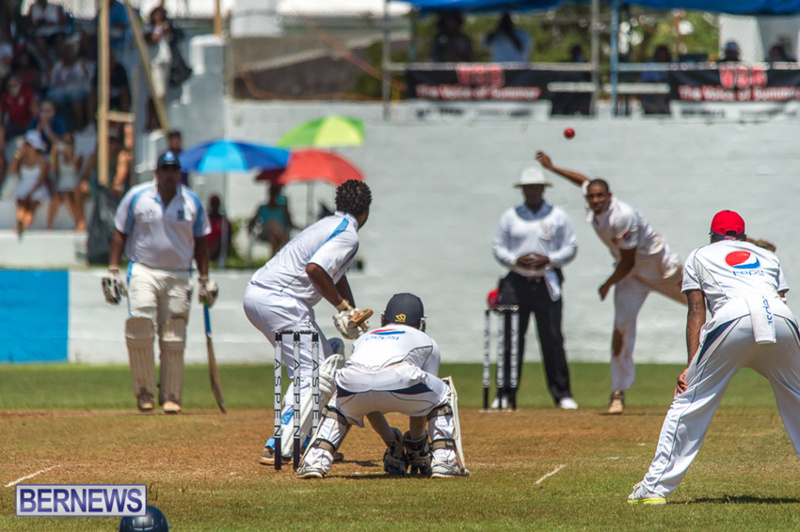 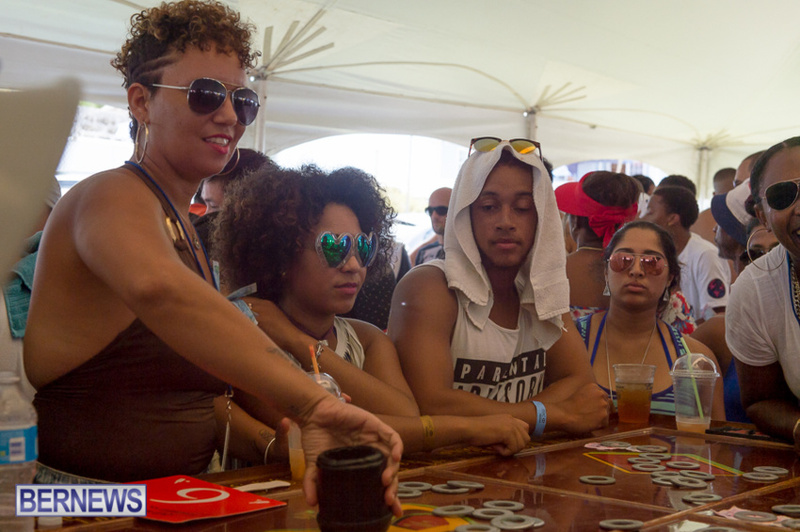 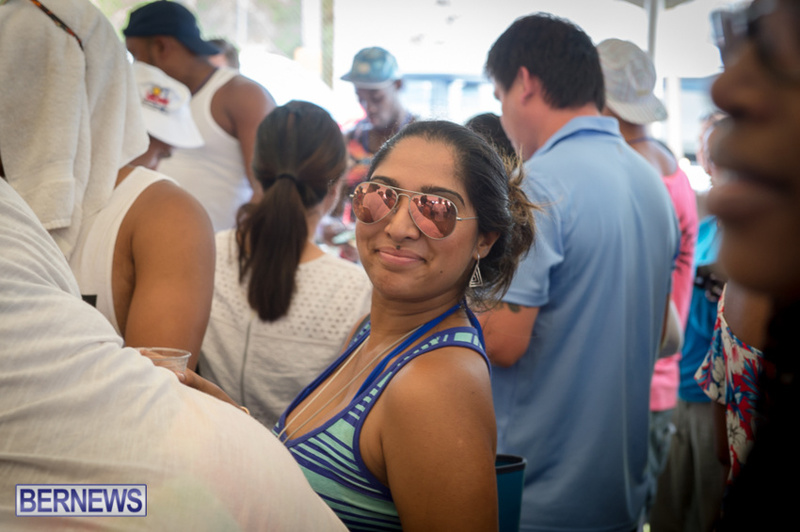 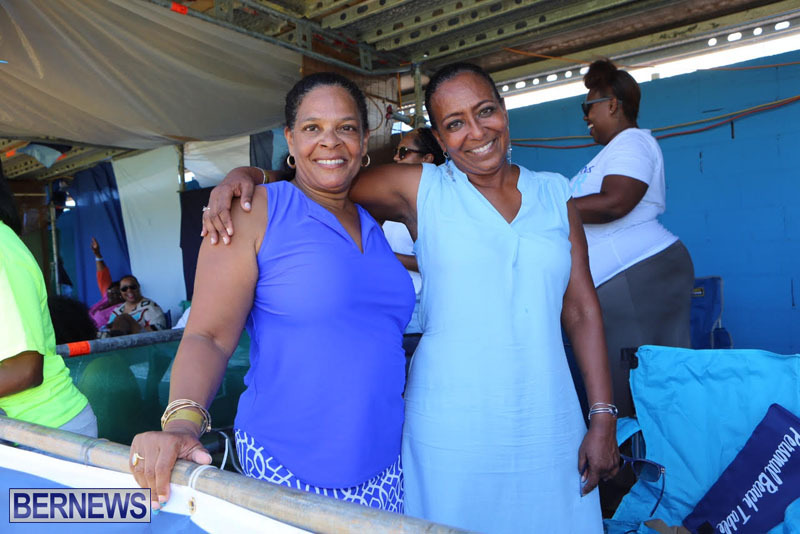 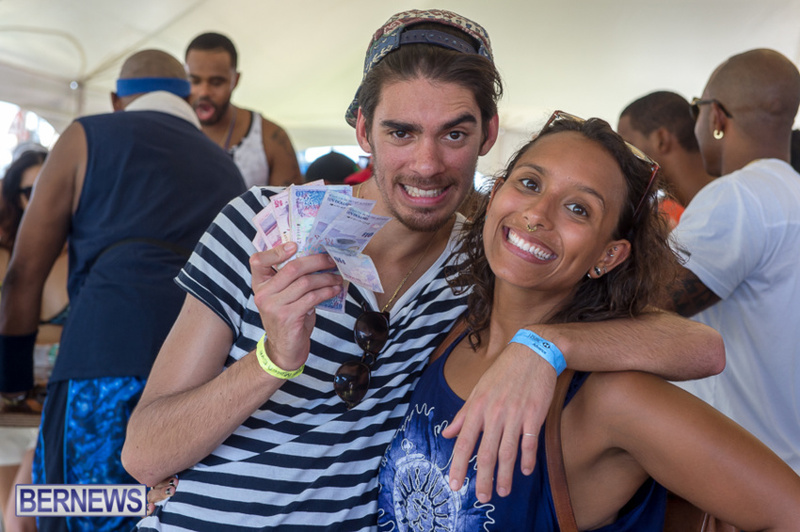 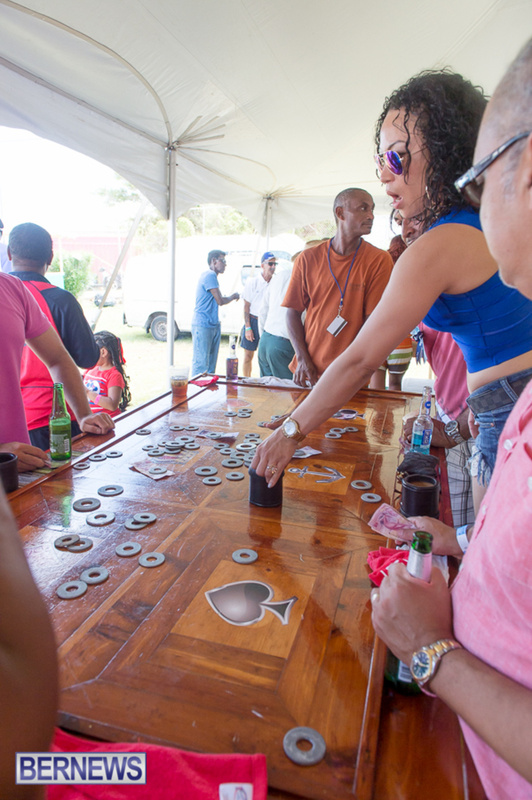 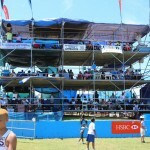 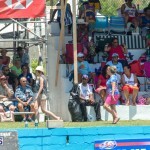 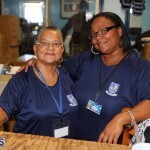 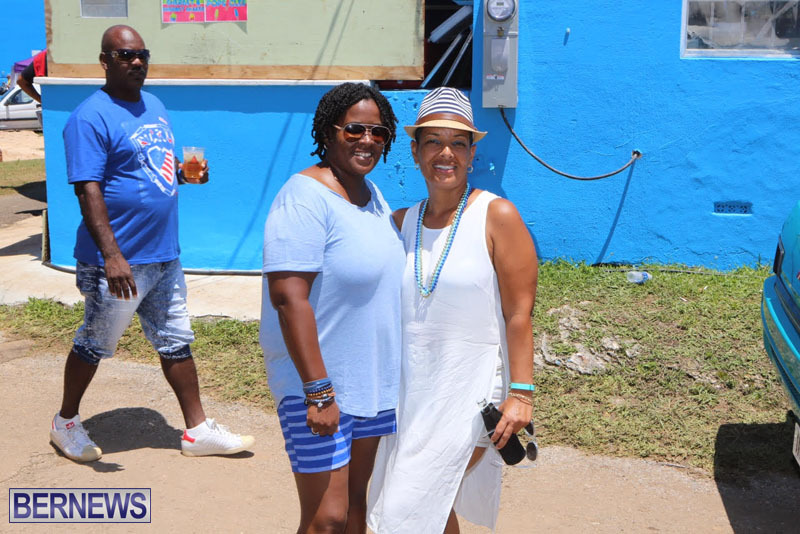 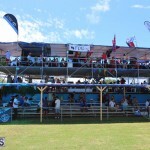 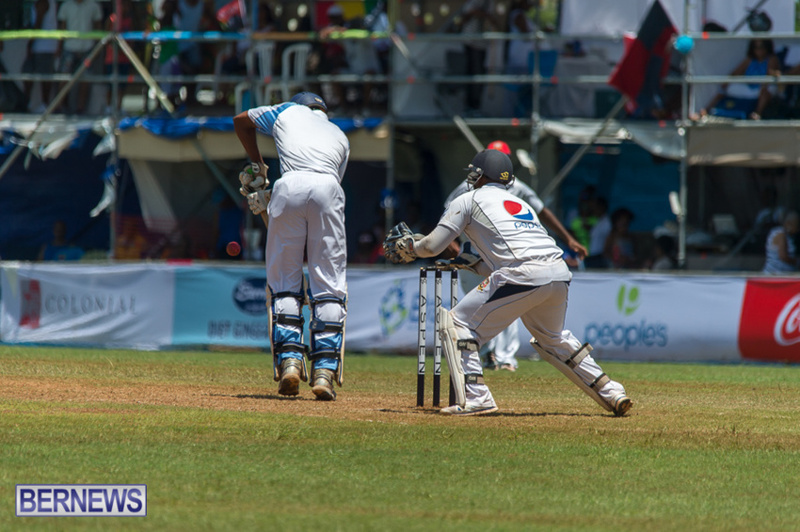 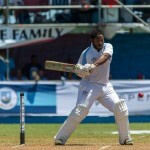 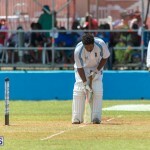 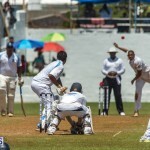 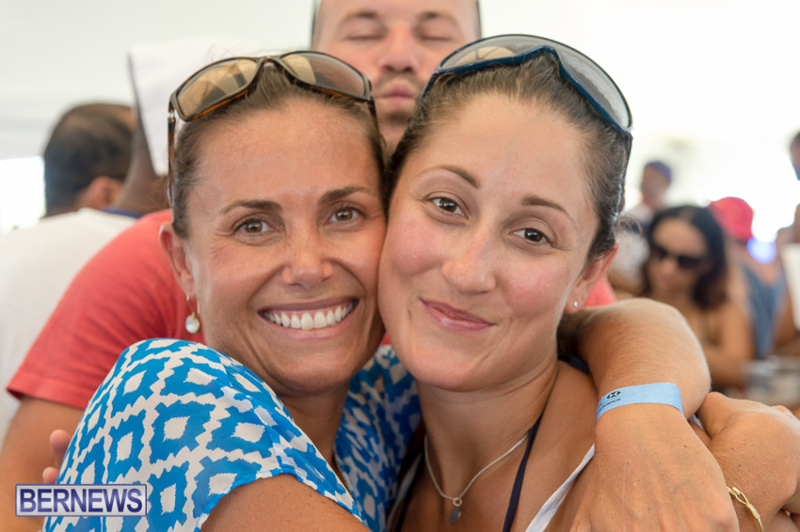 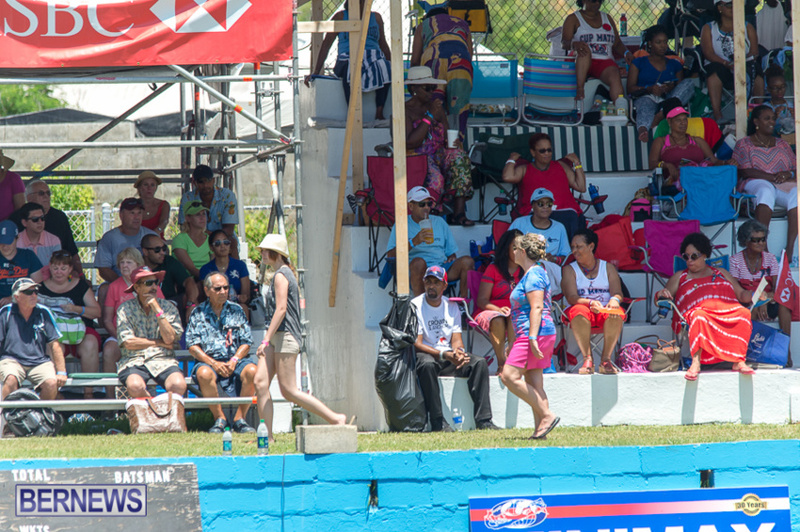 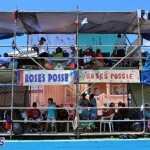 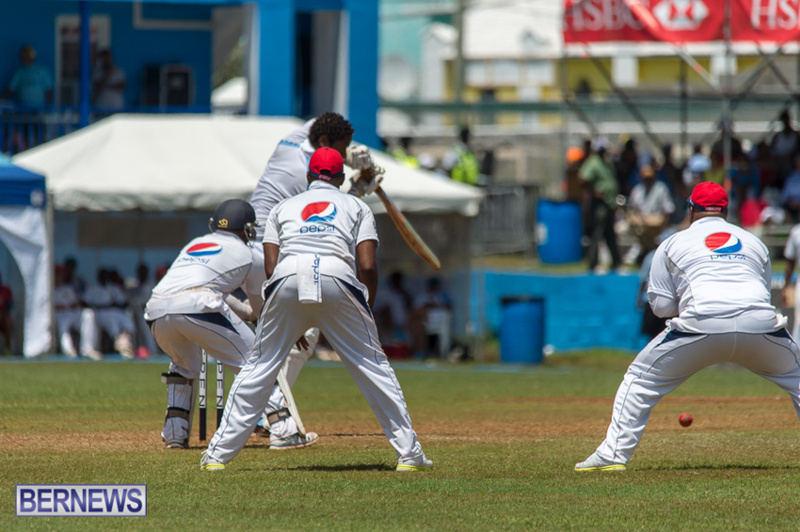 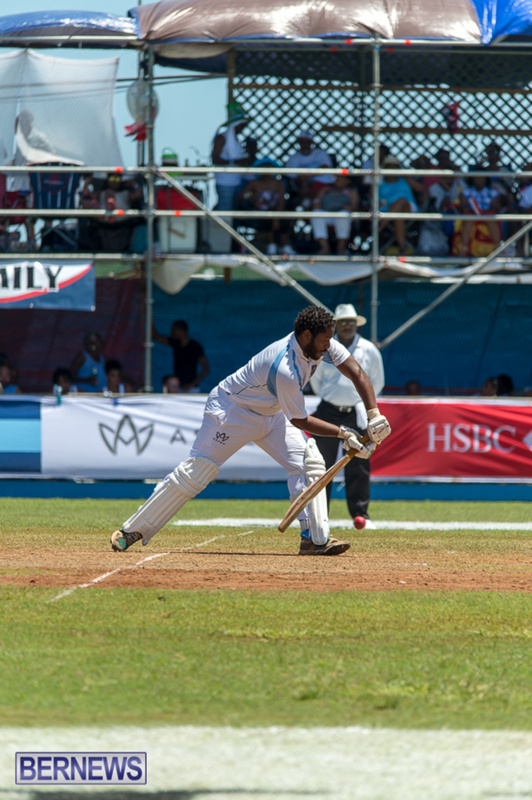 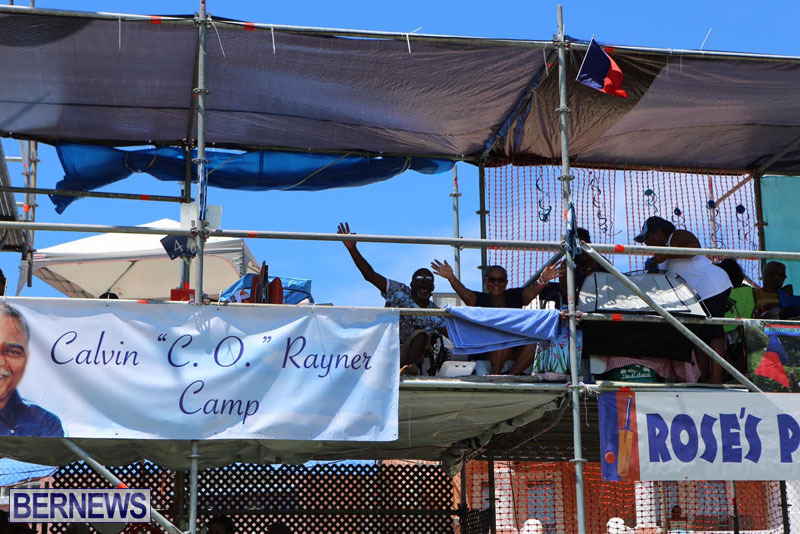 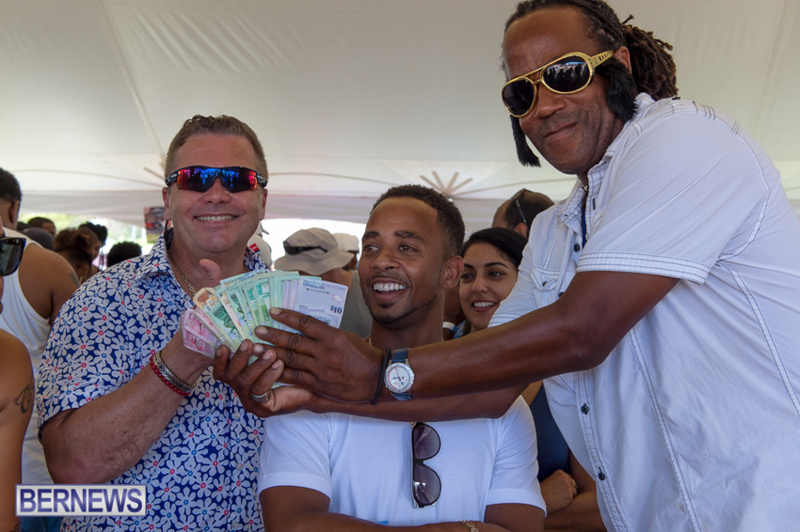 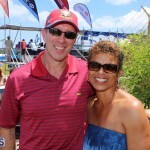 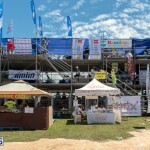 Besides the the much anticipated cricket match, the Cup Match holiday’s camping, concerts and more promise to bring everyone on the island together as they support their favorite team and enjoy themselves. 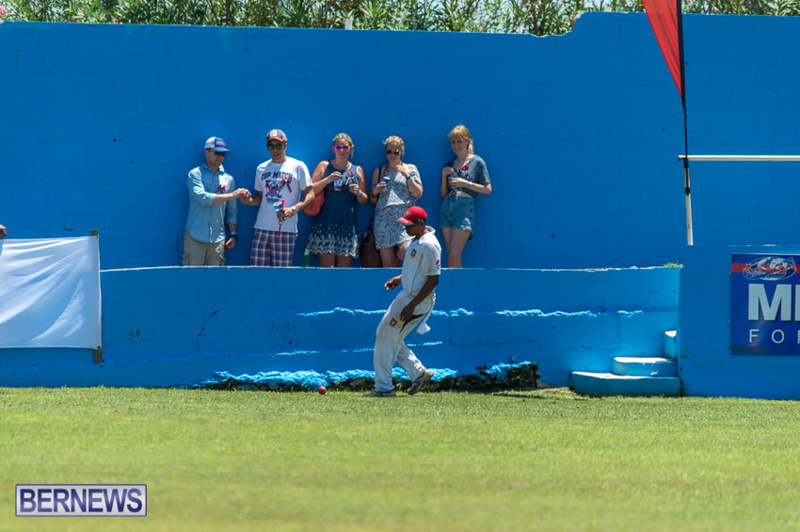 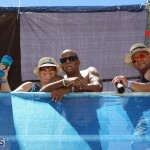 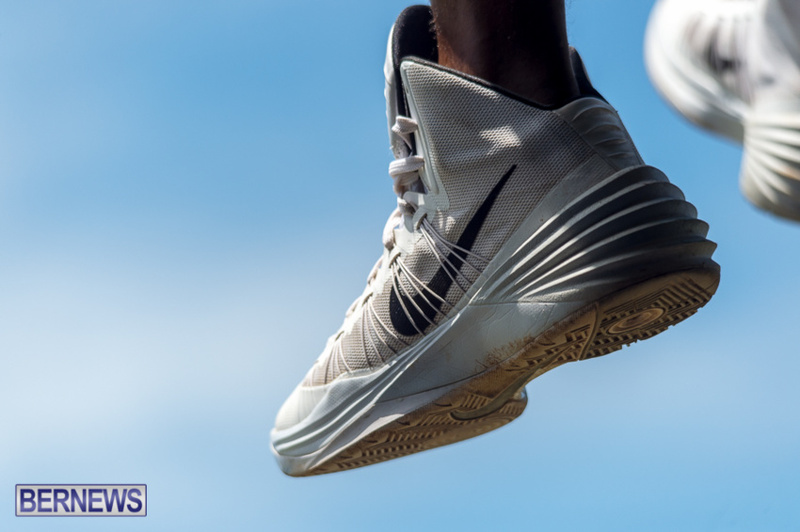 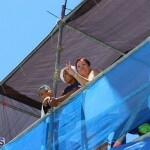 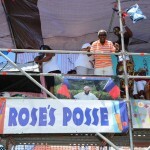 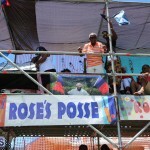 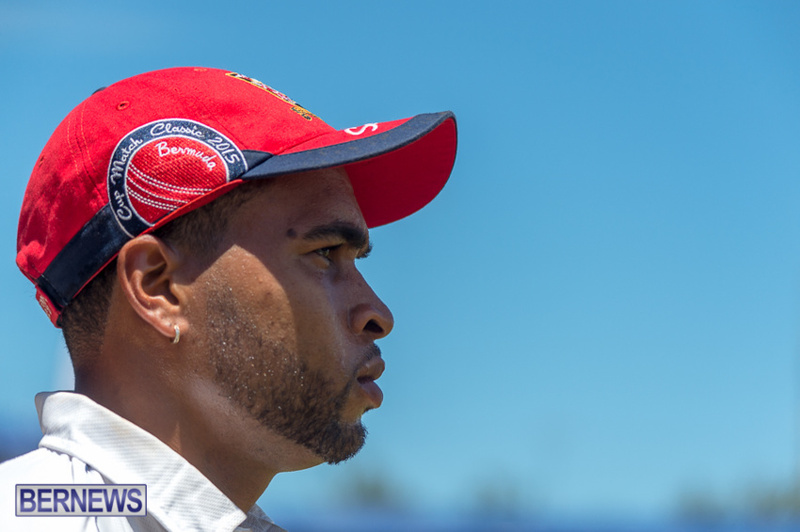 You can follow the action on our live blog, which will be updated throughout the entire holiday. 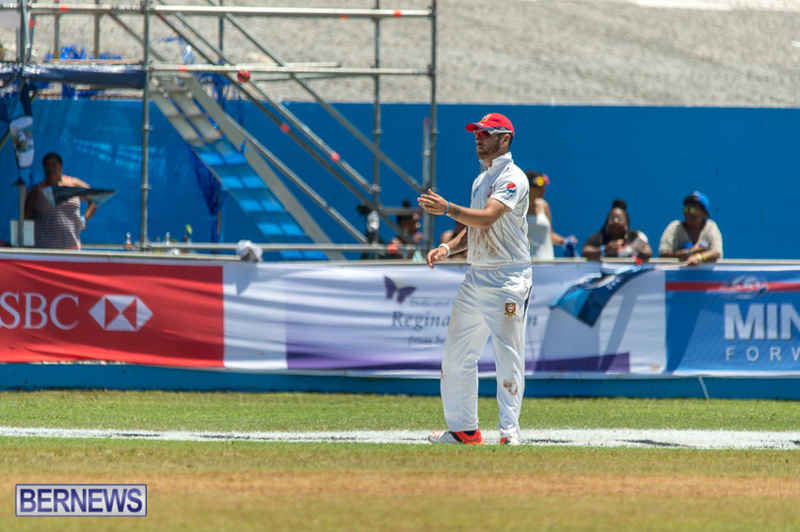 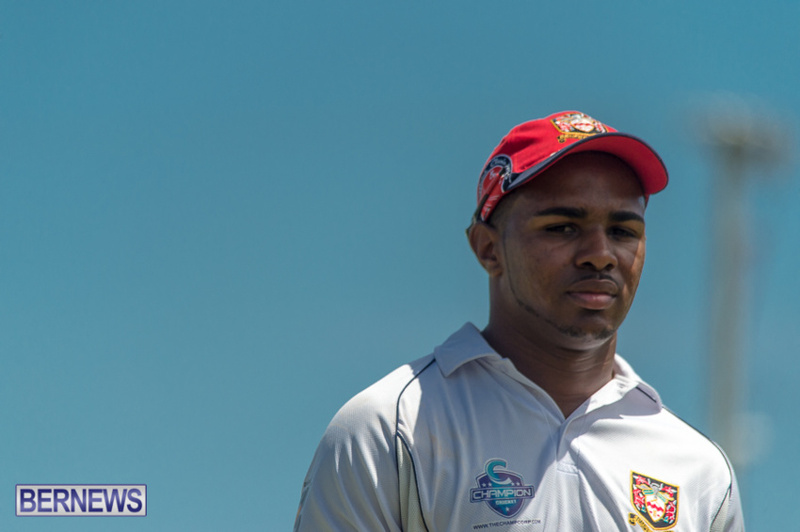 For strictly cricket updates, you can also follow our dedicated sports Twitter account @BernewsSports where we will be live tweeting the match on Thursday and Friday. 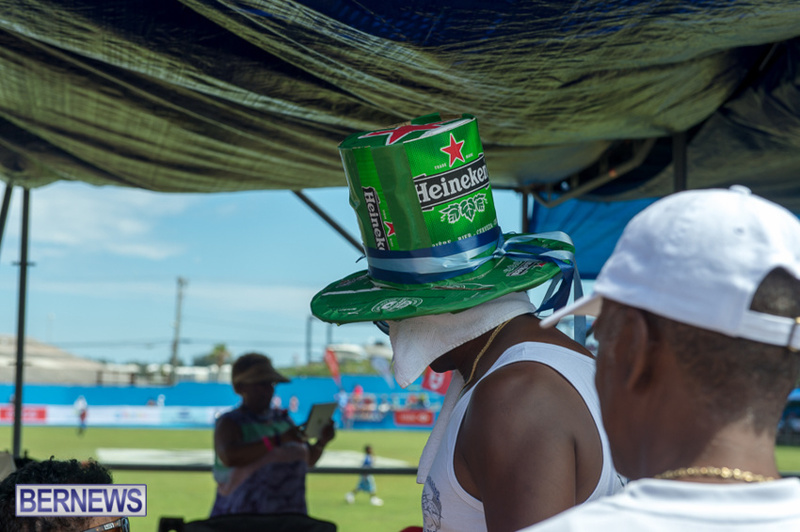 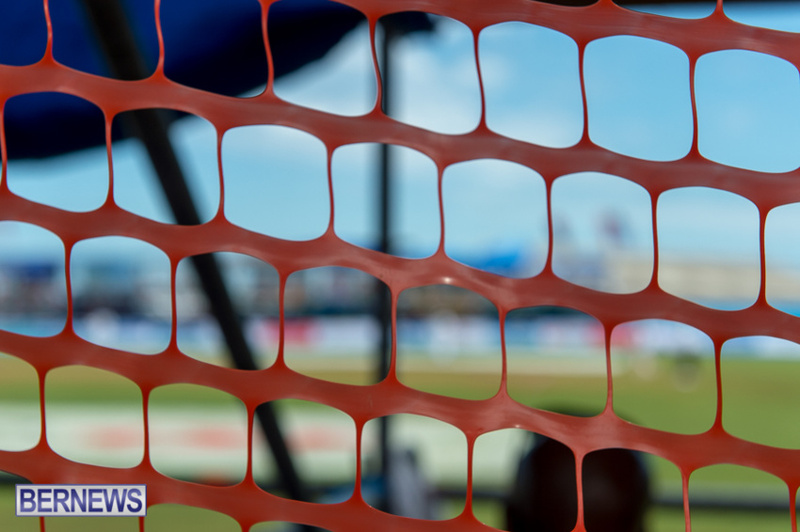 You can see all our Cup Match coverage here. 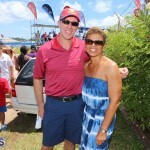 “If you fail to prepare then prepare to fail.” Todays interview with one of our former premiers included this question. 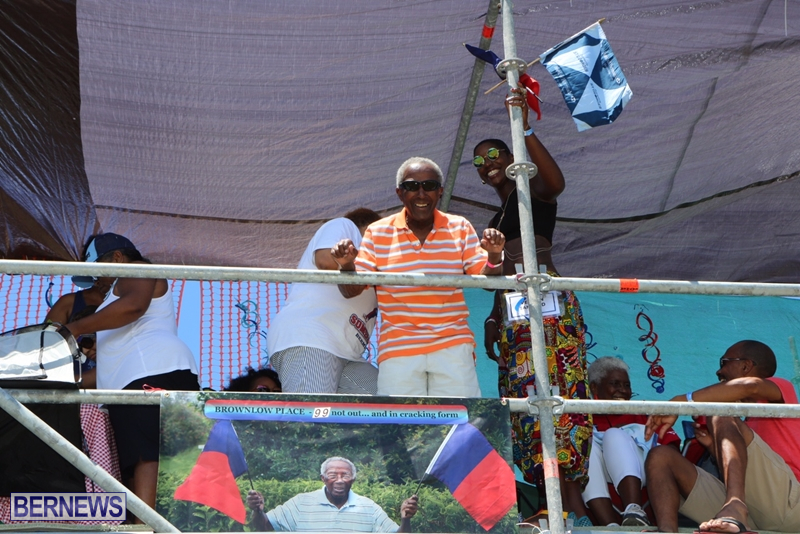 “which team he’d supported?” And as a perfect Statesman he’d replied, “I support both teams.” He said he takes the same stance when dealing with people in general. 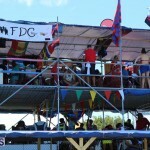 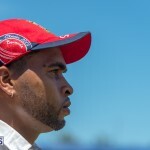 I must commend Sir John Swan, furthermore I also agree him 100%…Why be drawn into disputes of matters that we’ll have our own individual opinion of when we can find a semblance of equality and normality?